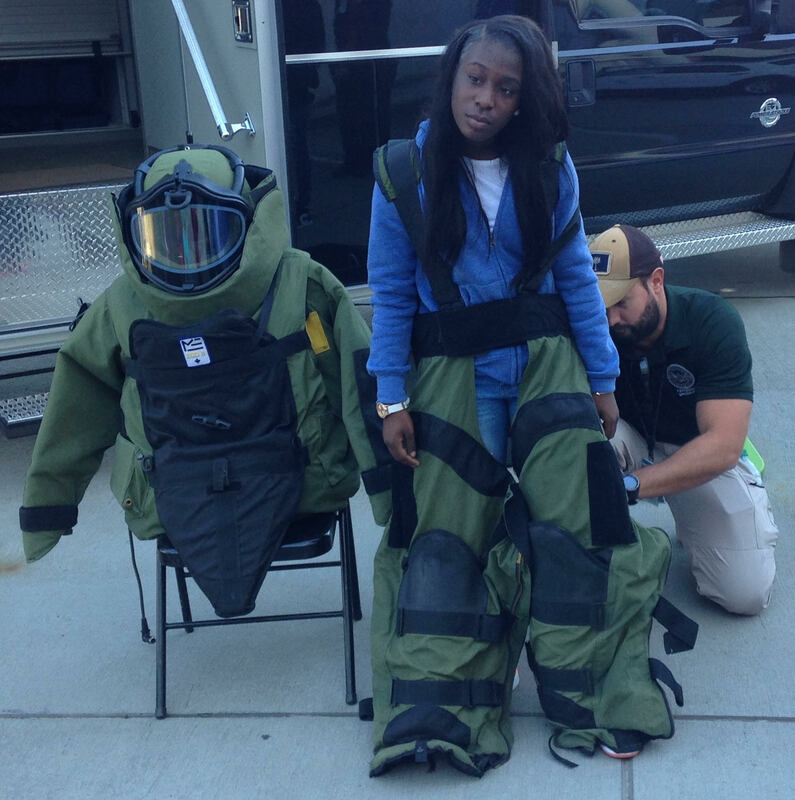 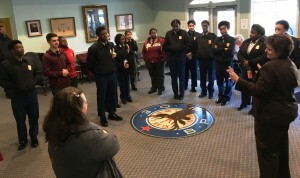 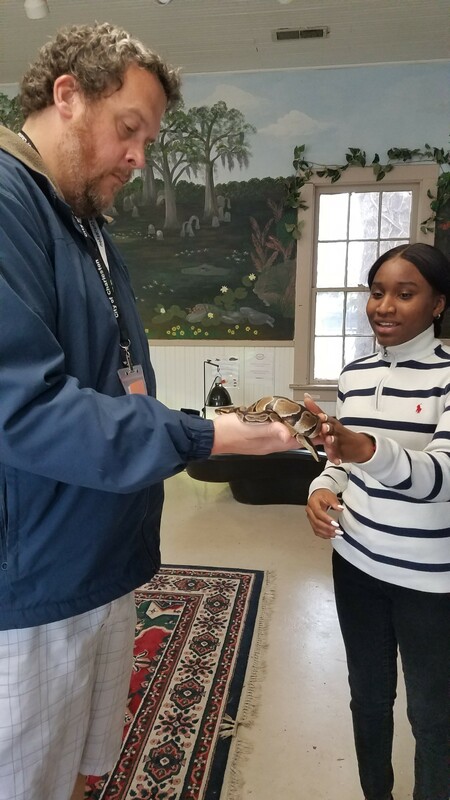 Thank you to the members of the Elks Lodge 242 of Charleston for welcoming students from Military Magnet Academy and West Ashley High School for a very special career exploration experience on March 7, 2019. 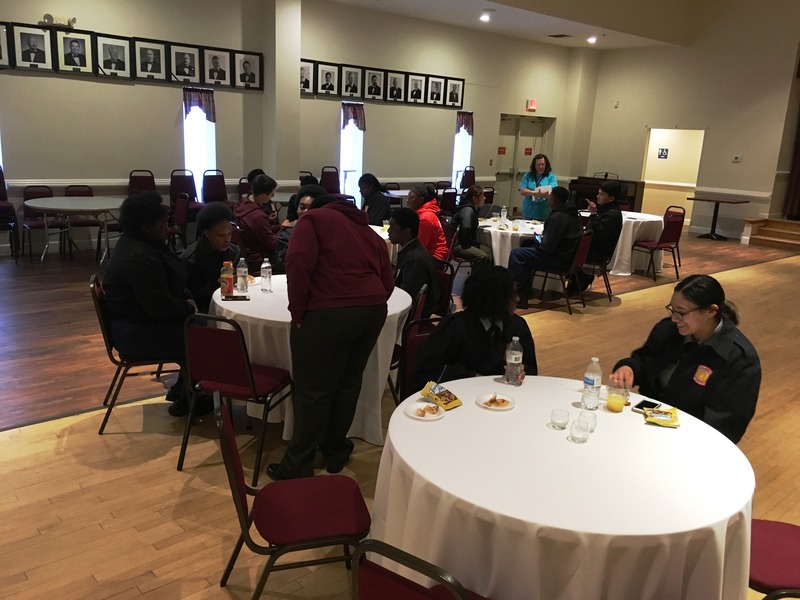 Students gathered for breakfast and orientation at the Elks Lodge before departing for their governmental job shadowing hosts for the day. 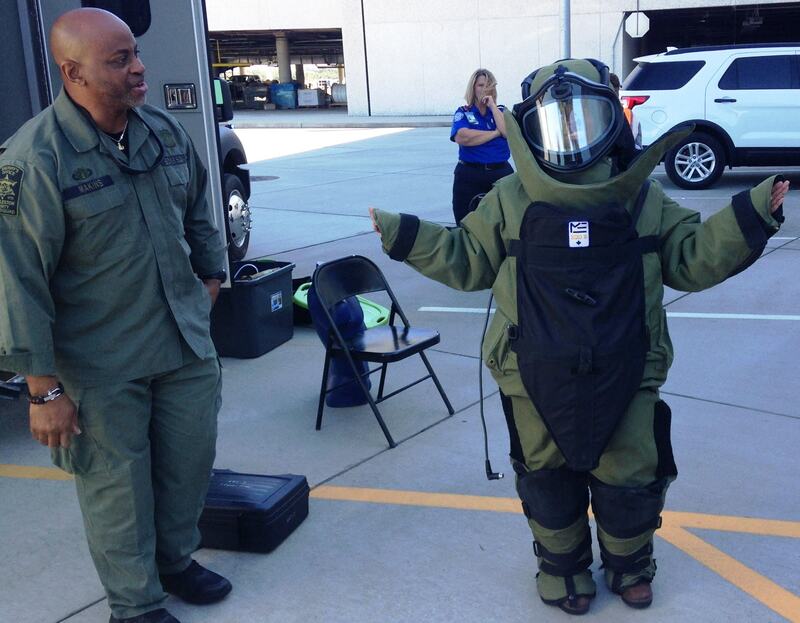 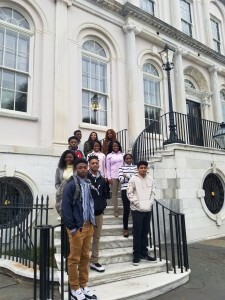 Military Magnet Academy students got to spend time at North Charleston City Hall. 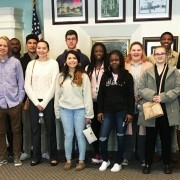 They were welcomed by Mayor Keith Summey and then were connected with various professionals with city departments to shadow until lunch. 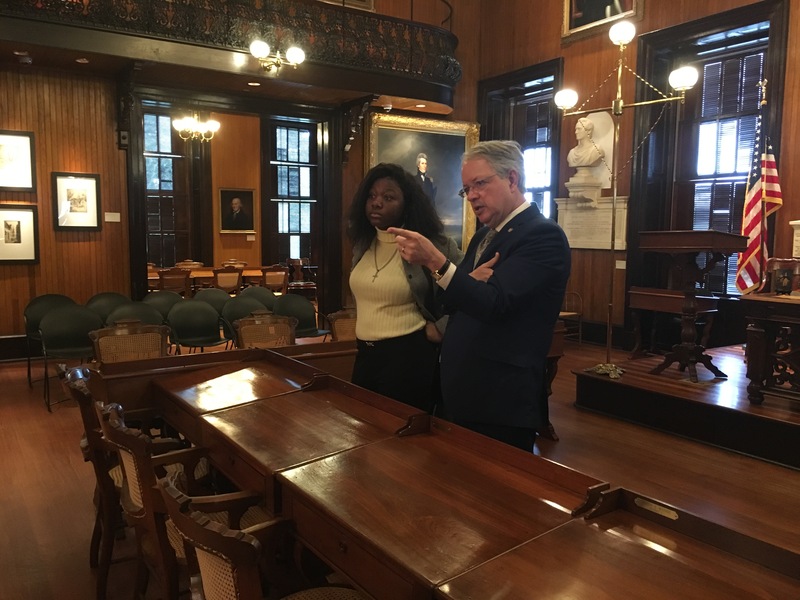 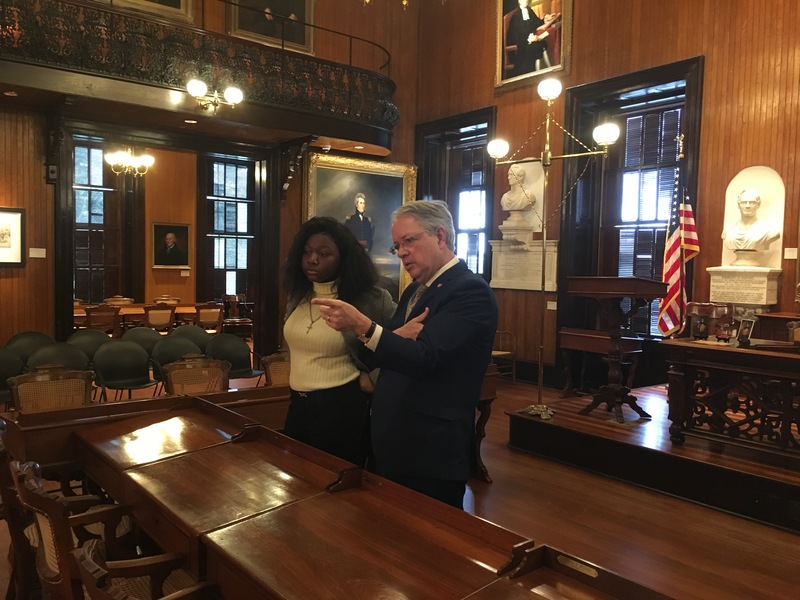 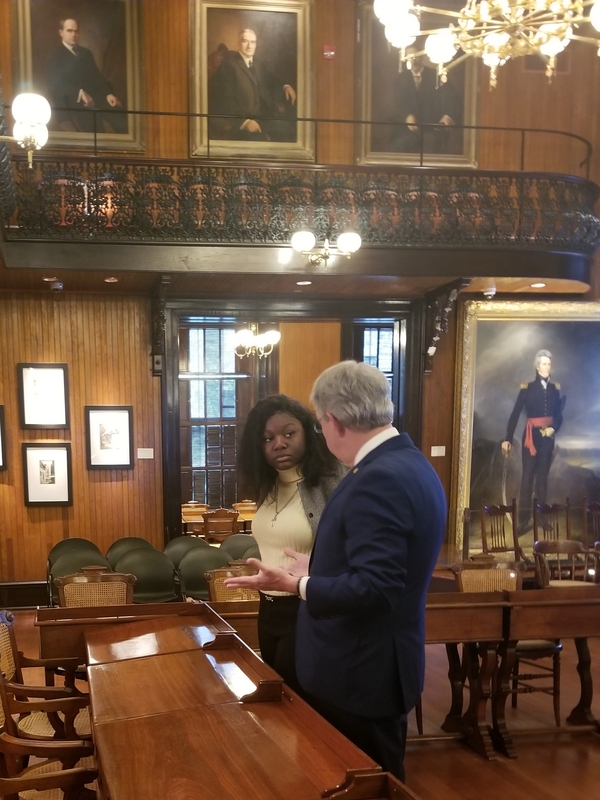 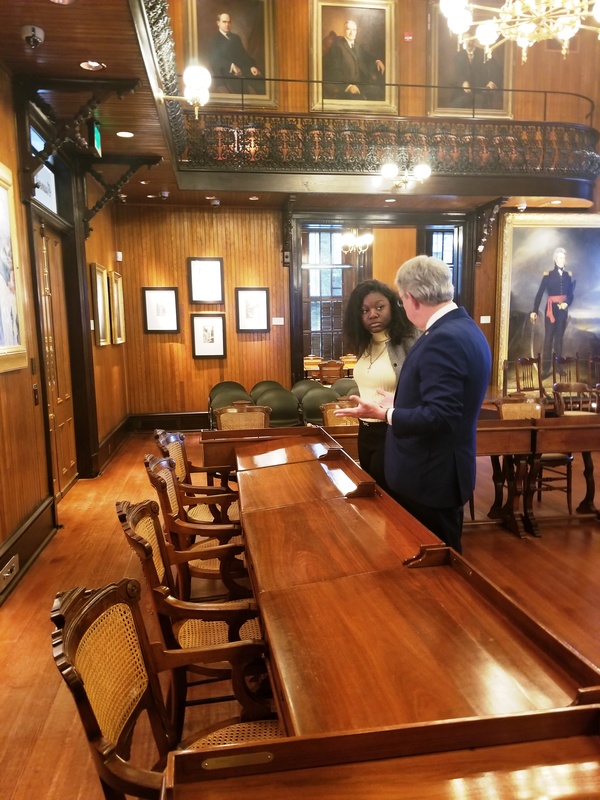 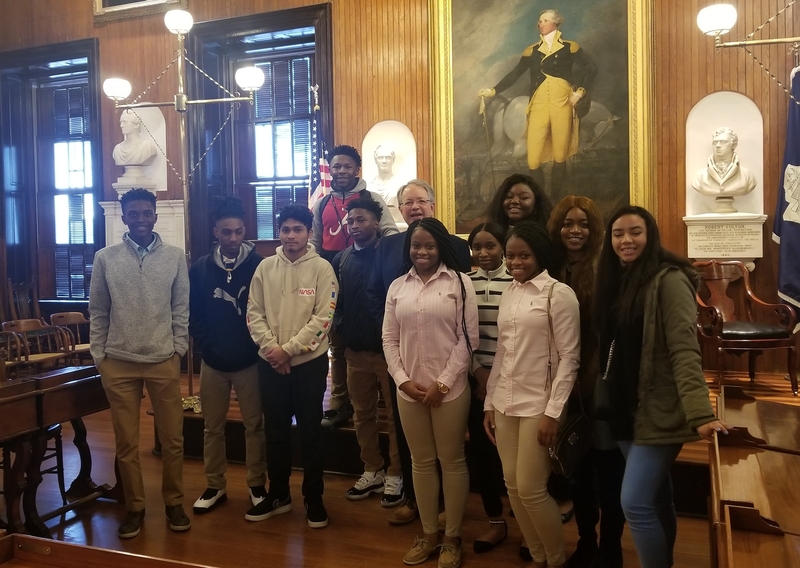 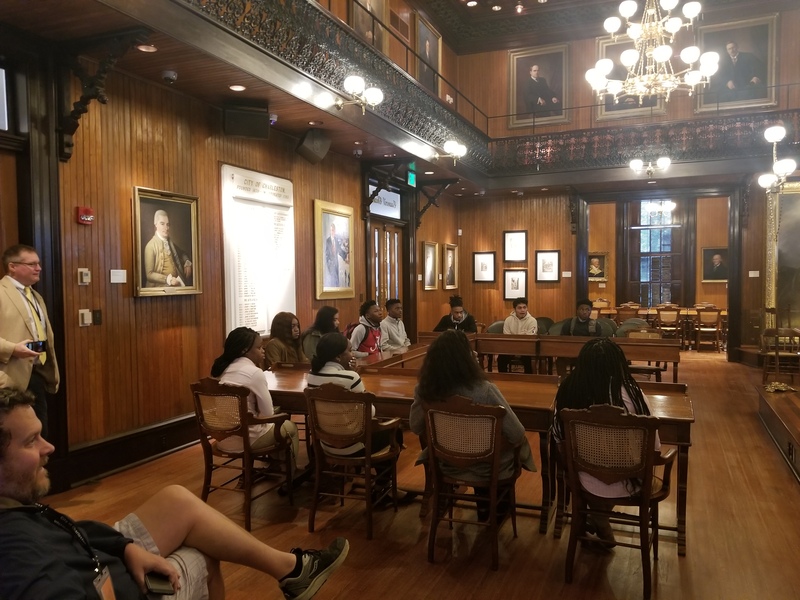 Students from West Ashley High School got to visit the Charleston City Hall and meet Mayor Tecklenburg in the historic City Counsel Chambers. 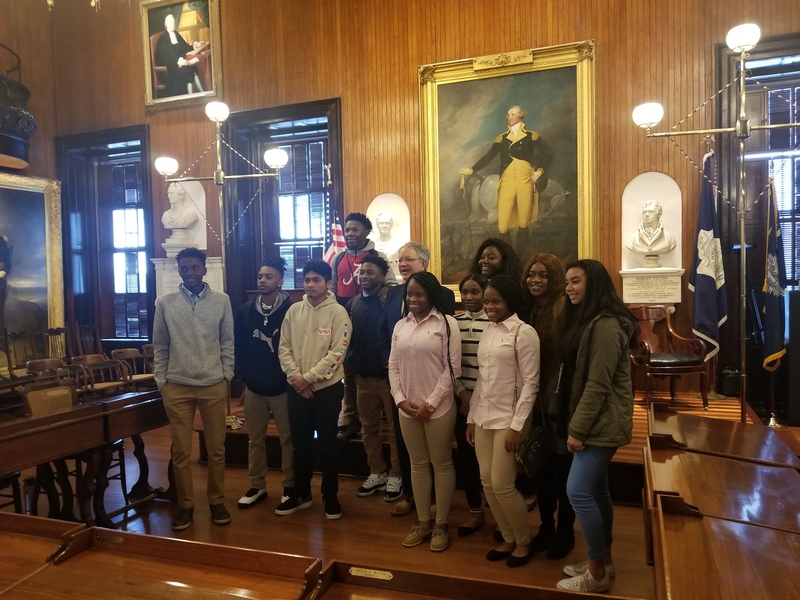 They also got to walk across meeting street to meet Judge Irv Condon in the Charleston County Courthouse. 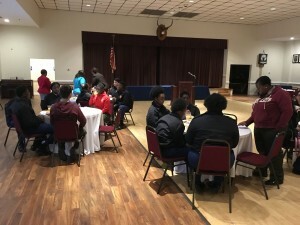 The students all returned to the Elks Lodge for a luncheon with Elks members before returning to their schools. The keynote speaker for the luncheon was Judge Condon. 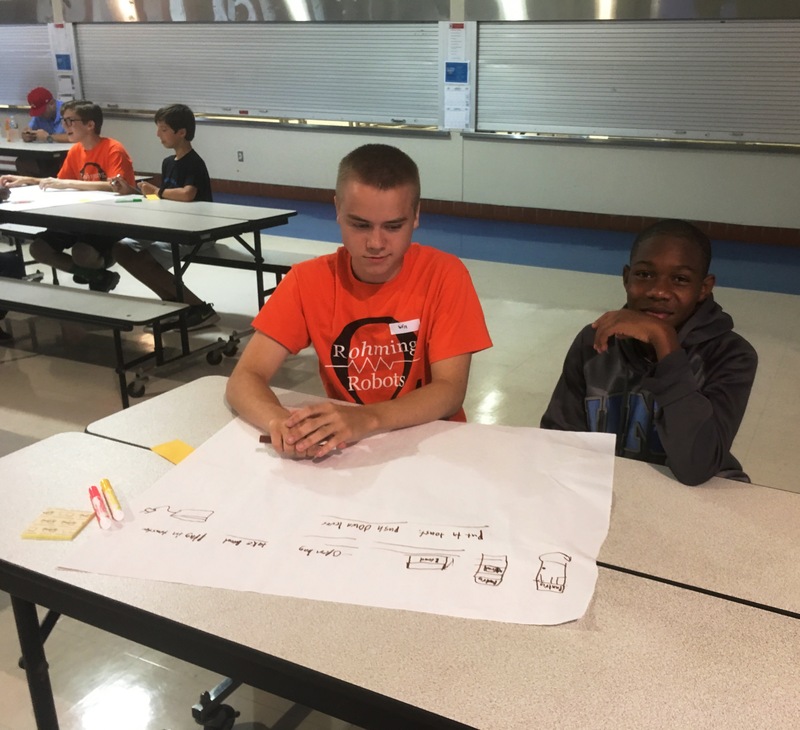 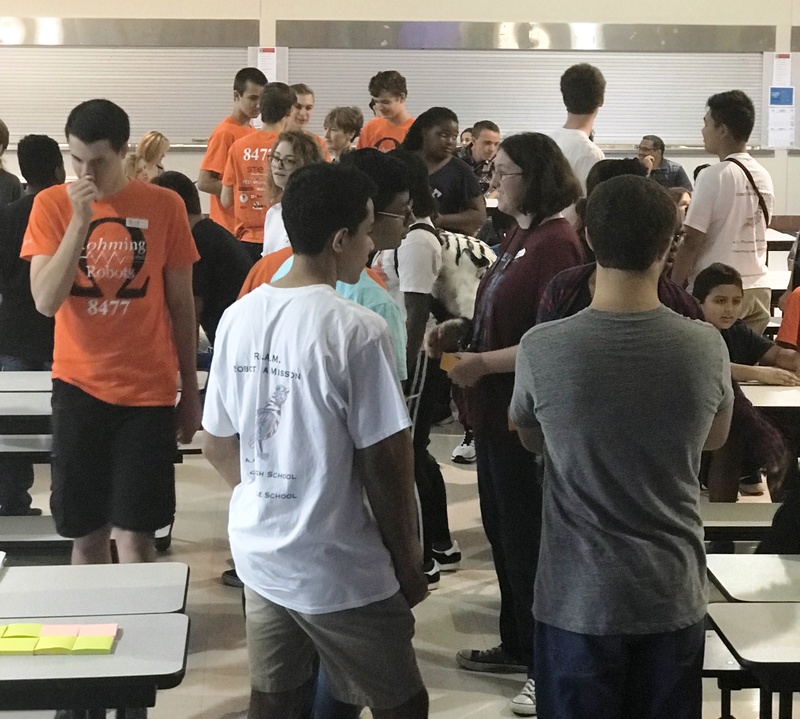 Special thanks to Nanette Piccirillo and Jennie Sirisky for their help planning this amazing work-based learning experience for these students! 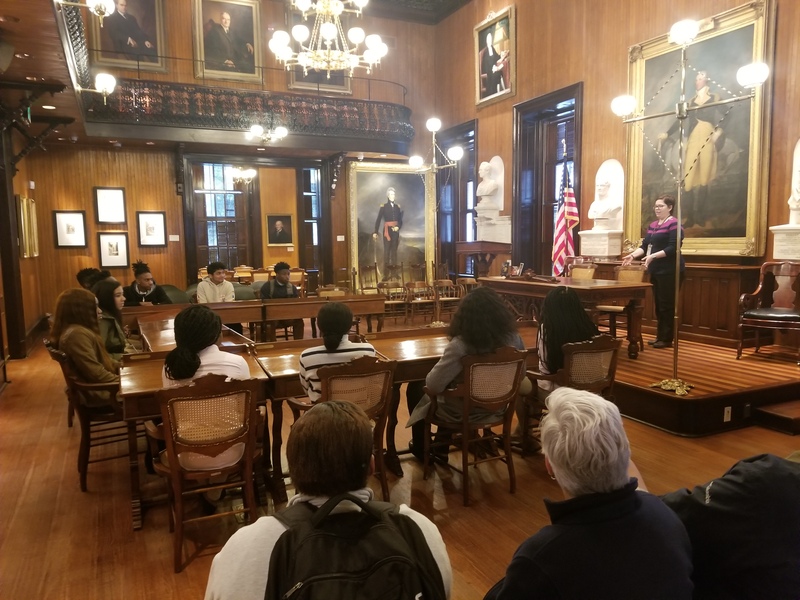 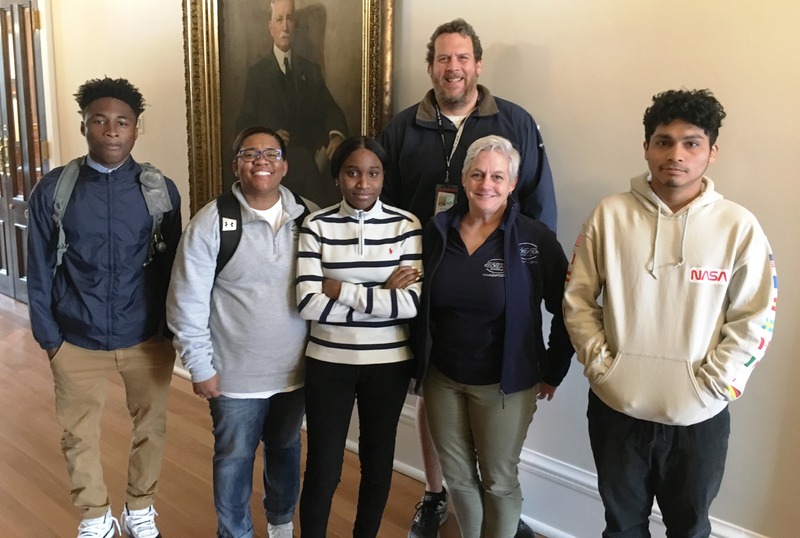 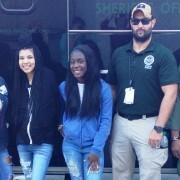 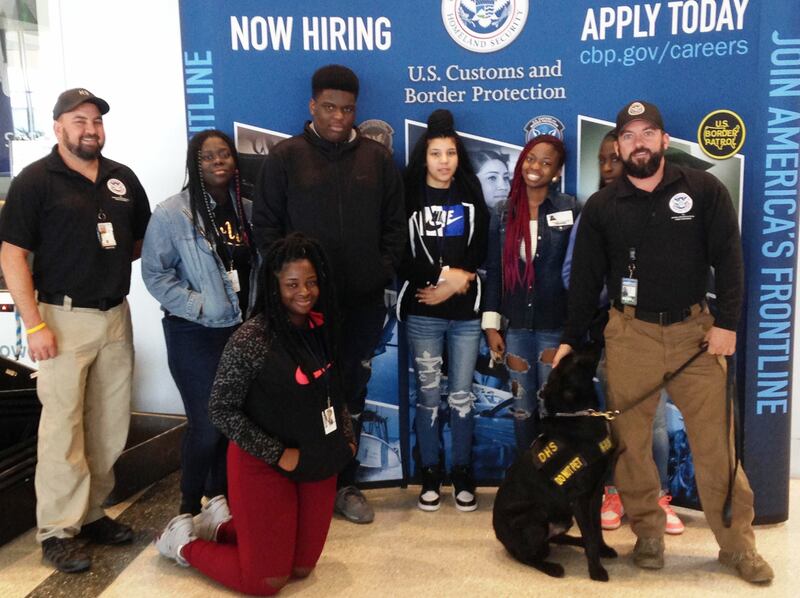 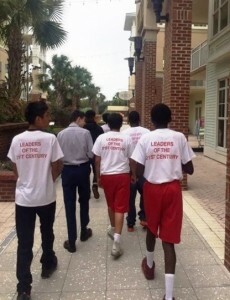 Students from St. Johns High School recently had the opportunity to shadow various departments in the City of Charleston. 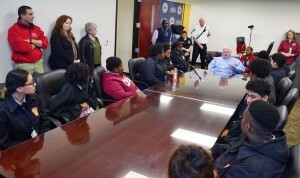 This annual day of student job shadowing is organized by the Mayor’s office for Children, Youth, & Families. 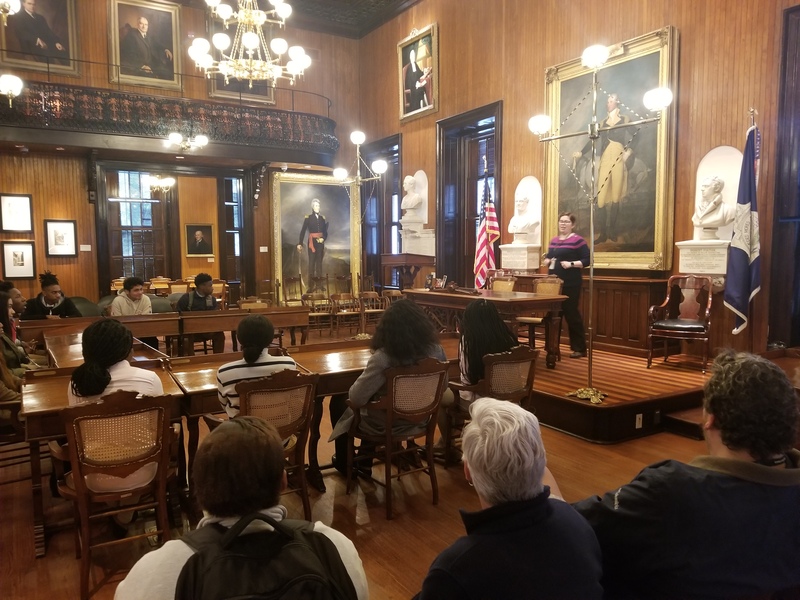 Students arrived at Charleston’s historic City Hall and gathered in the City Counsel Chamber. 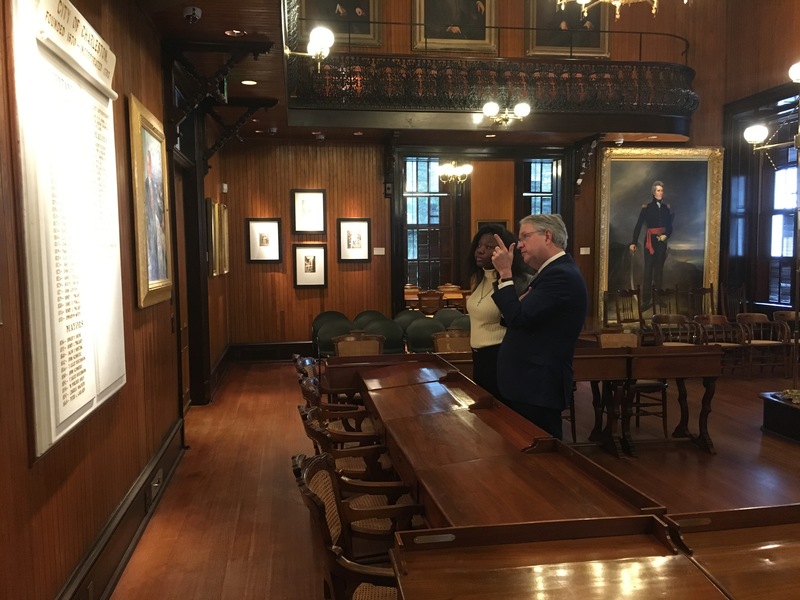 Lindsey Barrios, City Docent shared the history of the many paintings and other priceless historical items in the chamber. 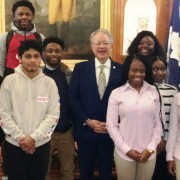 Mayor John Tecklenburg welcomed the students and challenged them to maximize their career exploration time with their host departments. 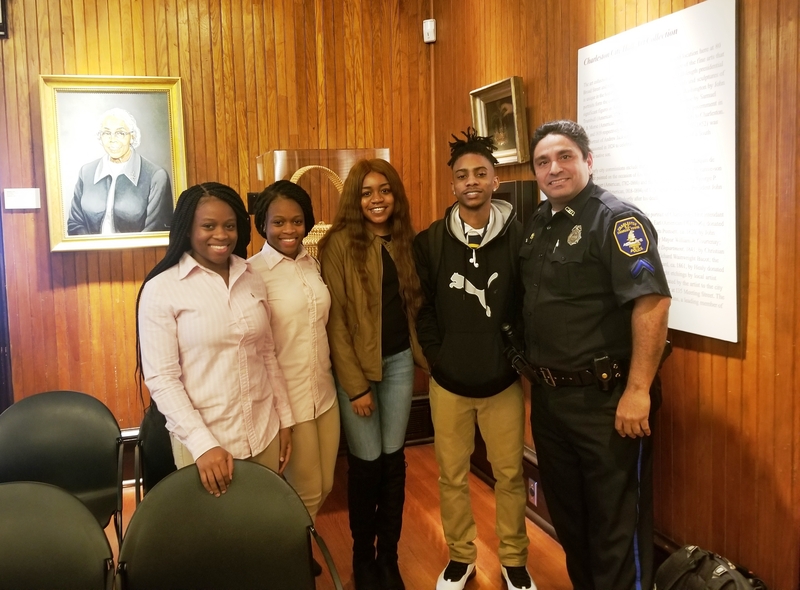 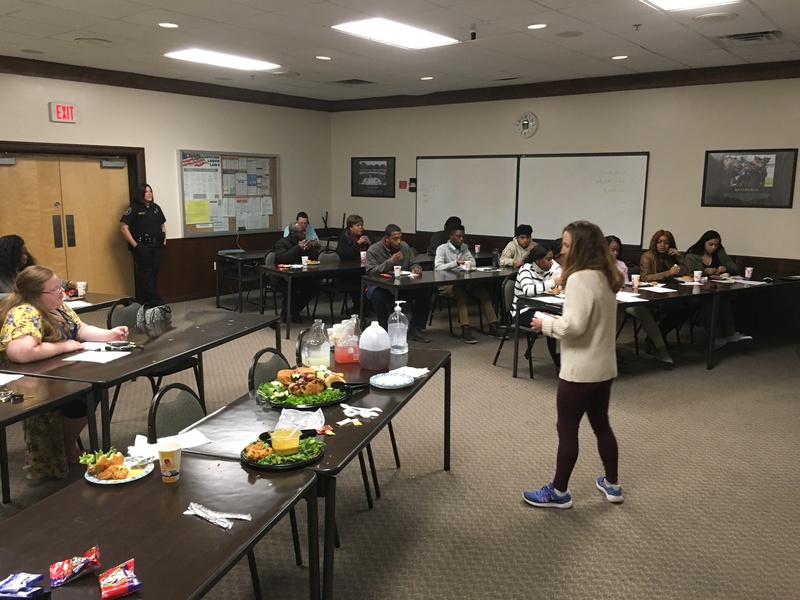 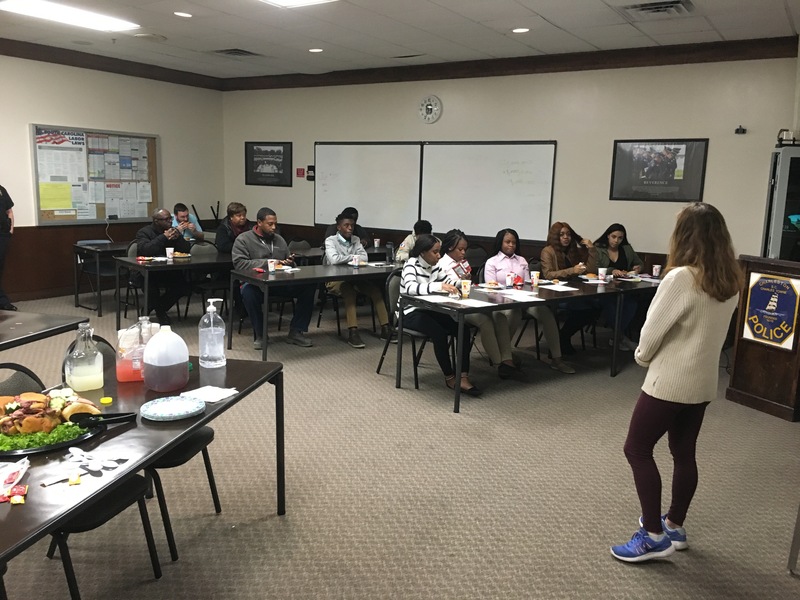 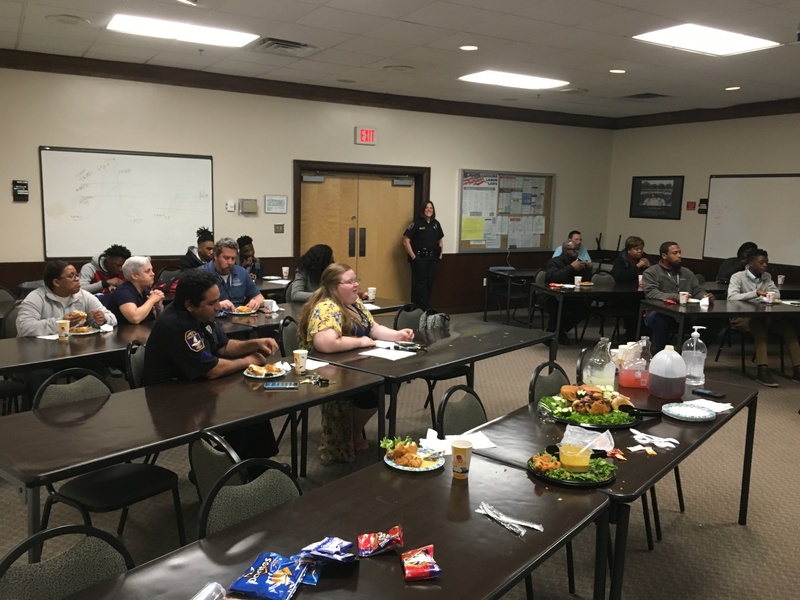 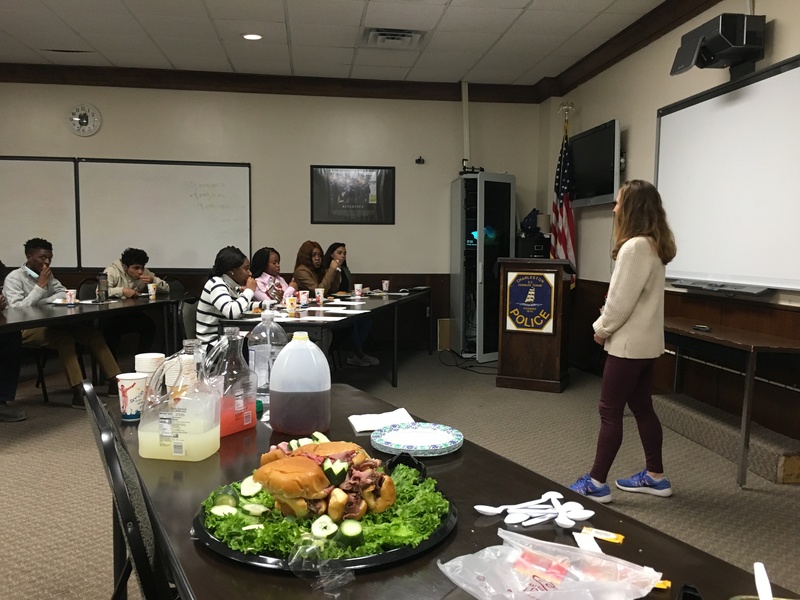 Following their job shadowing experiences, the students met at the City of Charleston Police Station for lunch and shared what they learned. 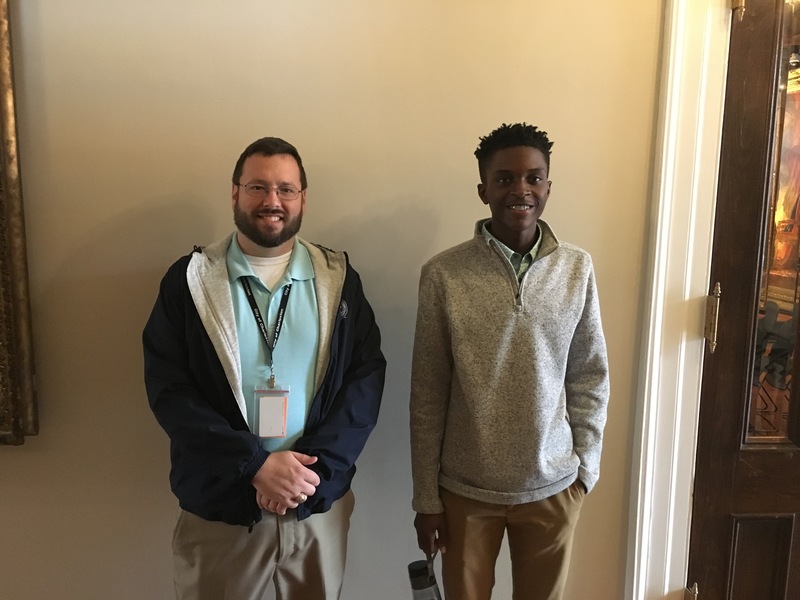 Thank you to the amazing team of municipal employees that make this job shadowing day a rich experience for students each year! 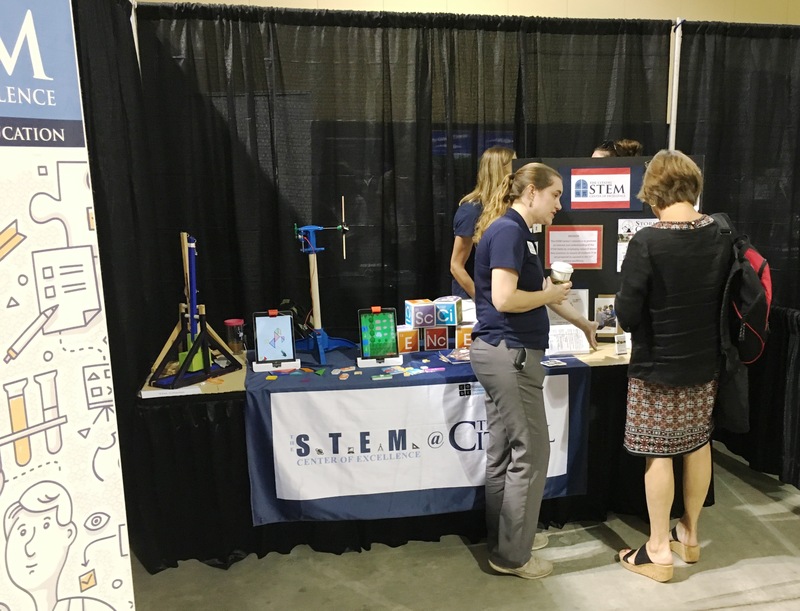 And, special thanks to Mayor Tecklenburg and Mindy Sturm for their leadership in making the event possible. 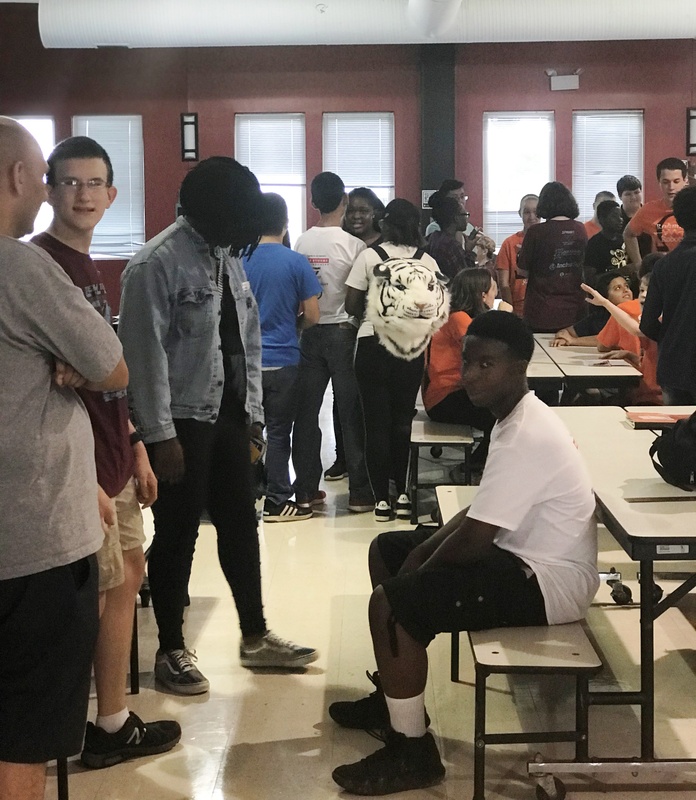 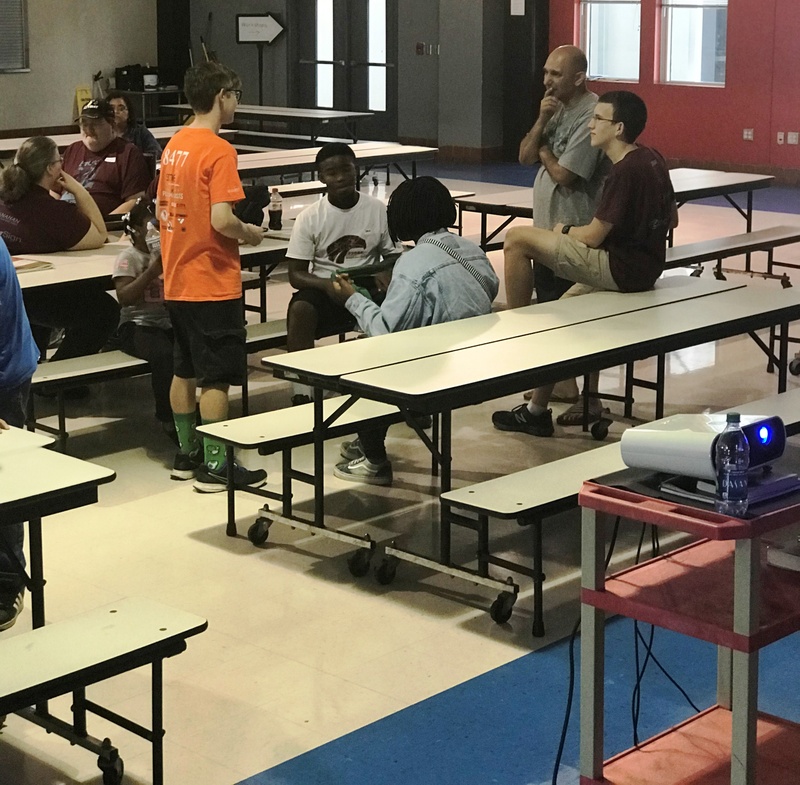 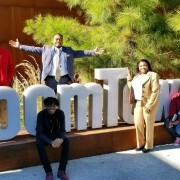 On December 5th, 2018, Ms. Crabtree’s Exploring Computer Science students from North Charleston High School were able to experience a very informative “Deep Dive” work-based learning visit hosted by BoomTown!, a local software company. 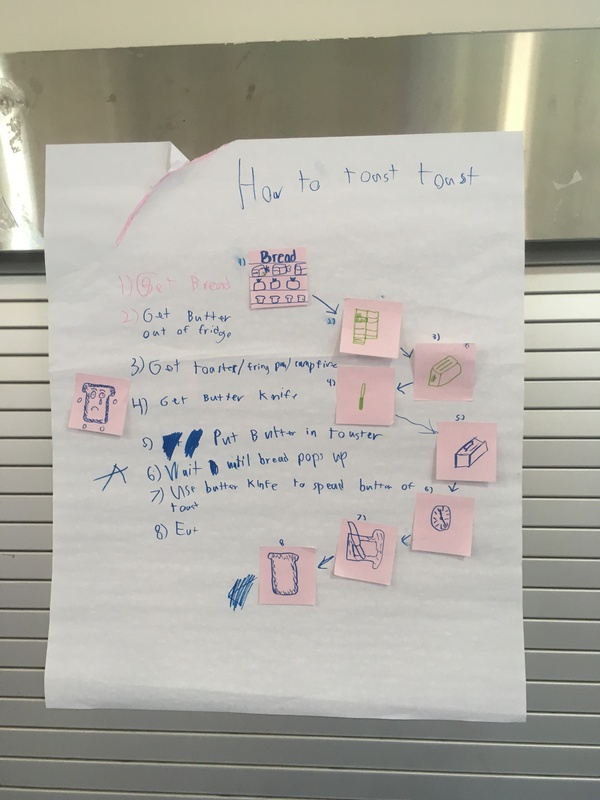 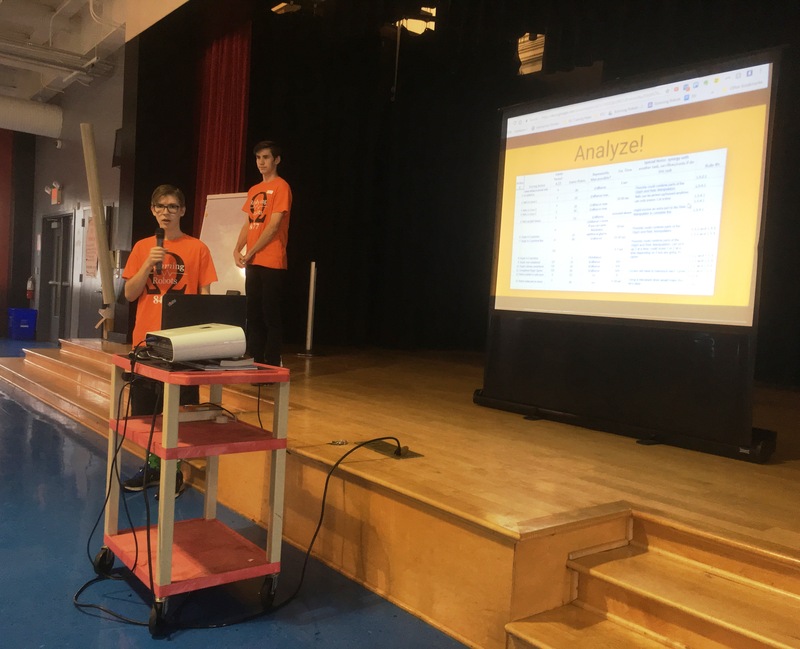 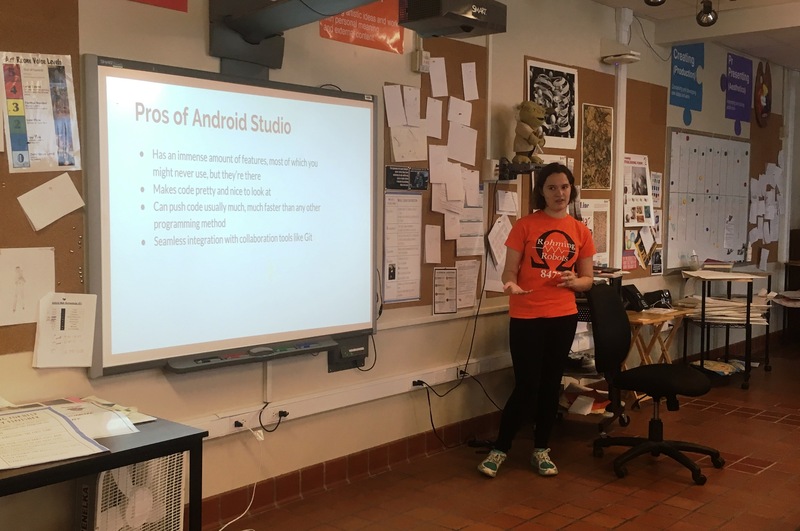 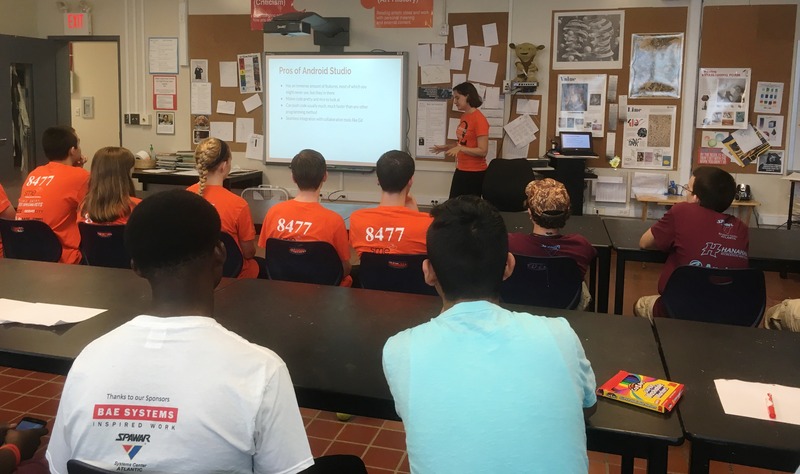 Students received a detailed presentation on the features and benefits of BoomTown’s ROI real estate software, an explanation of the company’s core values, and a personalized tour of their modern workplace. 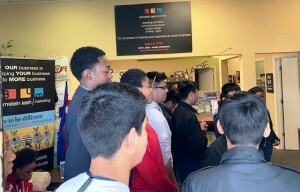 Students also got to see Pacific Box and Crate, which is the name of the beautiful tech campus BoomTown! 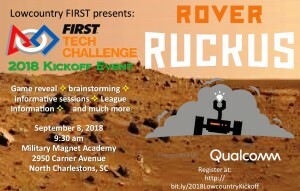 shares with other tech companies. 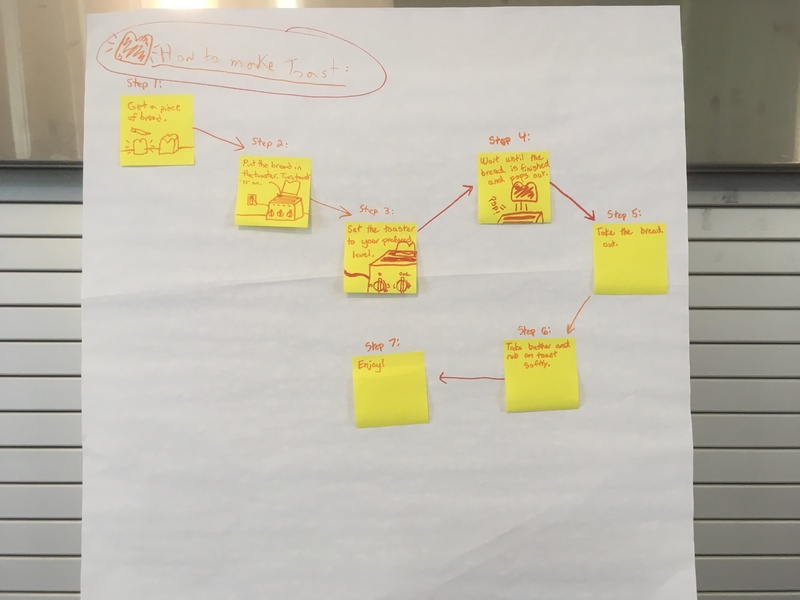 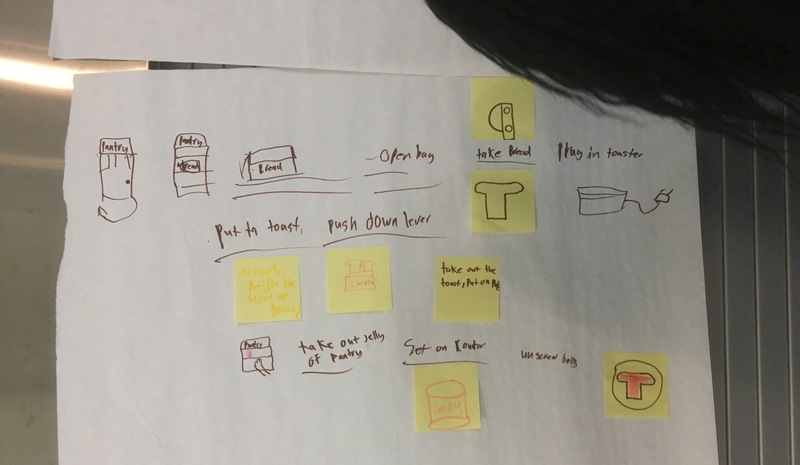 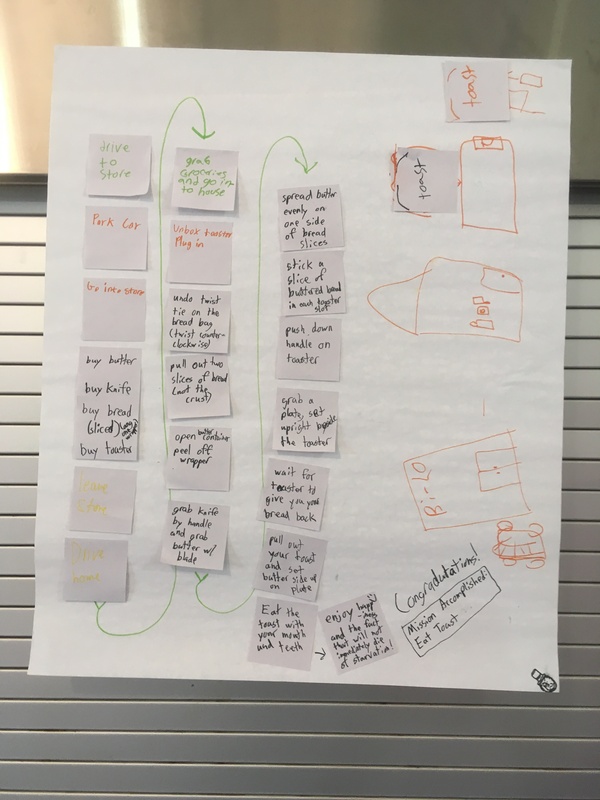 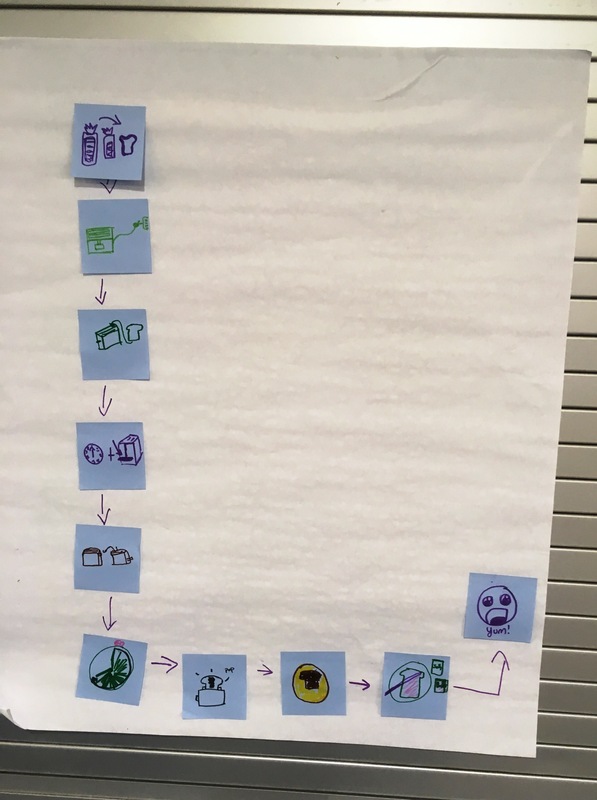 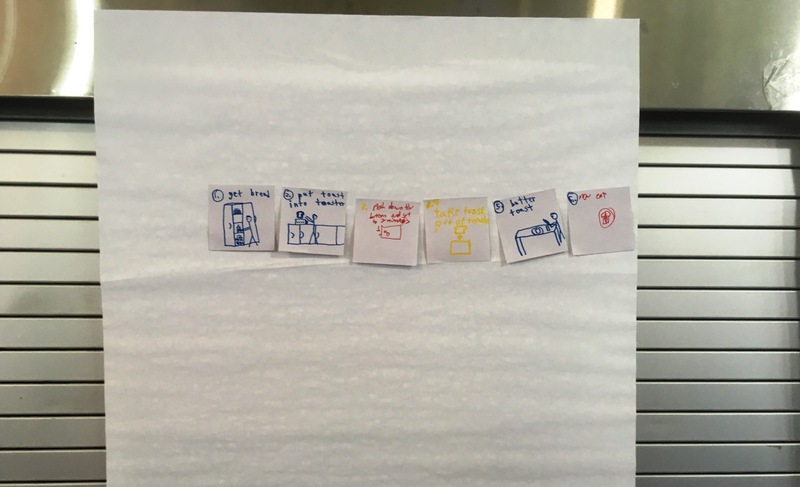 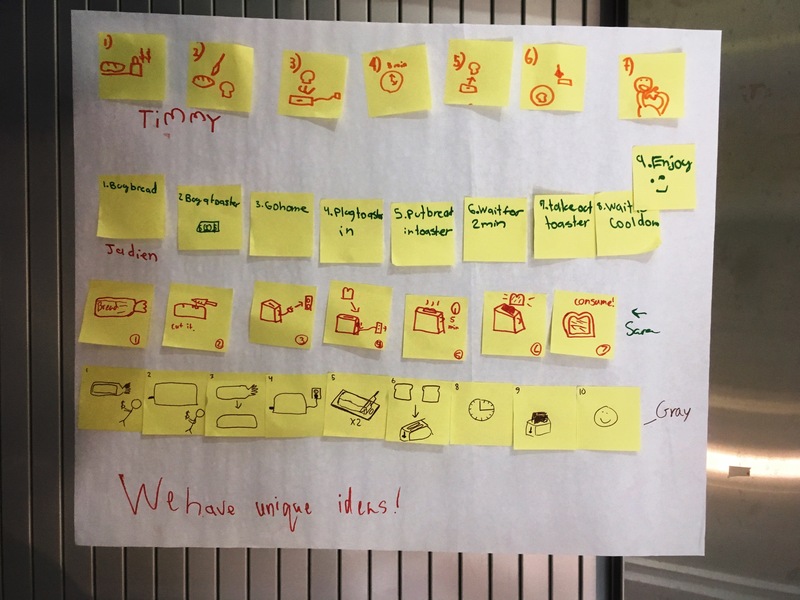 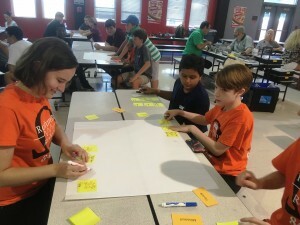 Students left with a new vision of the 21st Century workplace. 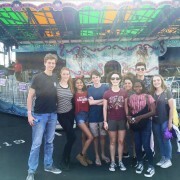 Thank you Nina Magnesson and the whole BoomTown! 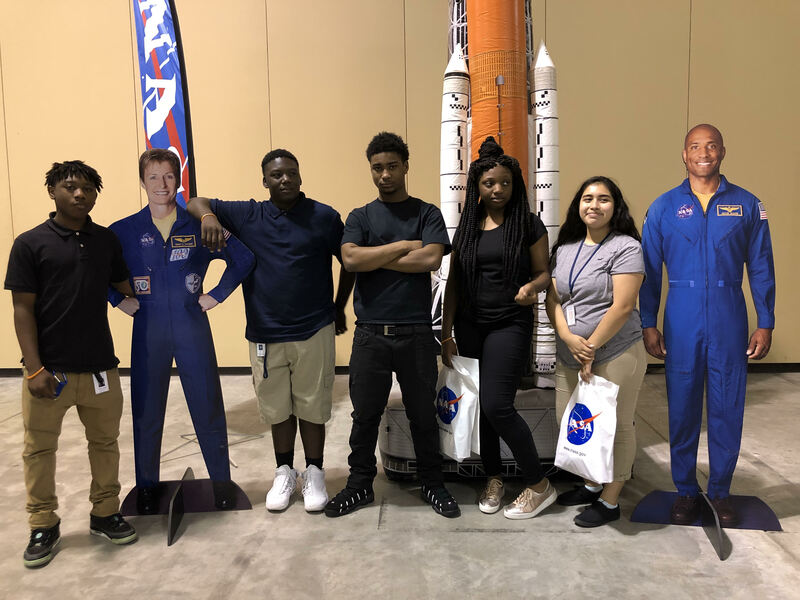 team for providing this rich career exploration opportunity for North Charleston High School students! 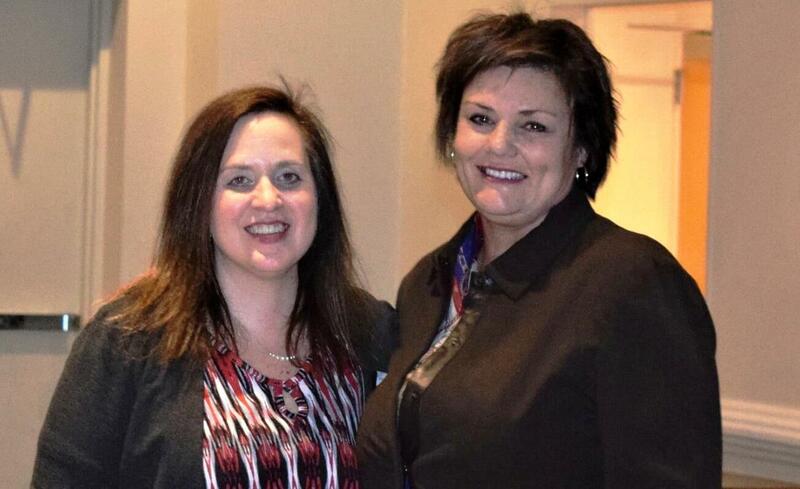 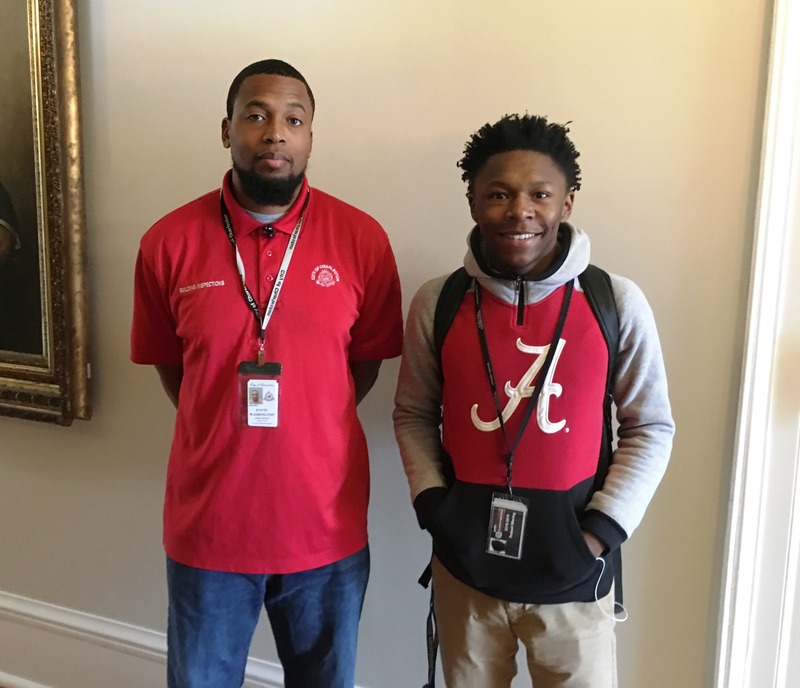 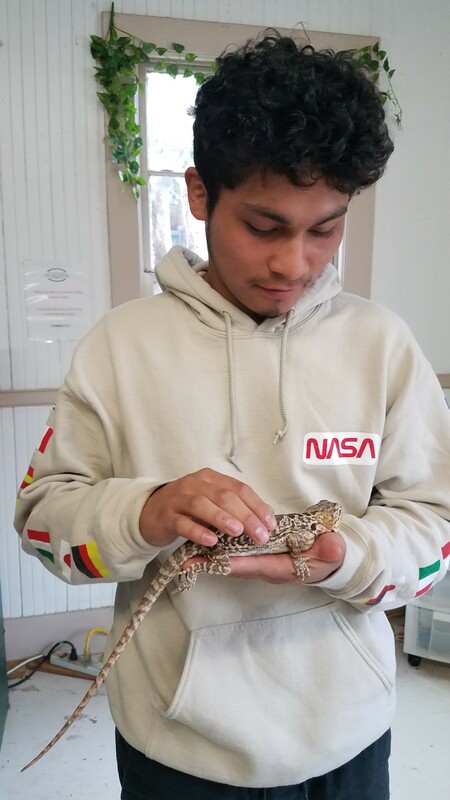 Thank you Darwin Shorters for submitting this excellent CTE Success Story with pictures! 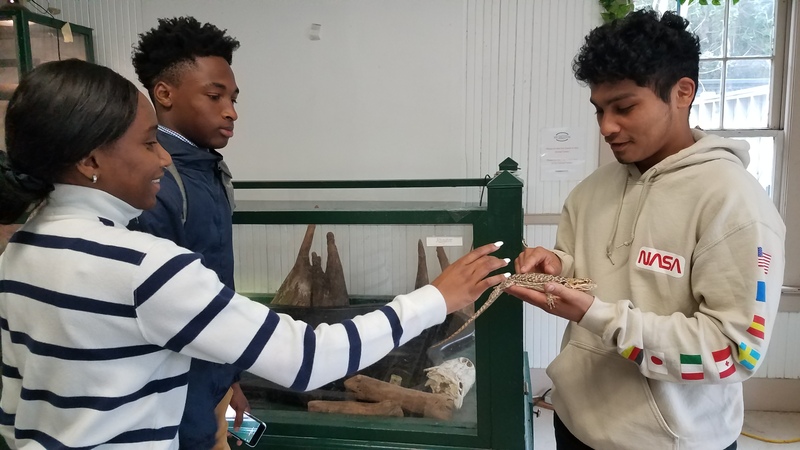 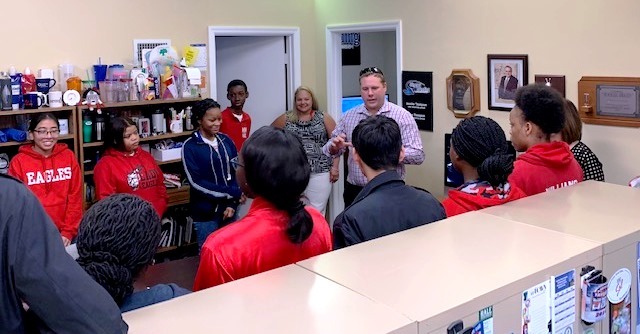 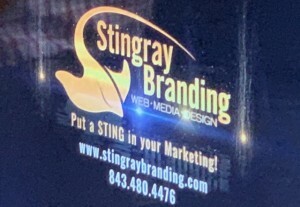 Students from Military Magnet Academy had the chance to visit two local marketing firms recently: Stingray Branding and Bernstein Lash Marketing in West Ashley. 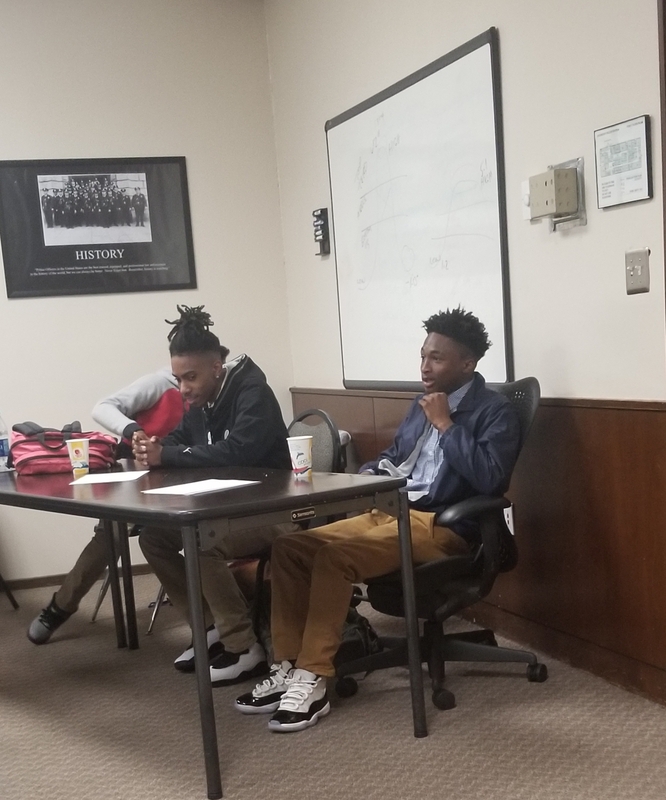 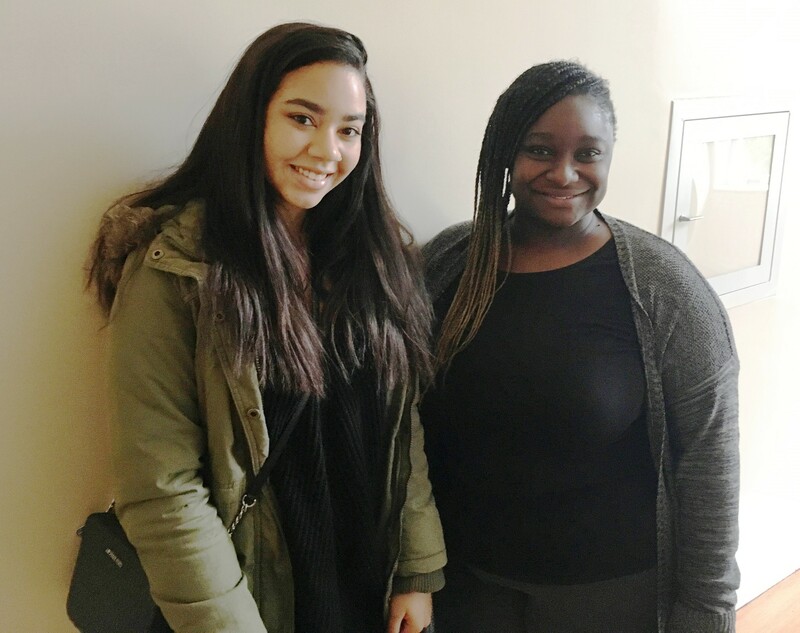 Team members for the two closely related companies welcomed the MMA marketing students to their office and shared how they provide quality marketing, web site design and branding services to many companies, both locally and nationwide. 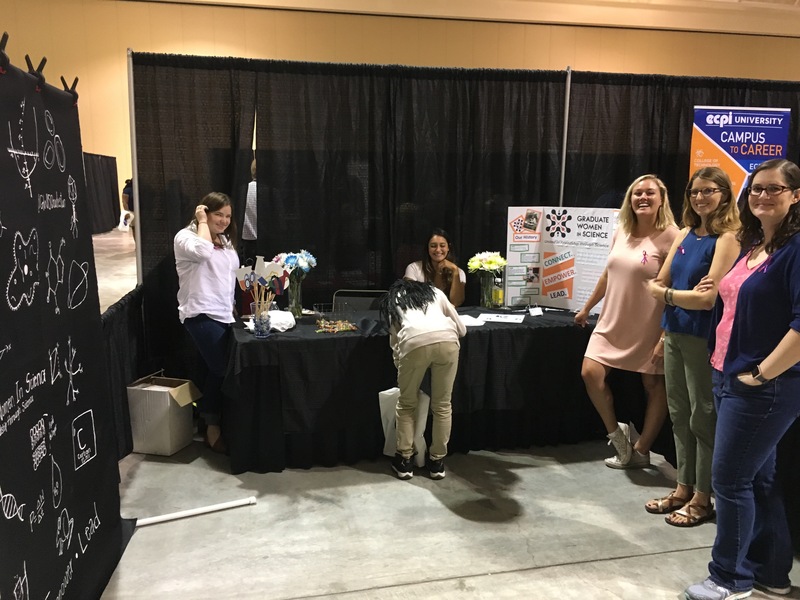 Thanks to everyone that helped make this terrific work-based learning opportunity possible for these MMA marketing students! 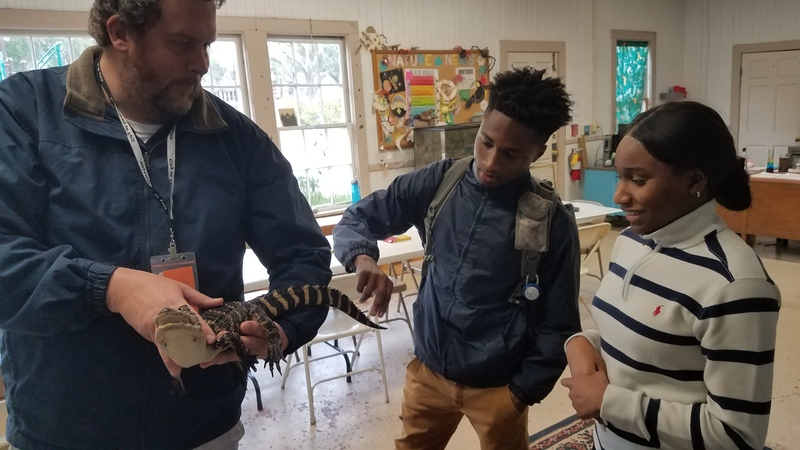 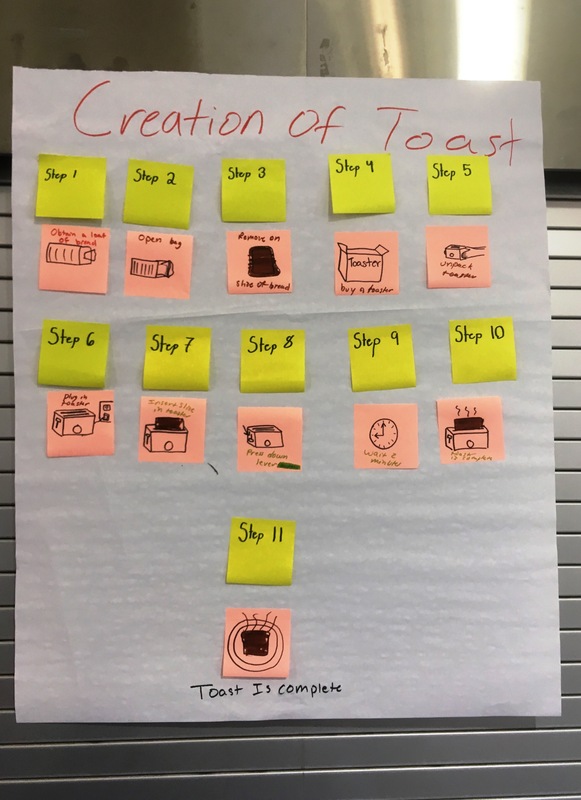 Chef Kimberly Ortego, Culinary Arts instructor & CTE Department Chair at Military Magnet Academy provided the following summary of her students’ recent work-based learning visit to Wild Dunes Resort on Isle of Palms. 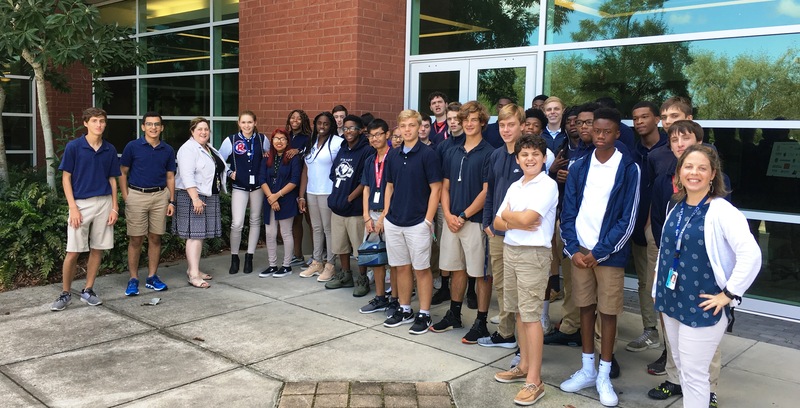 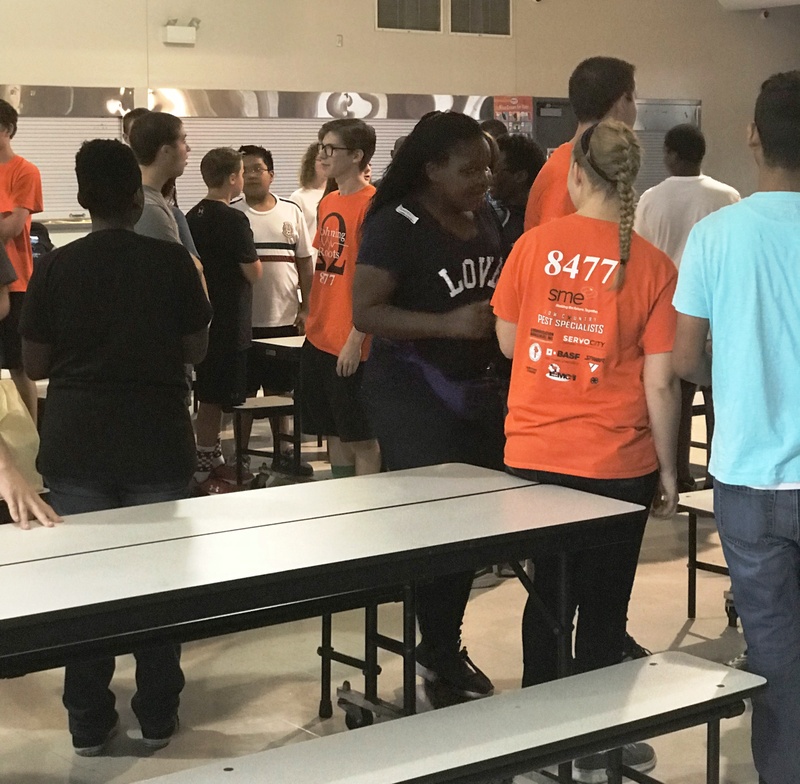 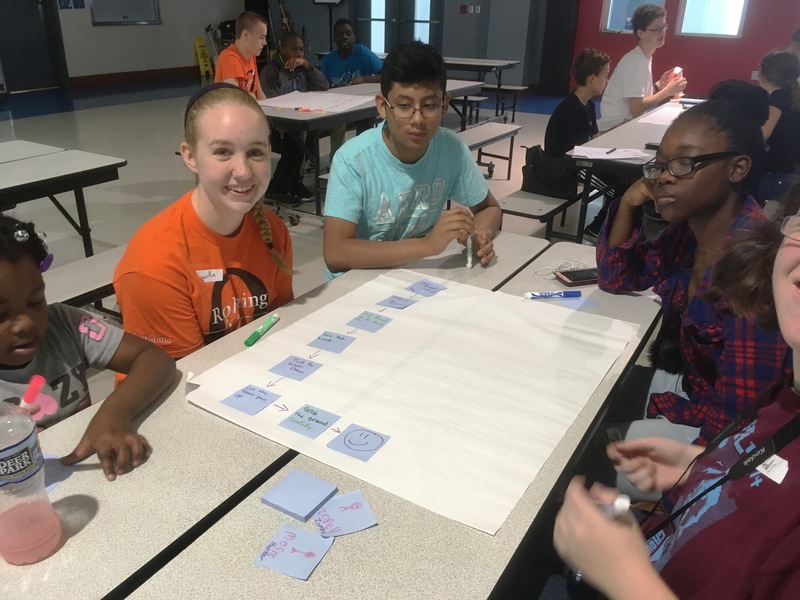 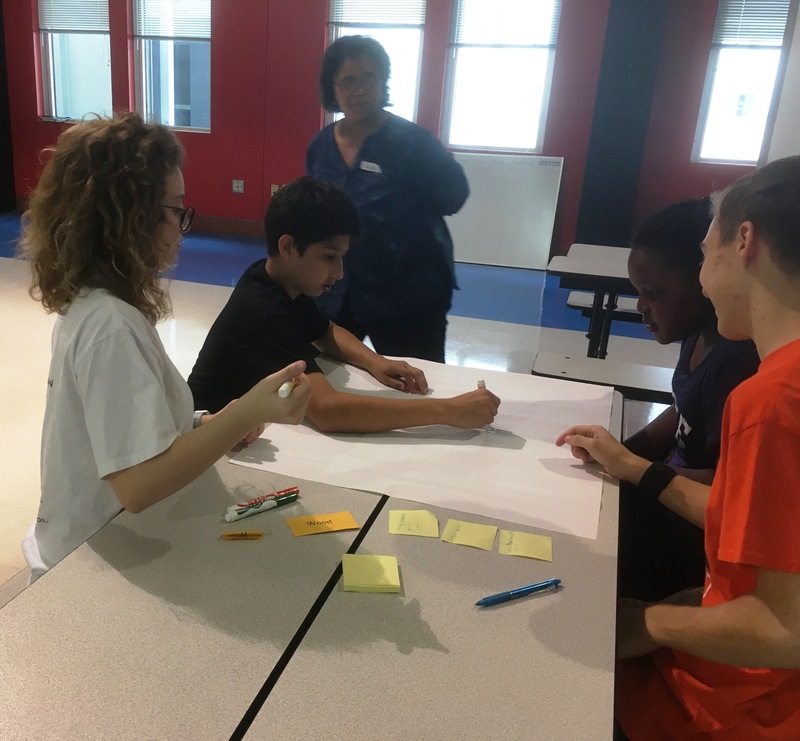 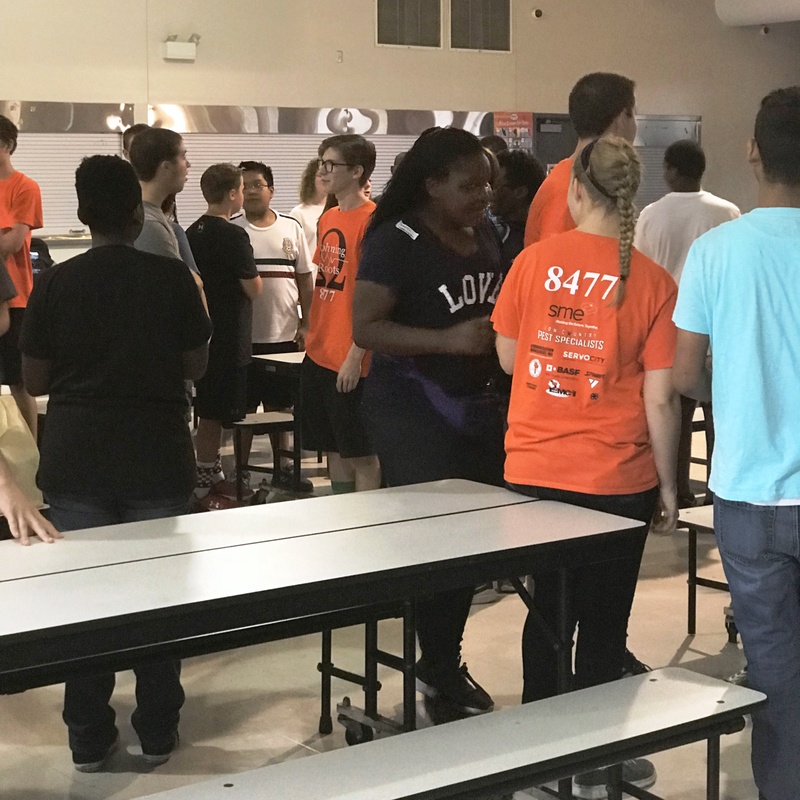 This work-based learning opportunity is possible thanks to the Charleston Metro Chamber of Commerce Career Academy program which encouraged and facilitates business partner support for CCSD high schools! 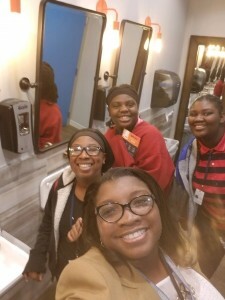 Students started their tour at the Market area which offers apartment style lodging for families and has several shops & markets for any needs they may have while on vacation. 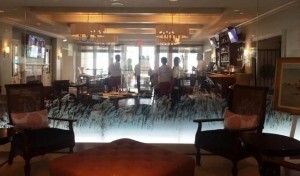 Student walked through the retail shops and got to peek inside the luxurious day spa. 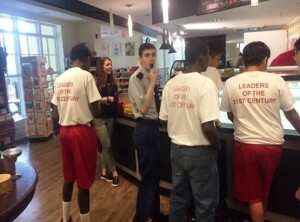 Then they enjoyed tasting ice cream at Hudson’s Market. 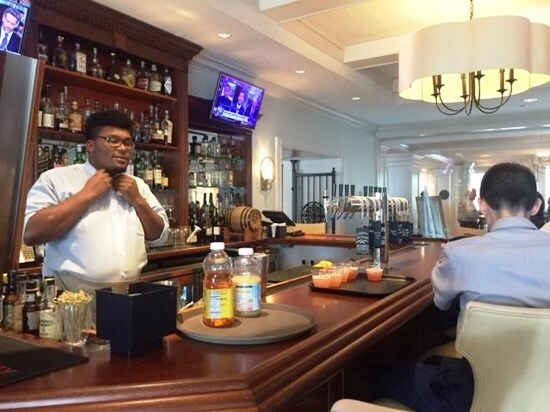 Students were invited to inspect the inside of Coastal Provisions Restaurant which overlooks one of the resort’s pool decks. 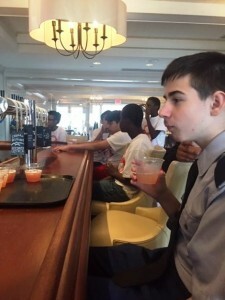 Student got to meet the staff at Coastal Provisions and enjoyed “mocktails” mixed to order while the discussed proper customer service techniques. 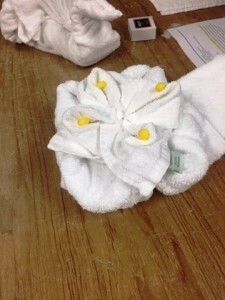 Students got to go behind the scenes in the housekeeping department at the resort. 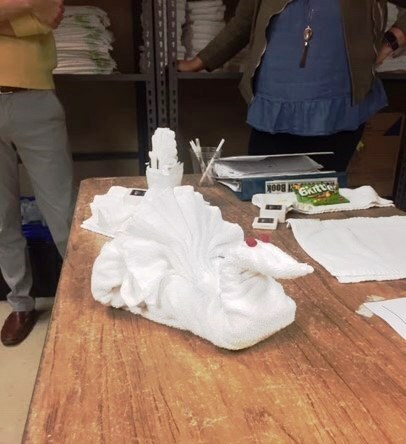 They met with a very experienced employee that showed them how to make the towel “art” each guest receives during their stay on property. Students learned how to make a swan and a lotus flower out of towels. 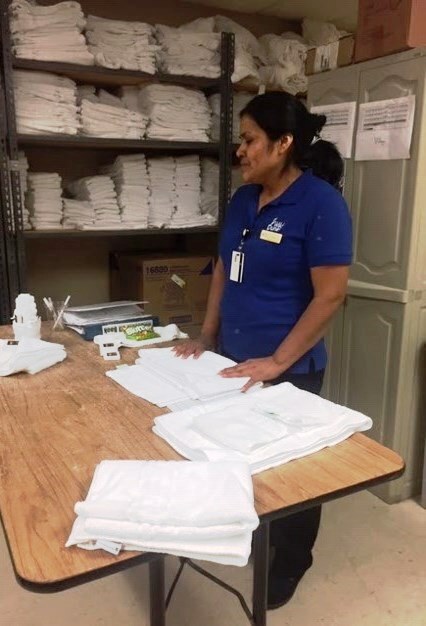 The housekeeping team explained their responsibilities and how they manage over 500 rooms daily, ranging from box style hotel rooms, to apartment style rooms, and homes that accommodate anywhere from 5-10 guests. 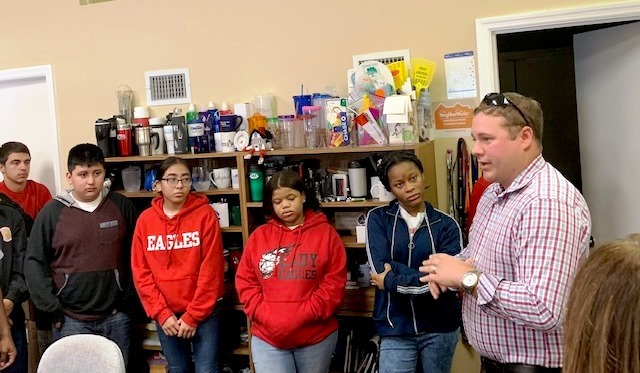 Thanks to the whole team at Wild Dunes for being such a wonderful Charleston Metro Chamber of Commerce Career Academy partner, and making this amazing work-based learning opportunity possible for our students! 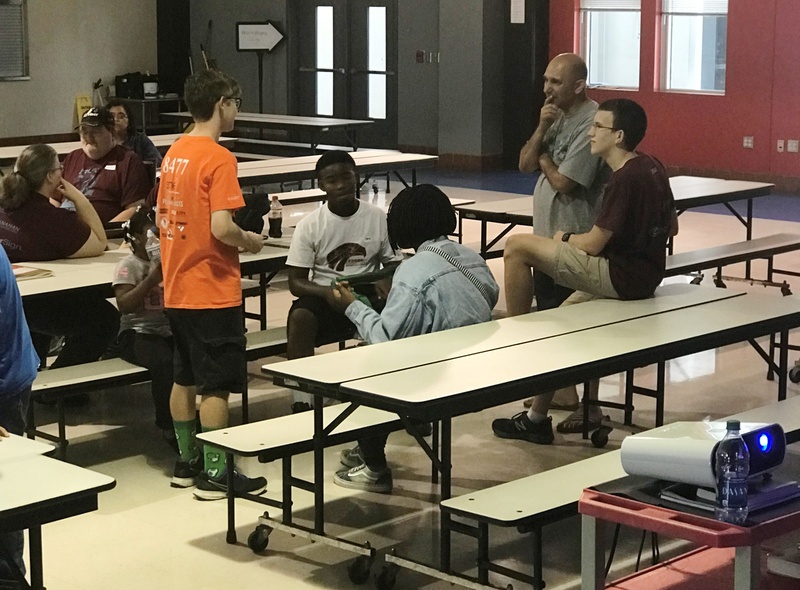 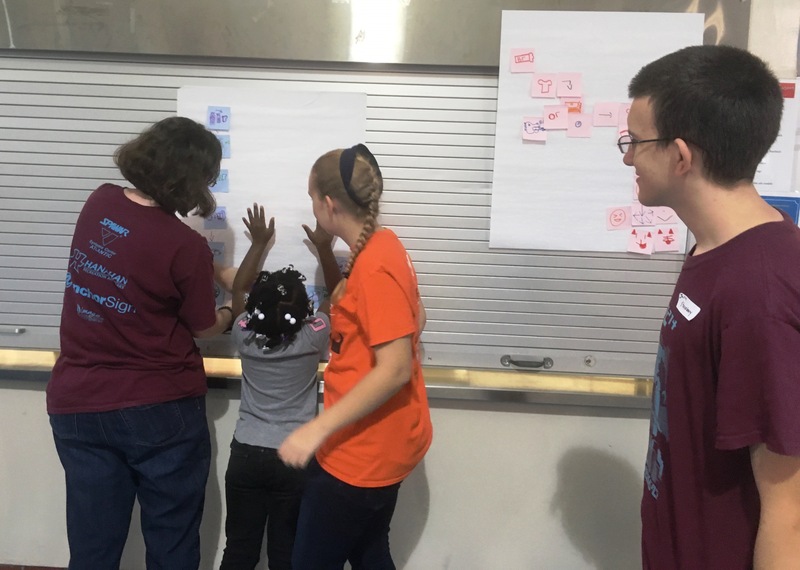 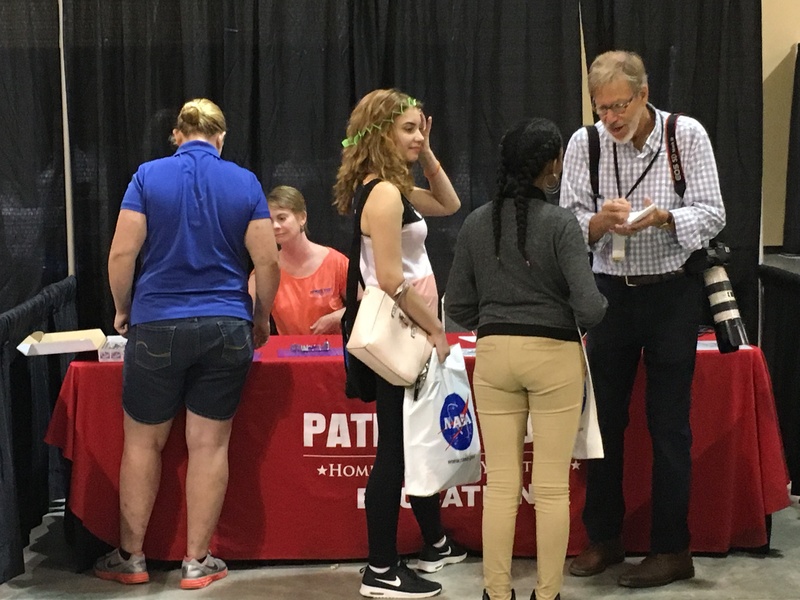 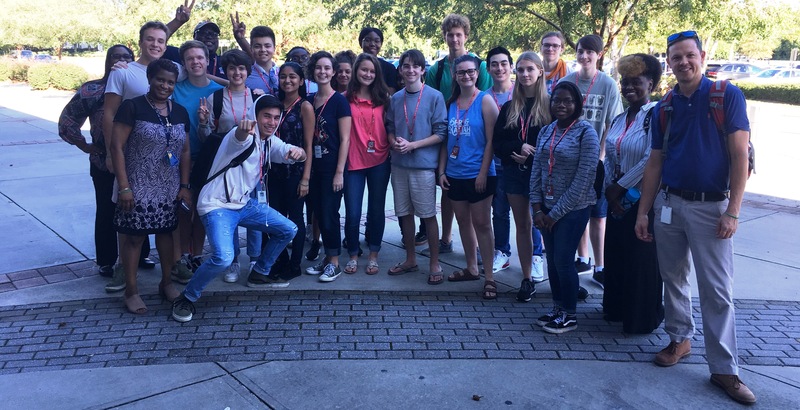 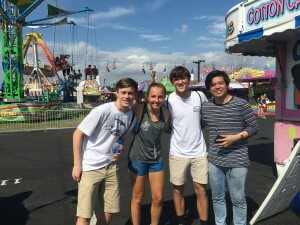 Students from Academic Magnet HS and Charleston County School of the Arts recently attended a special event called “Midway Physics Day” at the SC State Fair in Columbia in cooperation with the University of South Carolina. 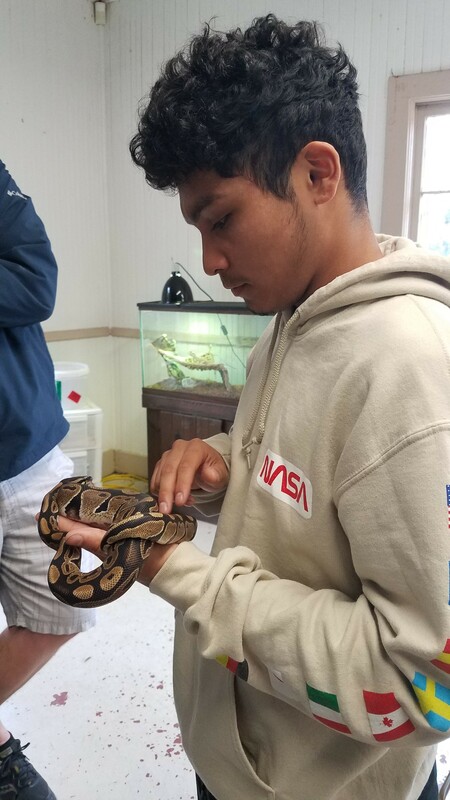 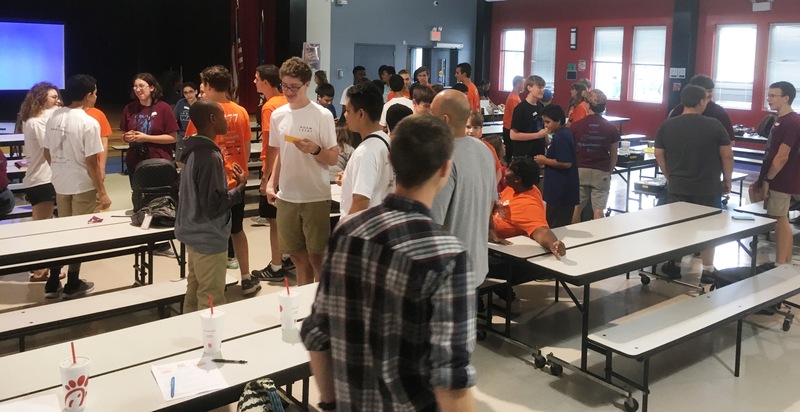 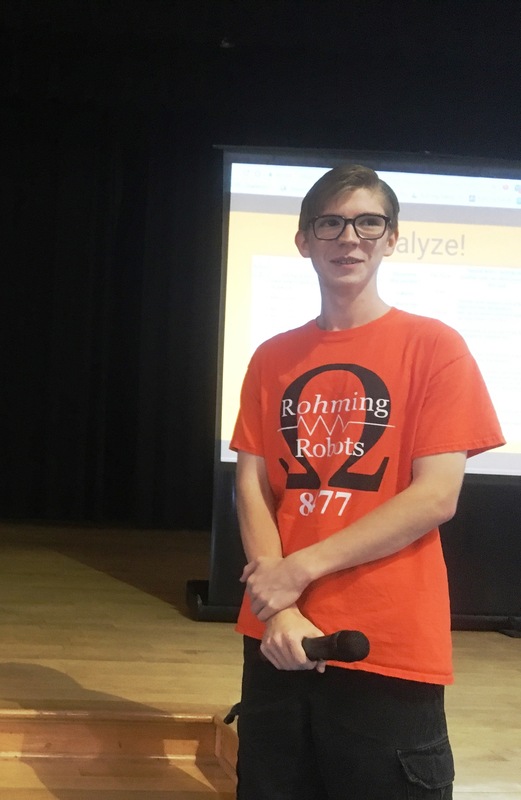 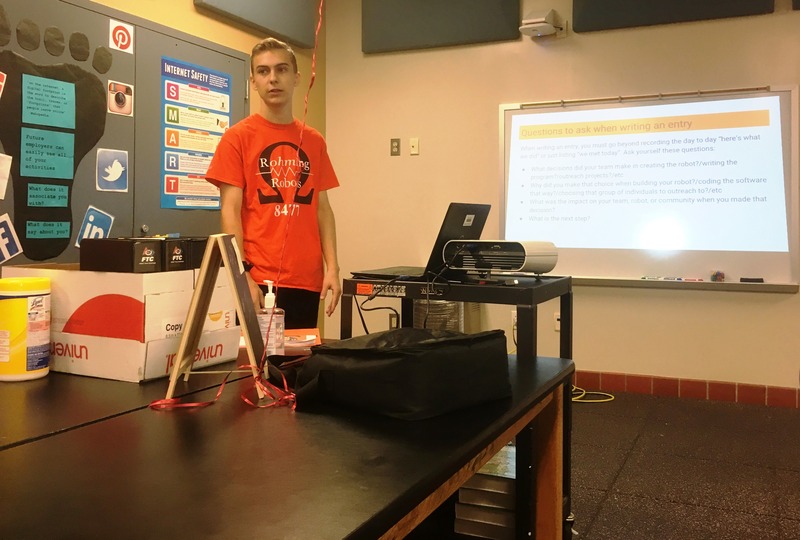 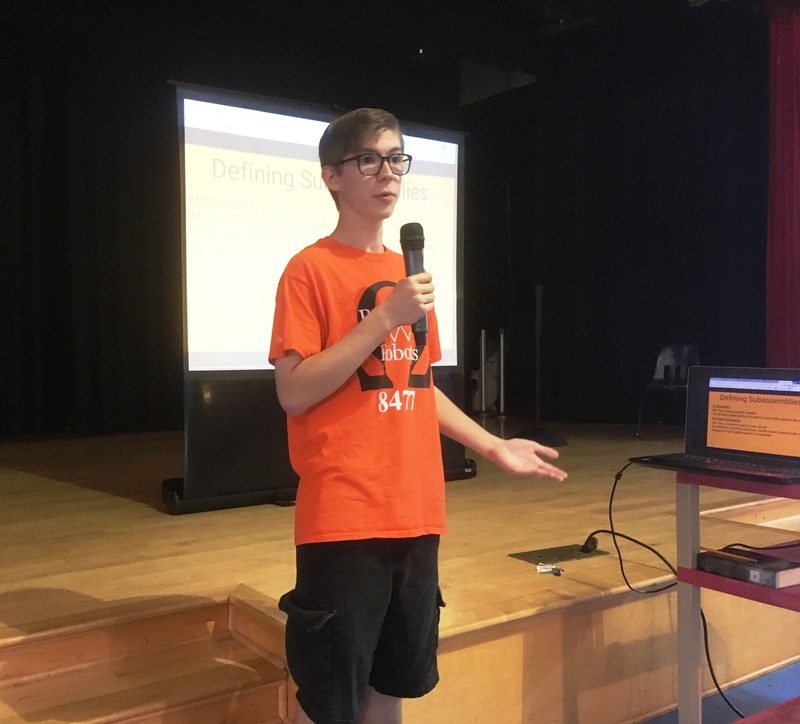 “Students logged scientific data on rides, participated in physics demonstrations, and met with members of USC faculty to talk about physics related careers. 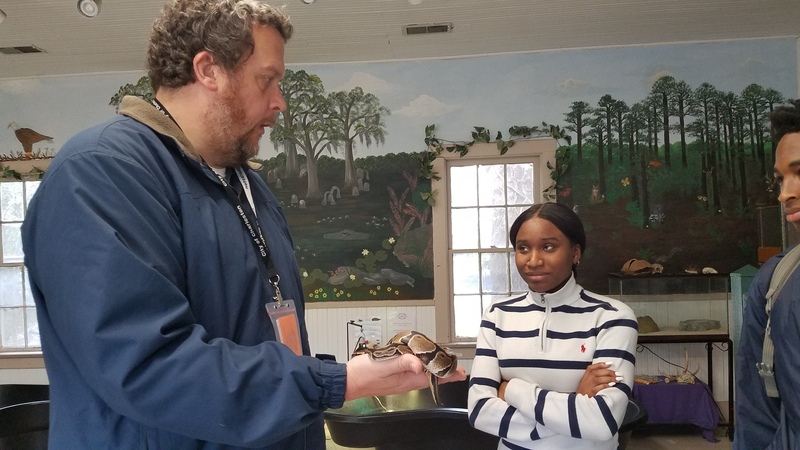 It truly was a great day,” said Kirk Lindgren, Physics Teacher at Charleston County School of the Arts and group chaperone. 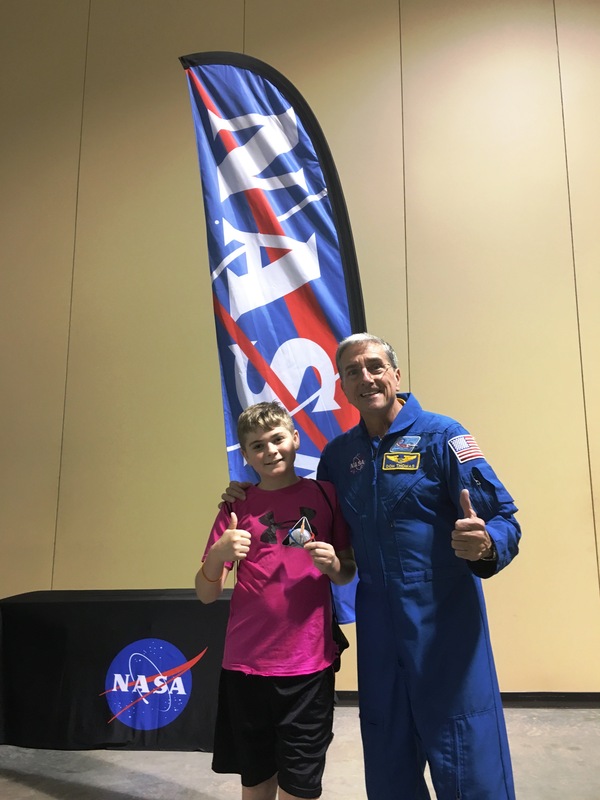 Thanks to all that made this terrific career exploration opportunity possible! 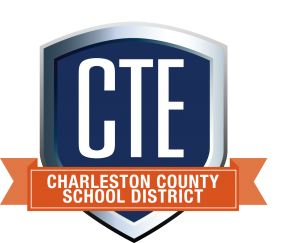 Trident Technical College will be hosting the annual comprehensive information session about Charleston Regional Youth Apprenticeships program, including 2 PLTW Engineering Assistant youth apprenticeships, on Saturday, Feb. 2, 2019 at Thornley (Main) Campus in the College Center, bldg. 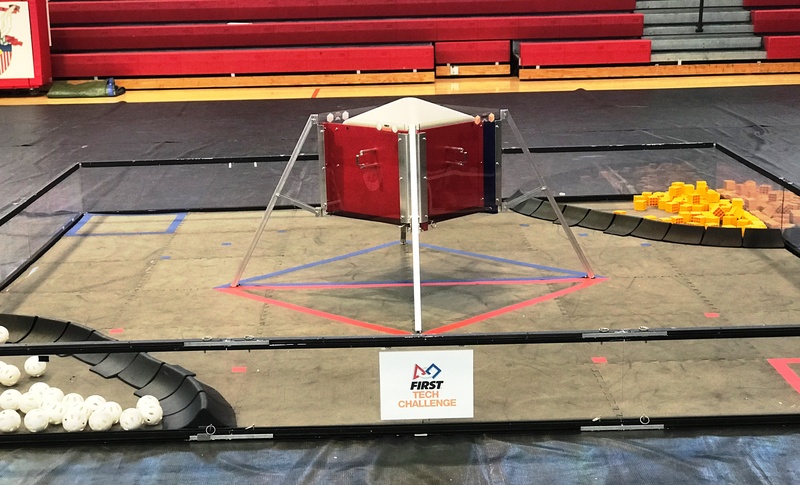 920, from 9 a.m. to noon. 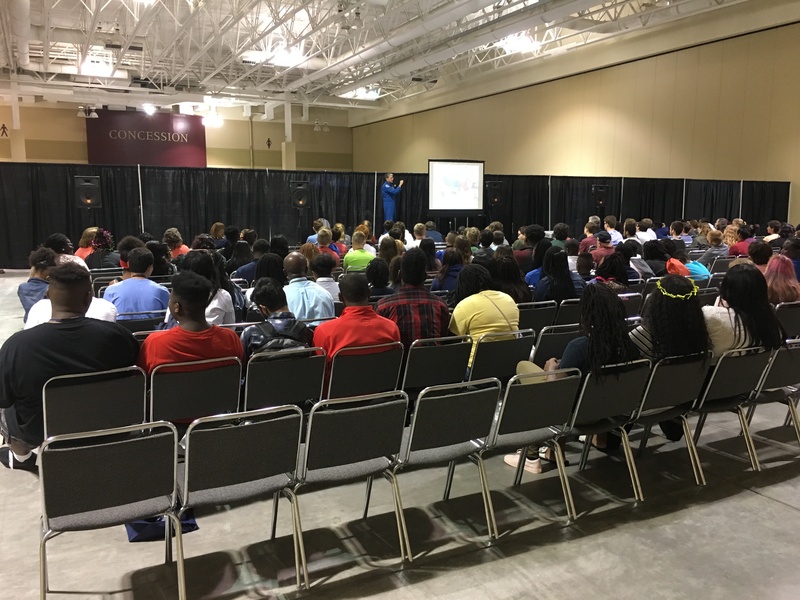 Students, parents, teachers, and counselors interested in learning about youth apprenticeships are strongly encouraged to attend. 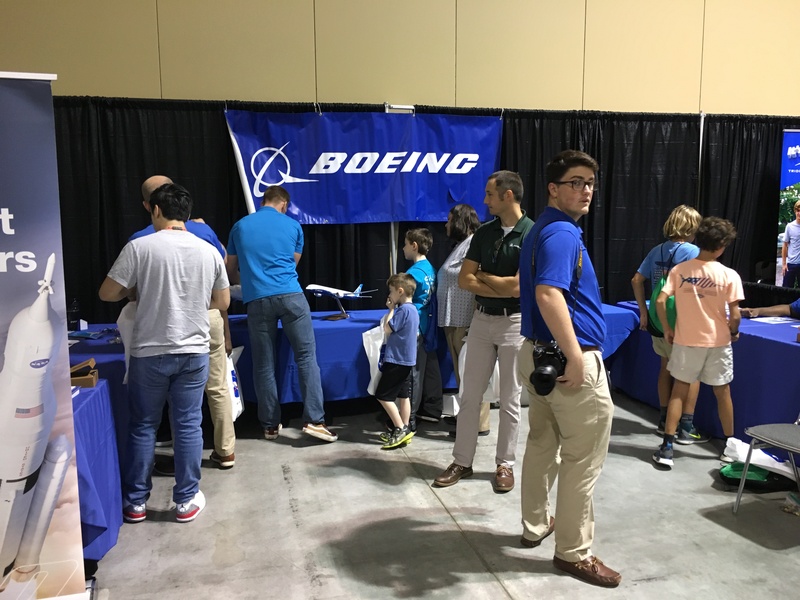 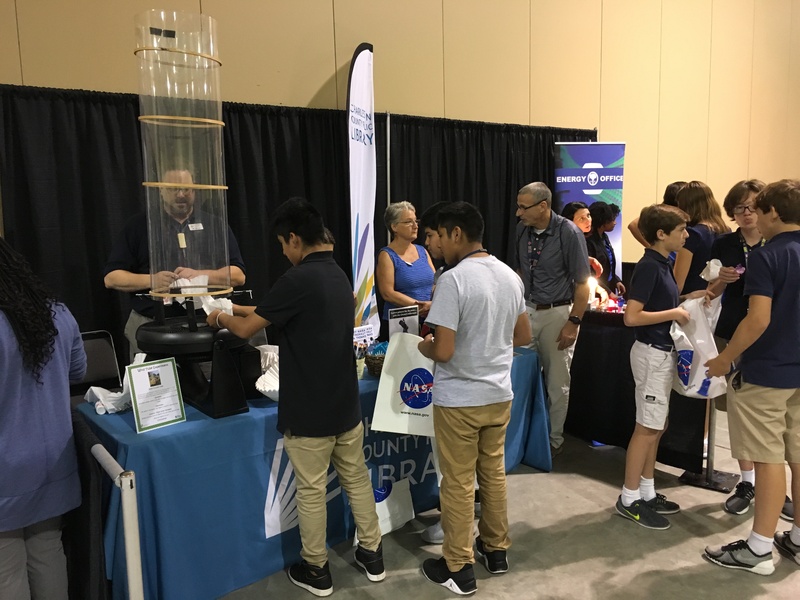 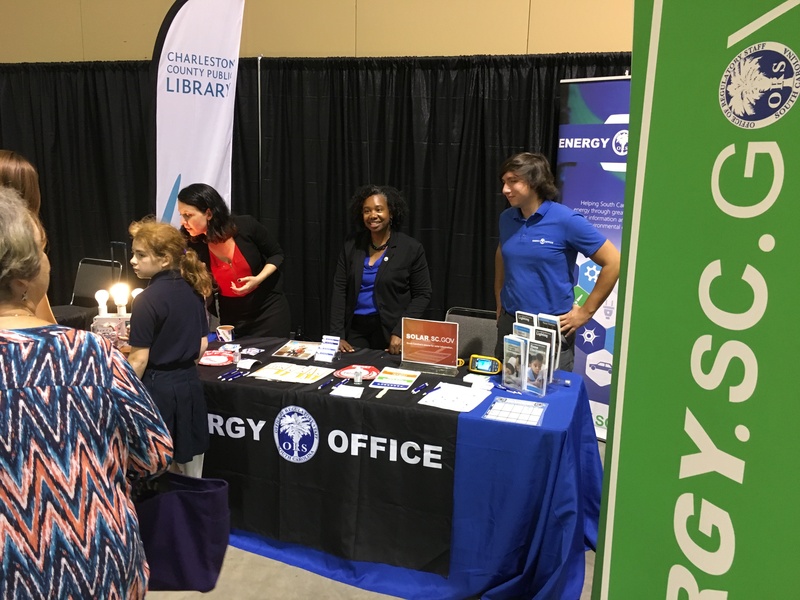 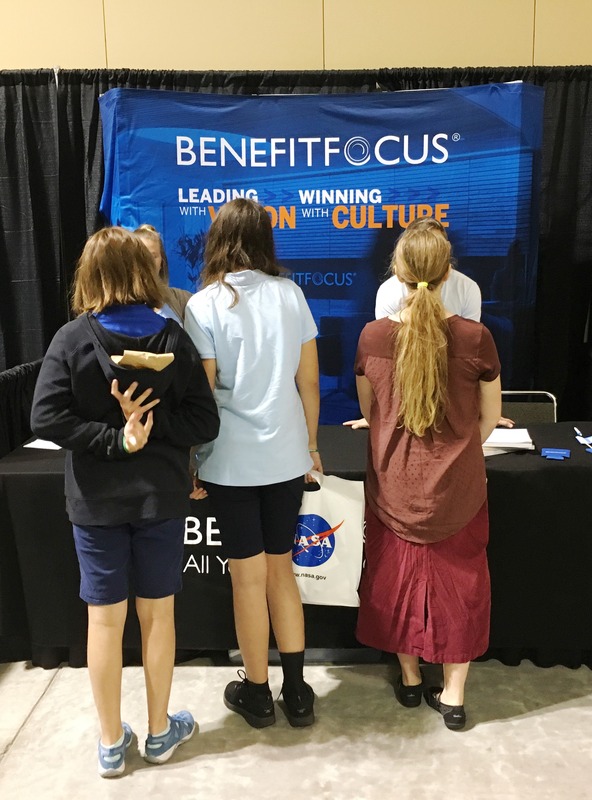 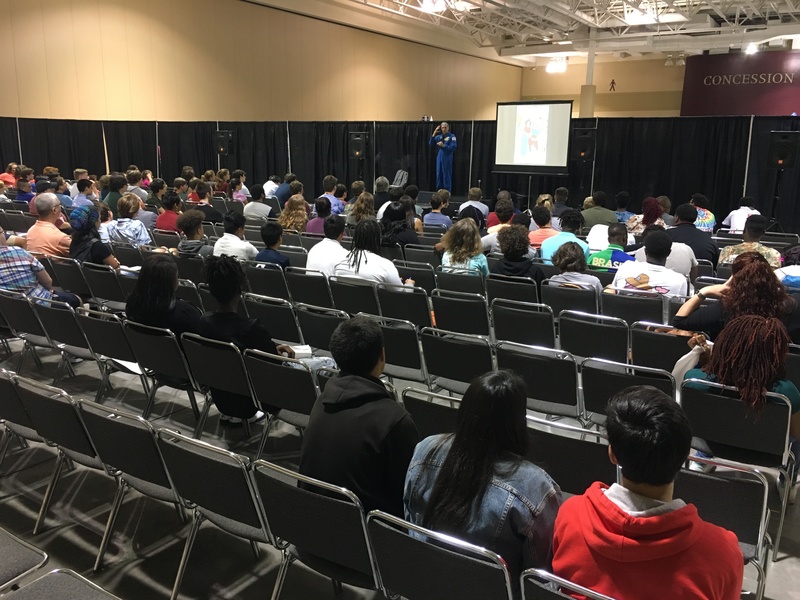 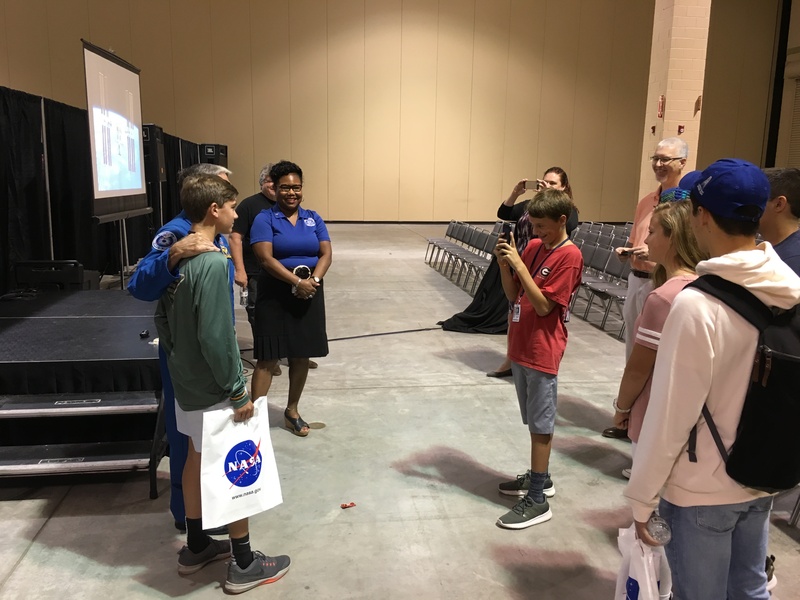 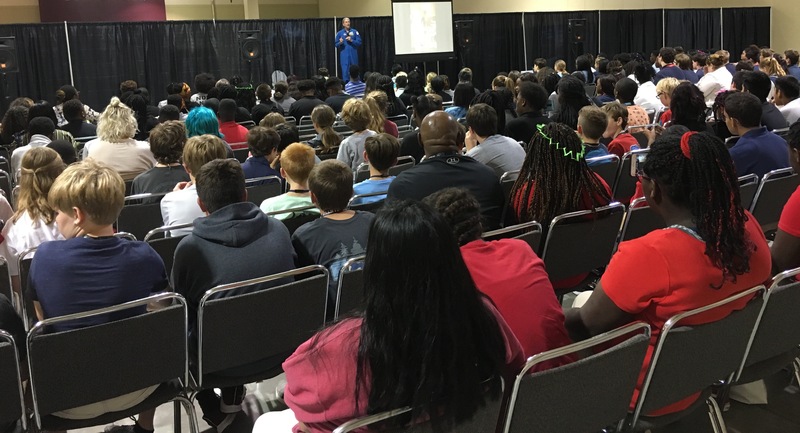 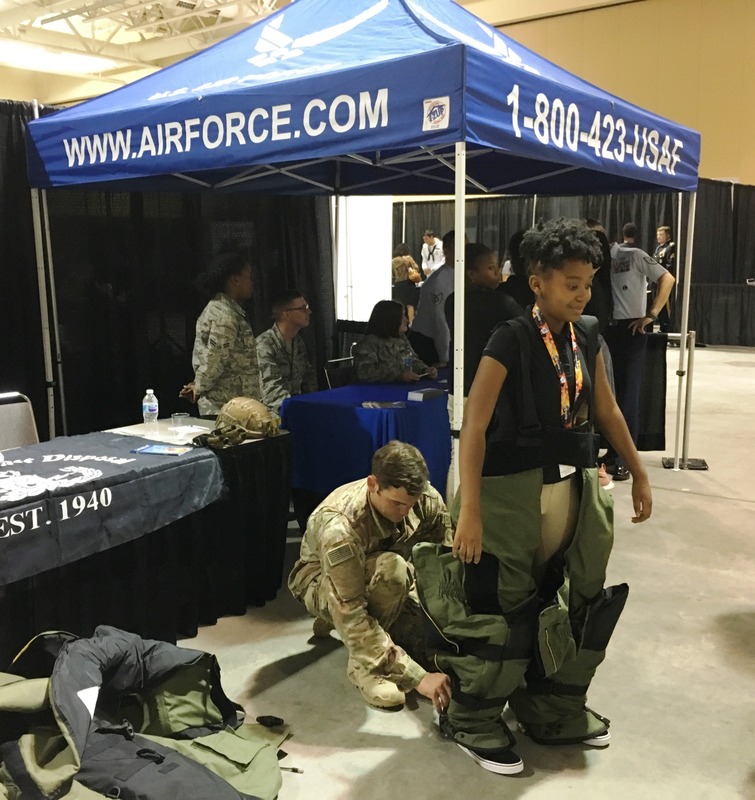 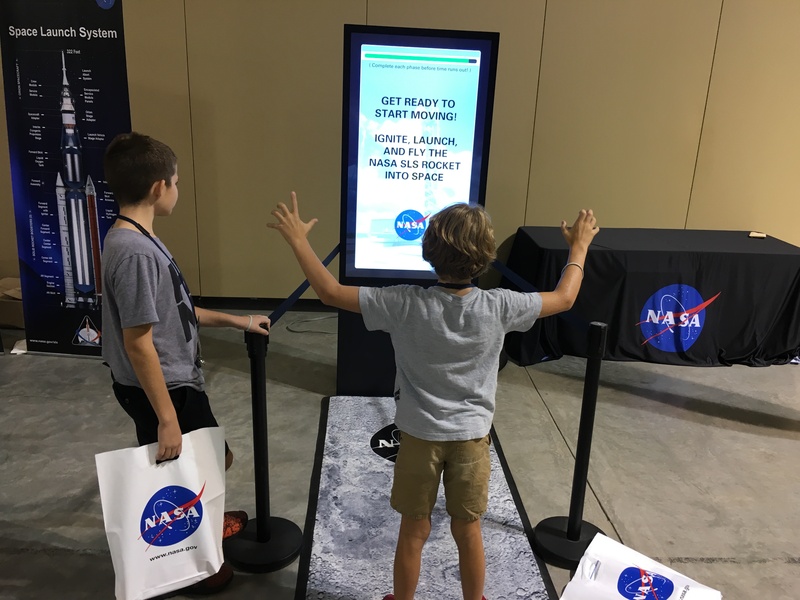 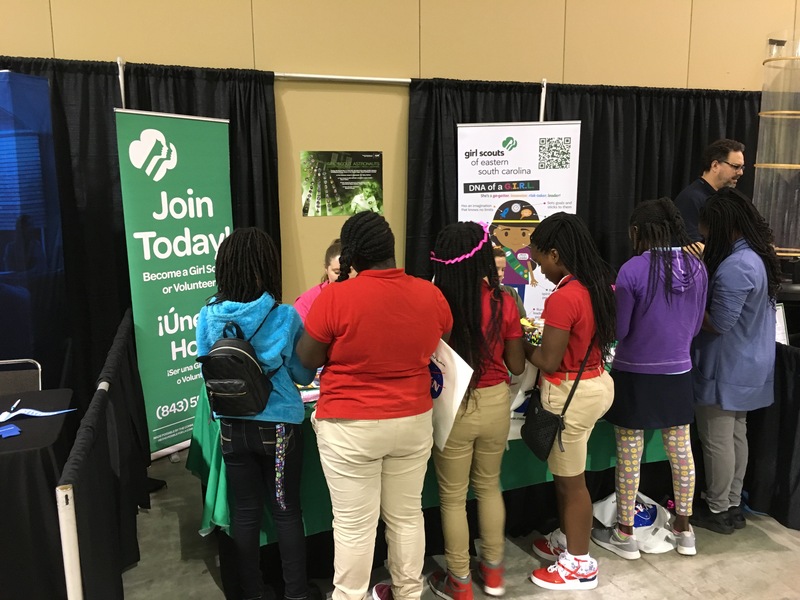 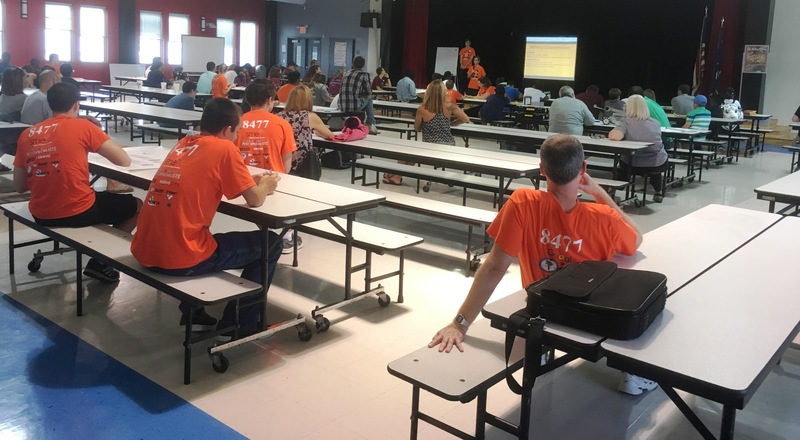 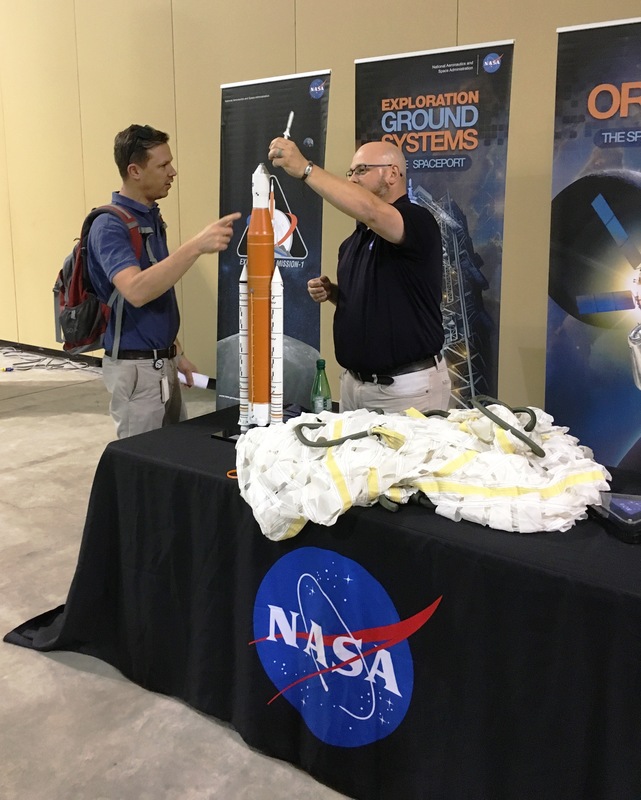 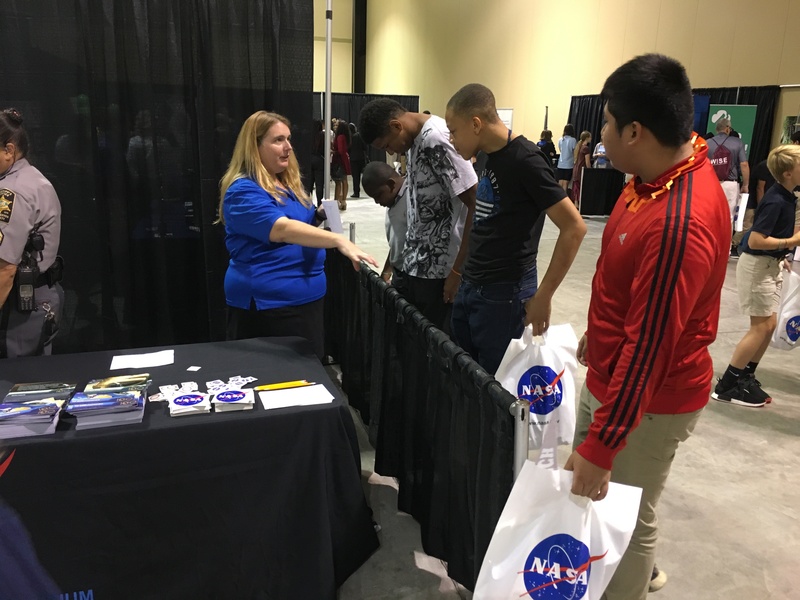 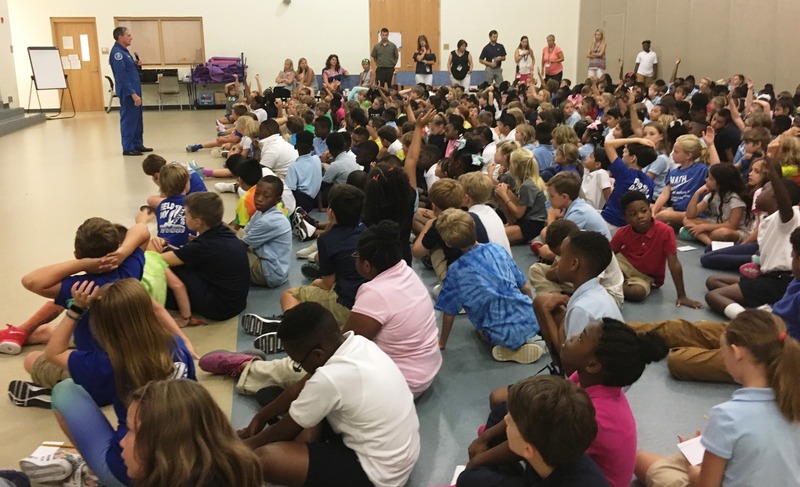 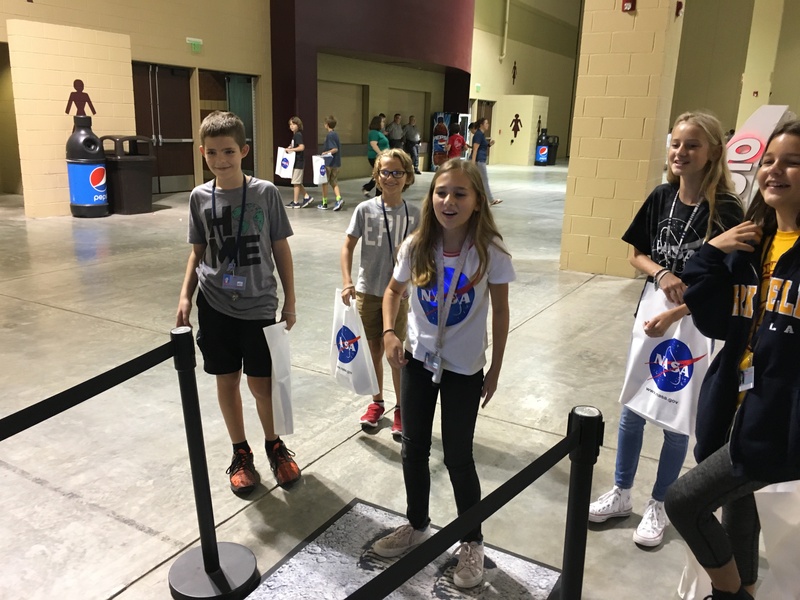 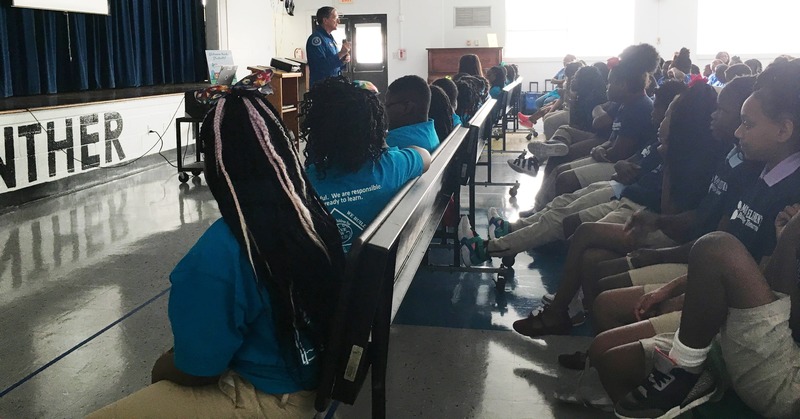 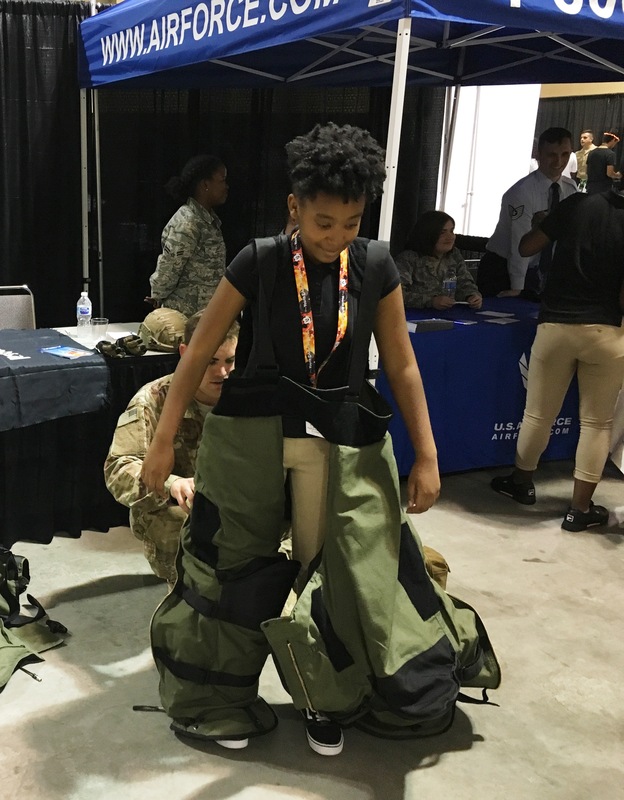 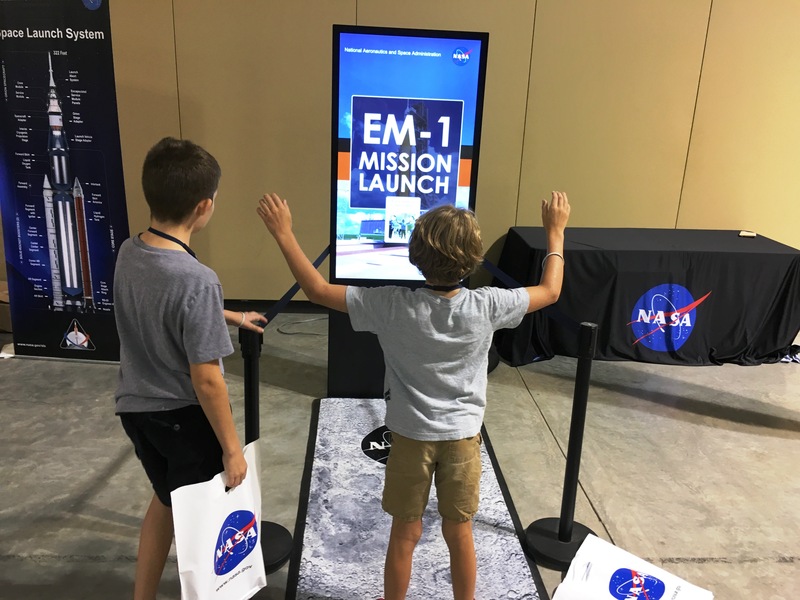 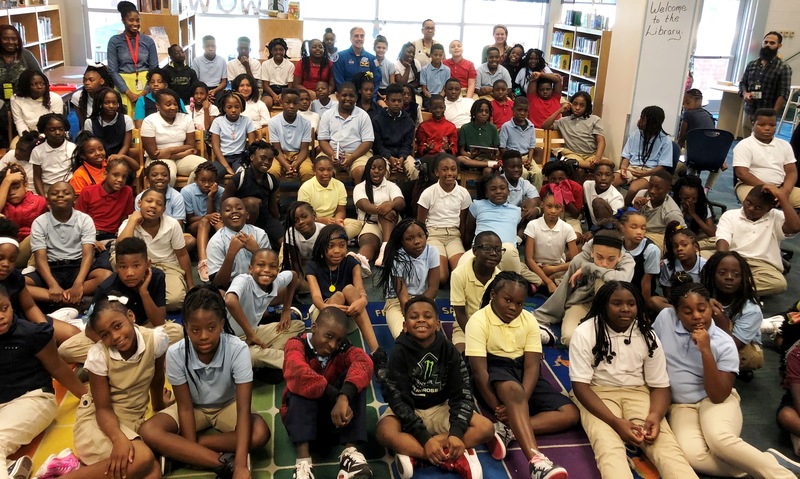 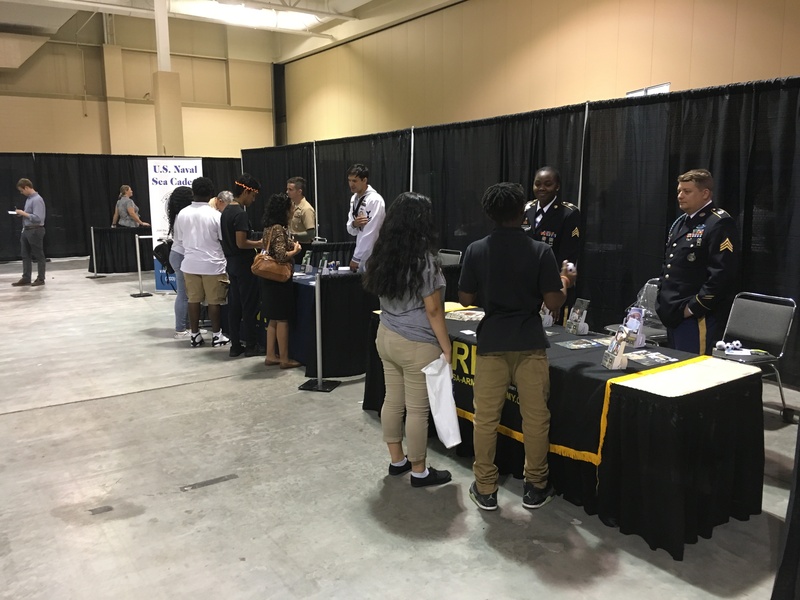 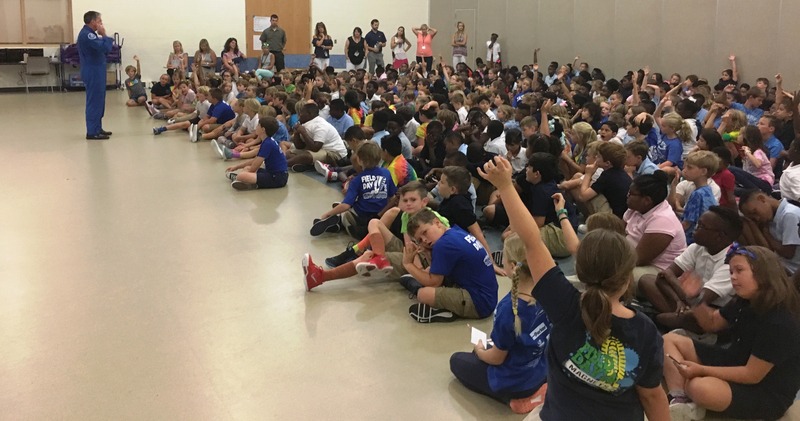 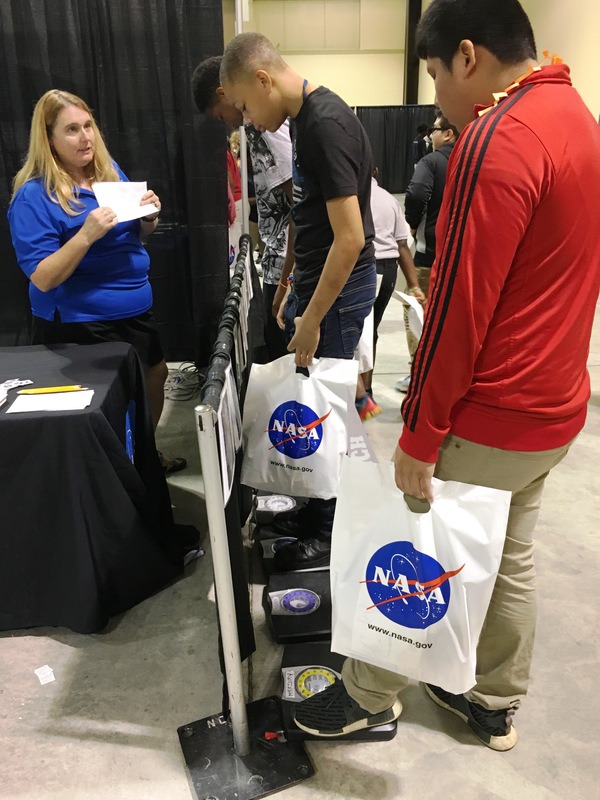 Informational presentations will start at 9 a.m. and 10:30 a.m.
On Wednesday, Aug. 29 almost 1000 Charleston County School District students from over 20 schools attended the STEM Career Fair where they saw demonstrations of NASA’s new heavy-lift rocket, the Space Launch System. 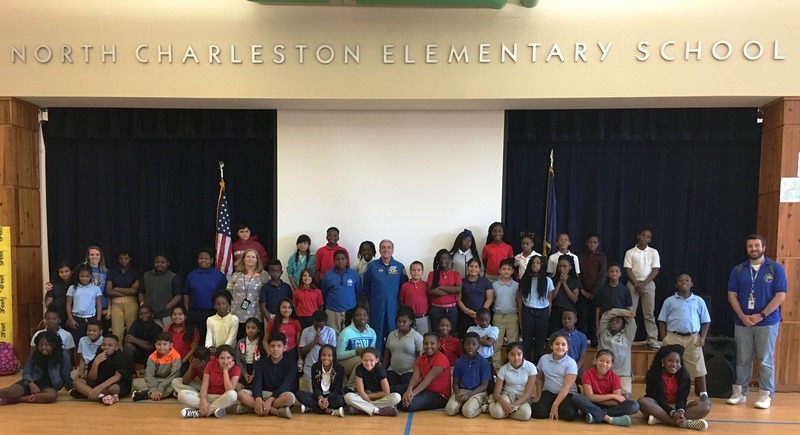 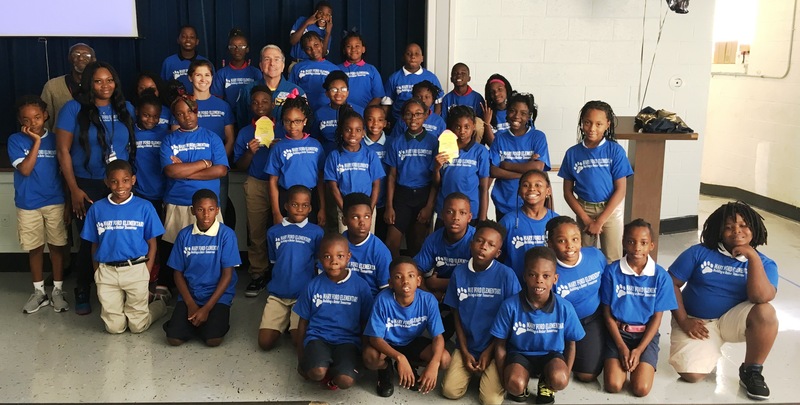 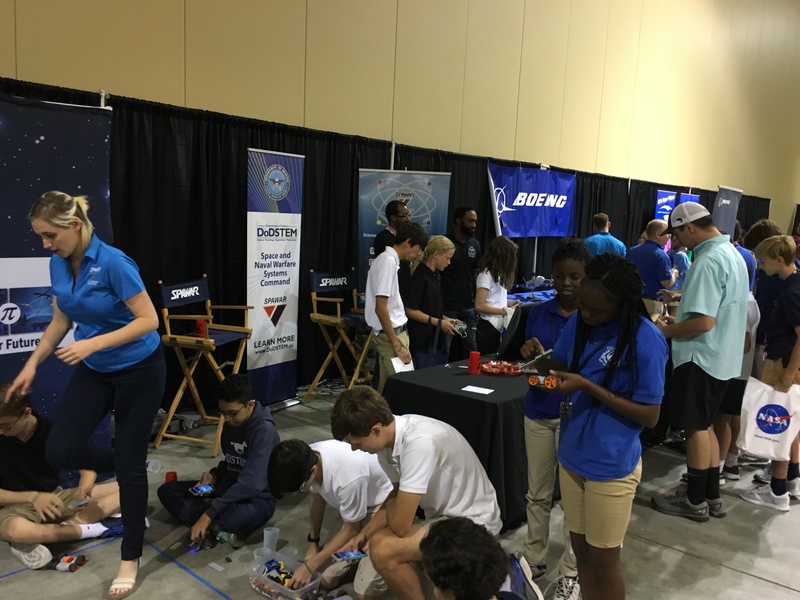 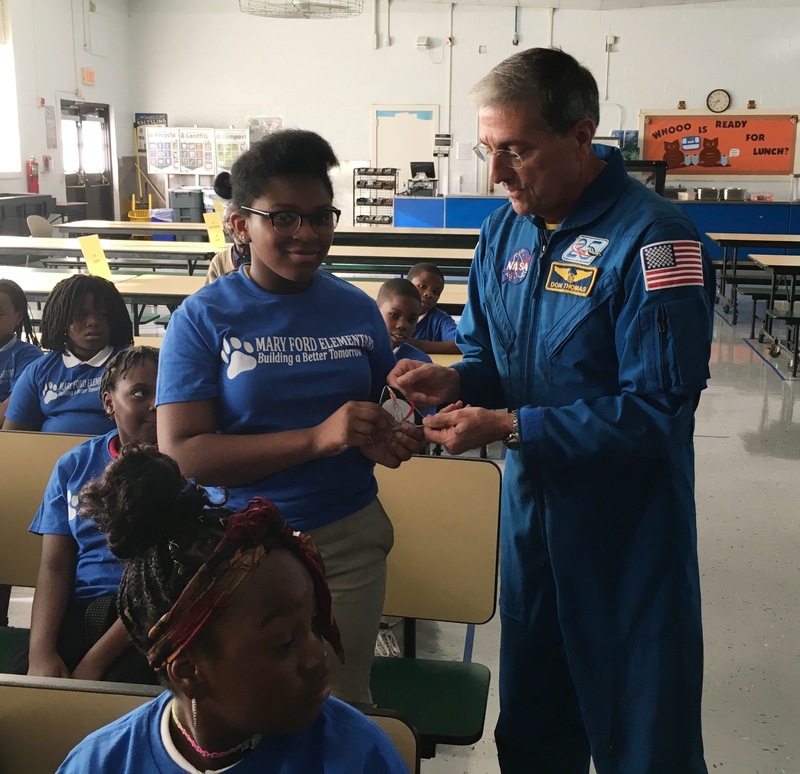 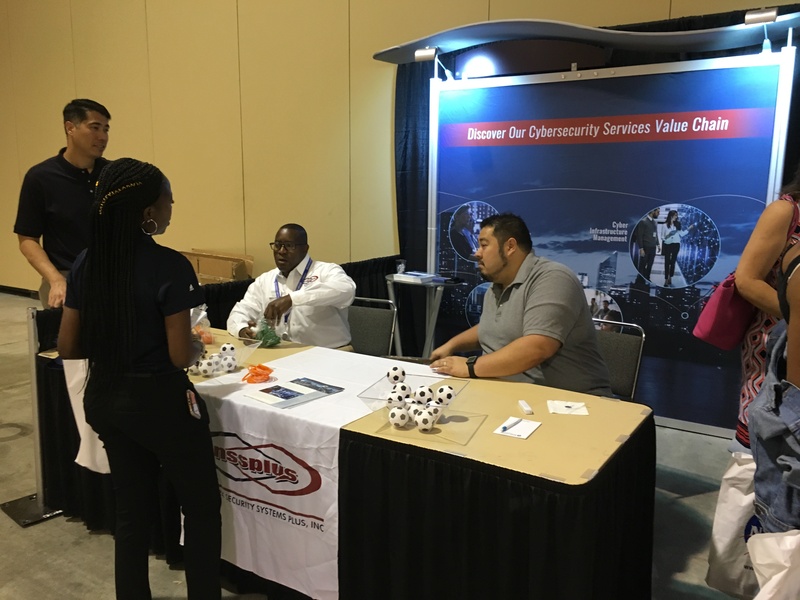 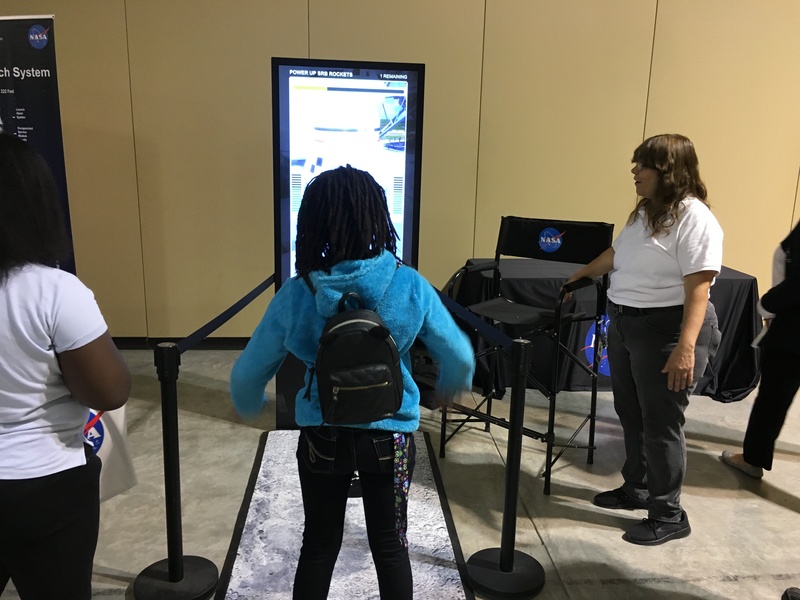 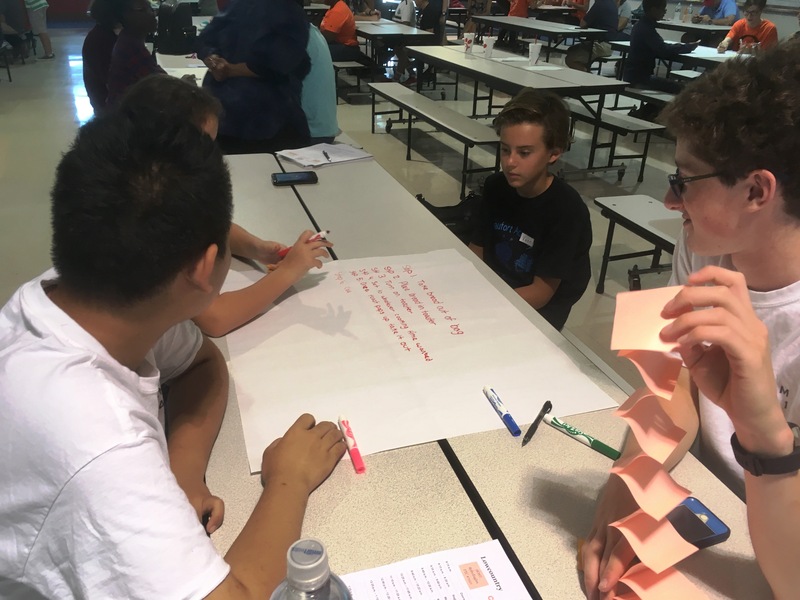 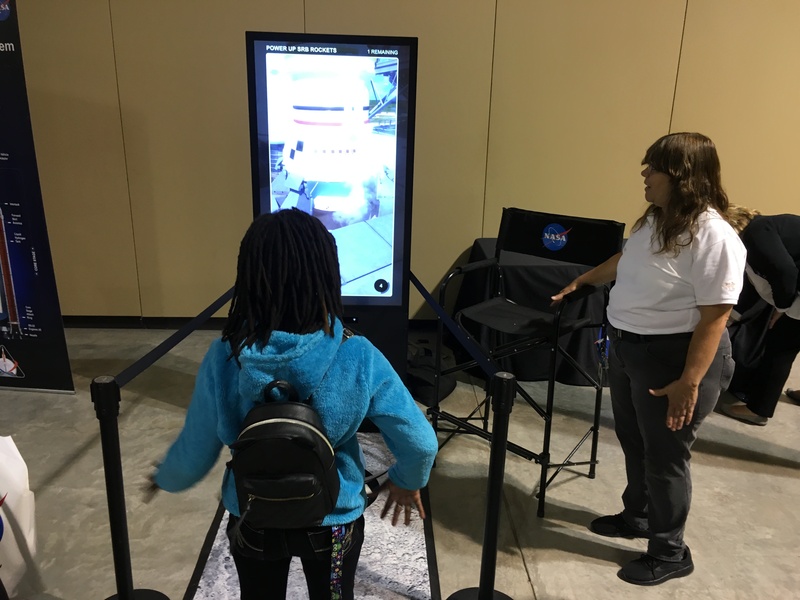 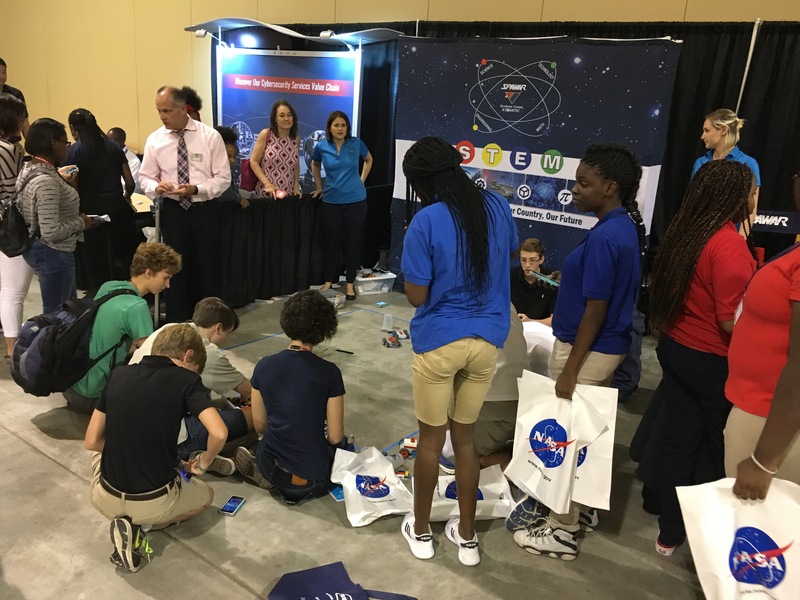 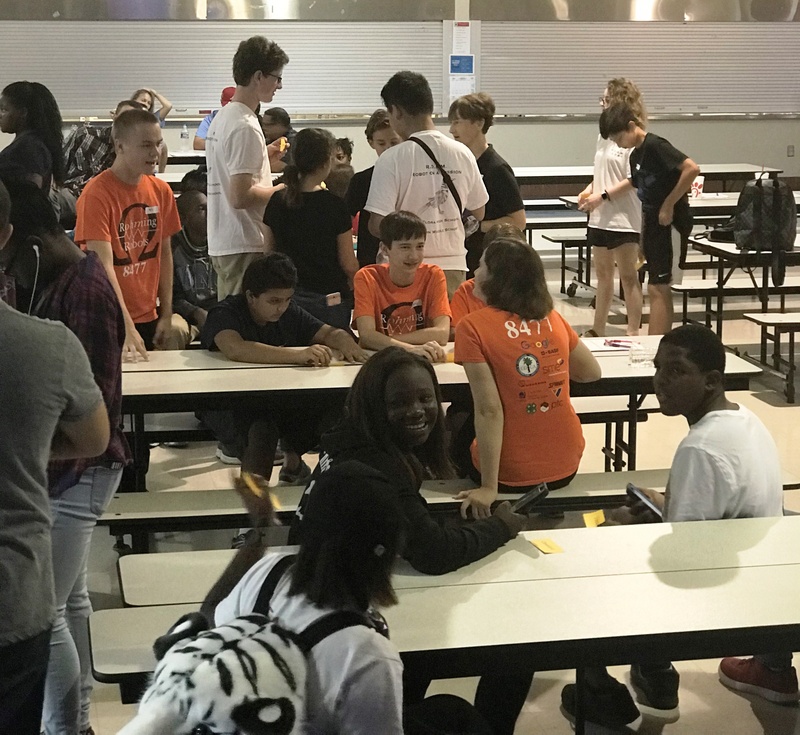 The event, hosted by Charleston County Government in conjunction with an event fostering partnerships with local businesses and NASA, allowed students to explore STEM-related businesses and participate in hands-on learning experiences and interact with NASA staff. 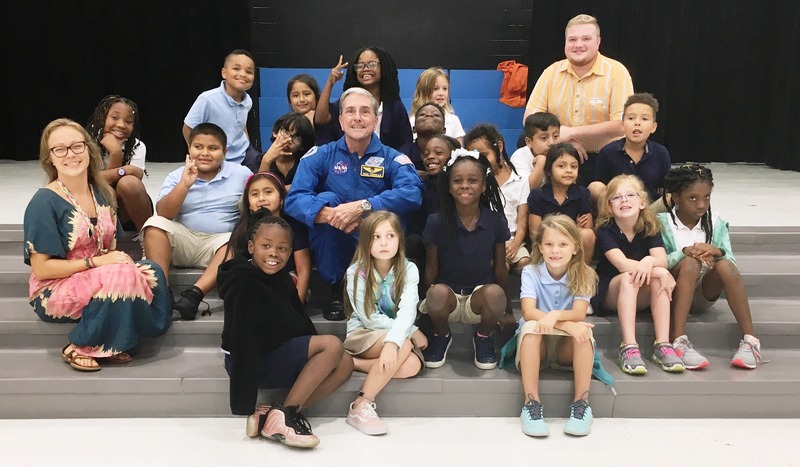 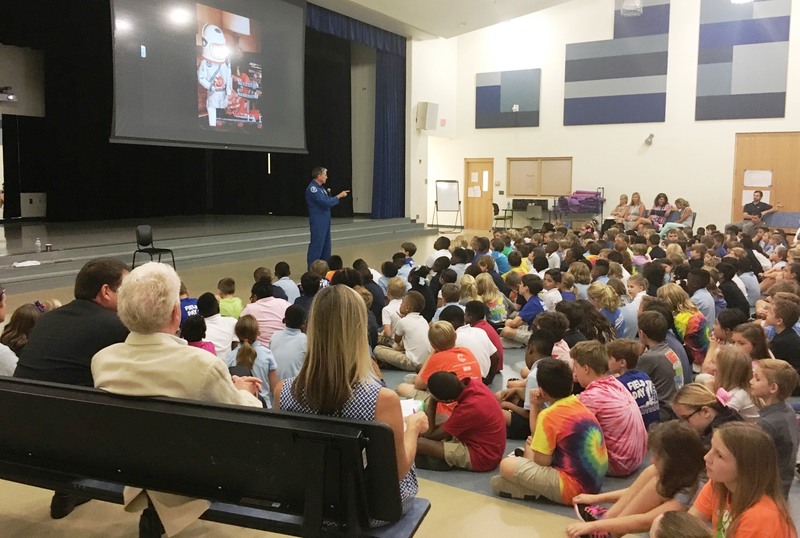 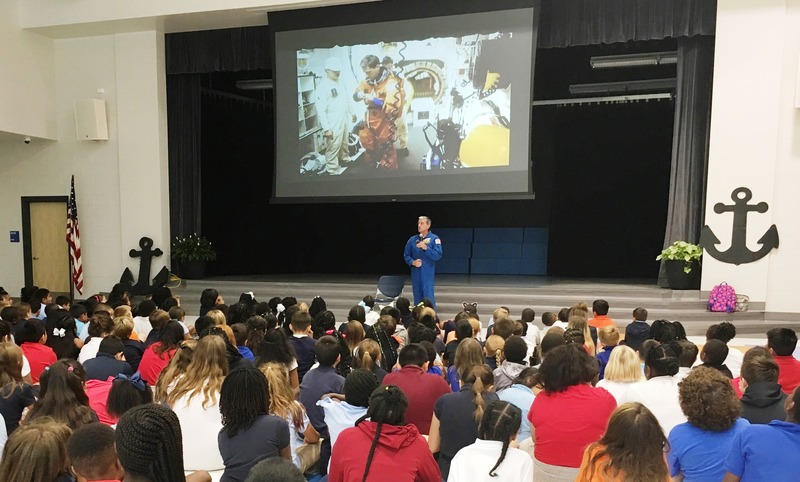 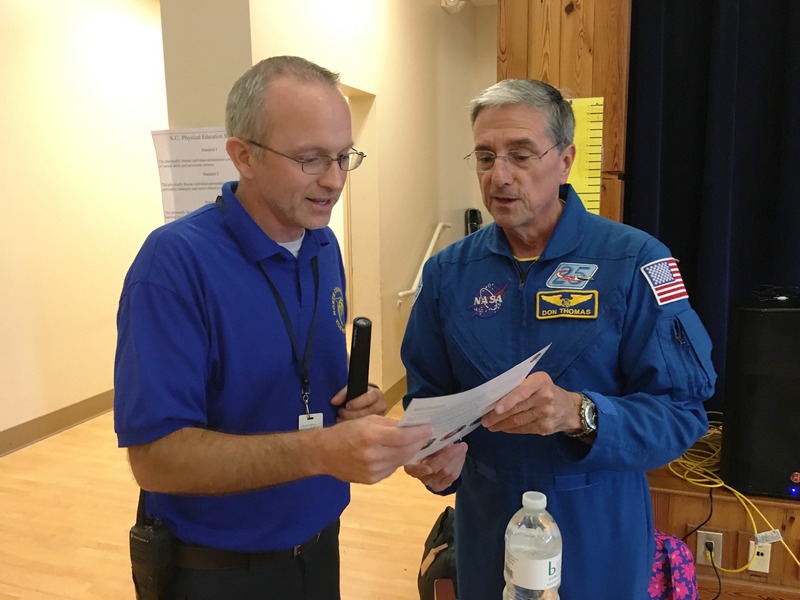 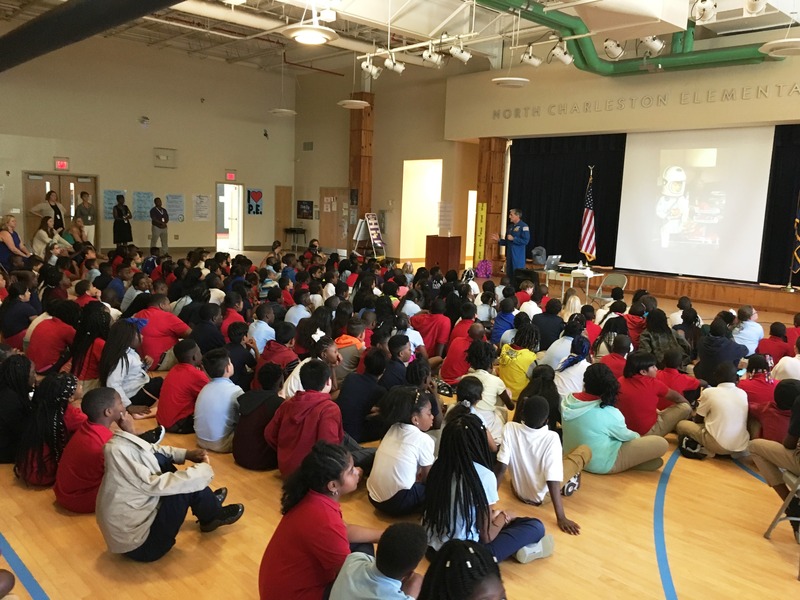 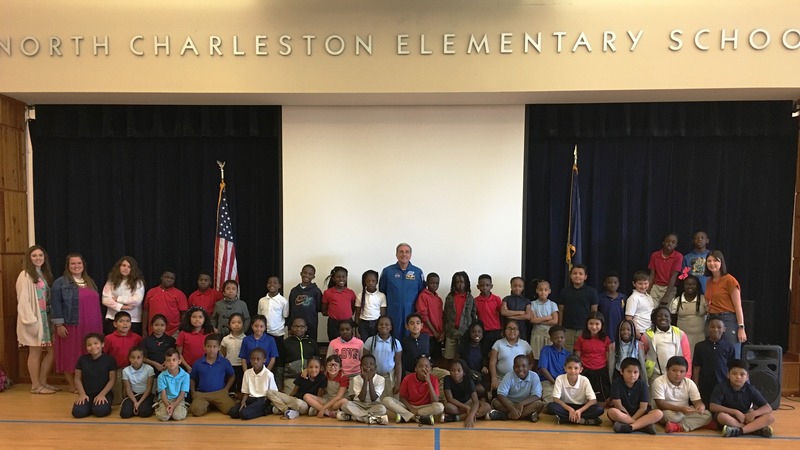 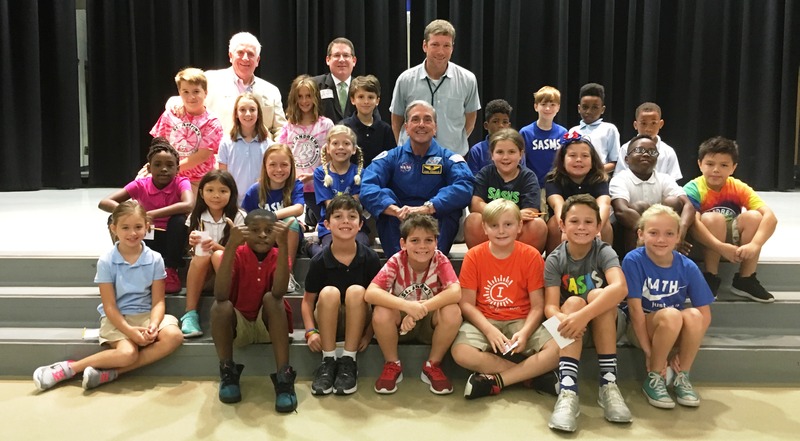 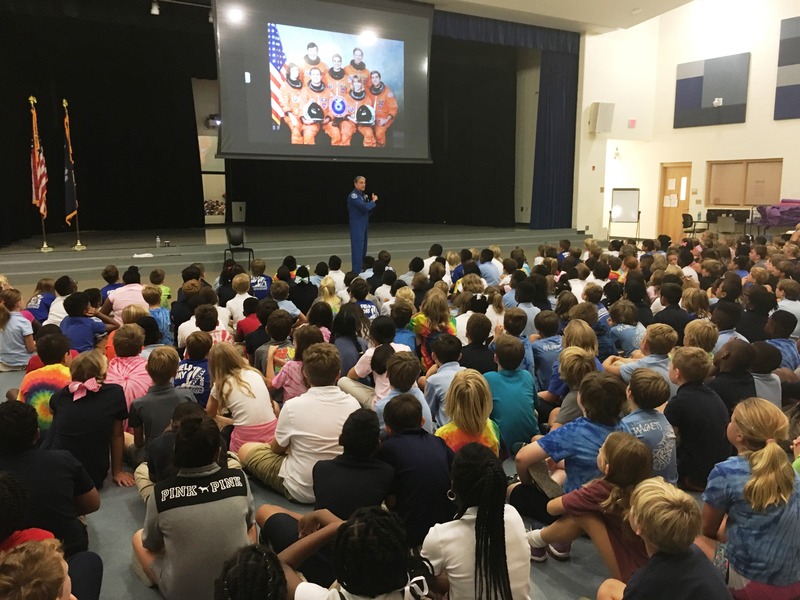 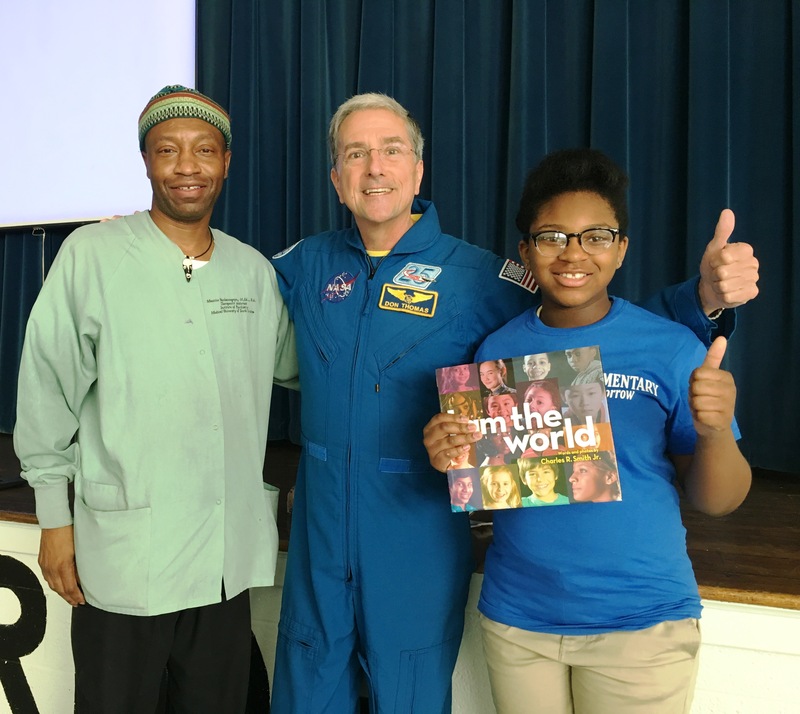 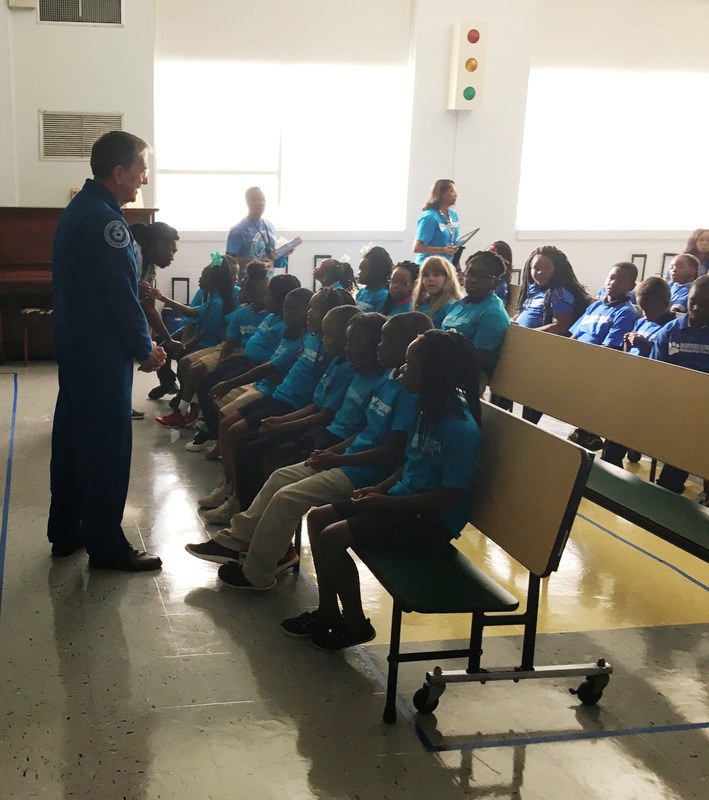 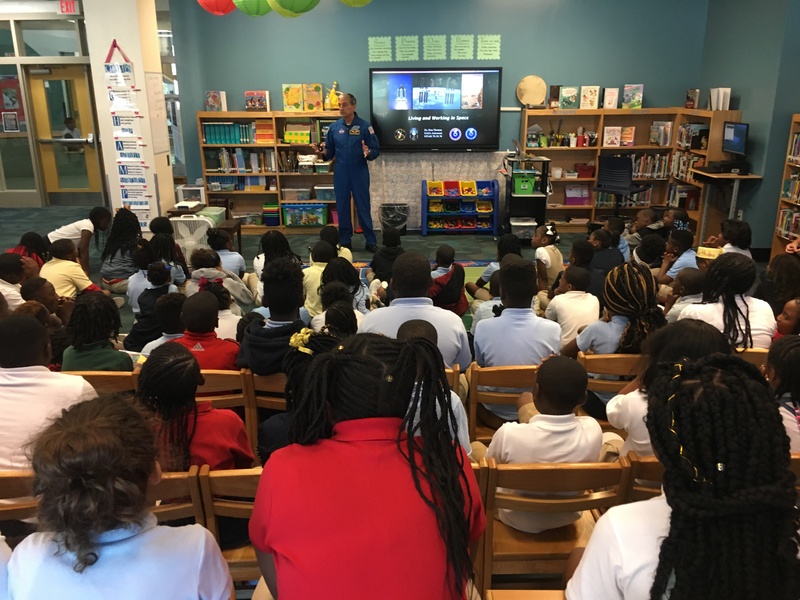 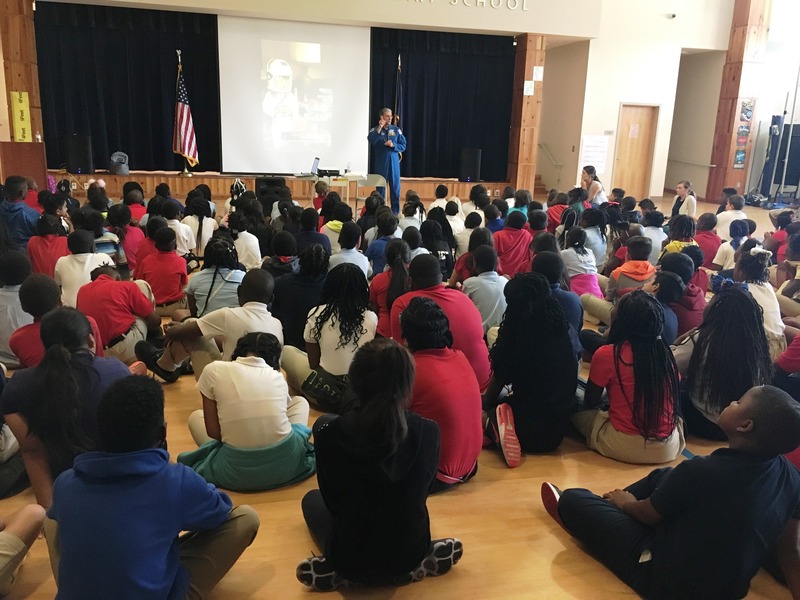 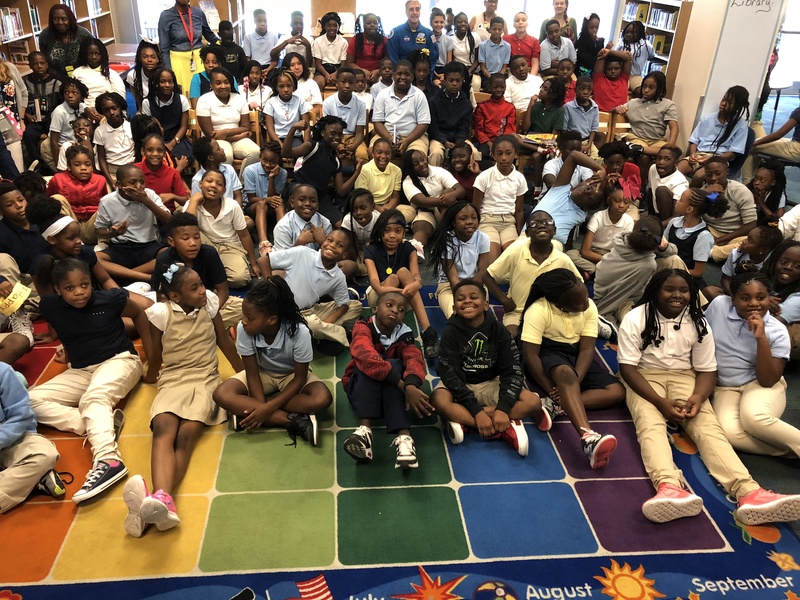 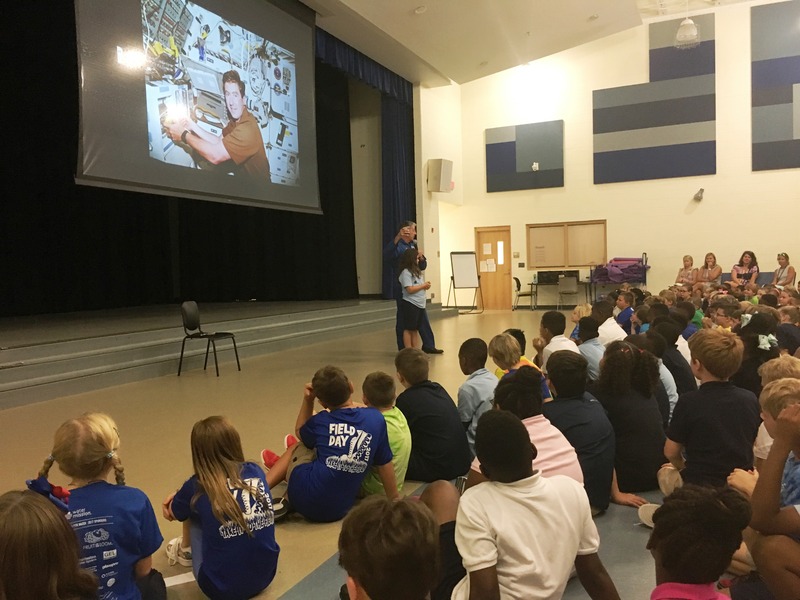 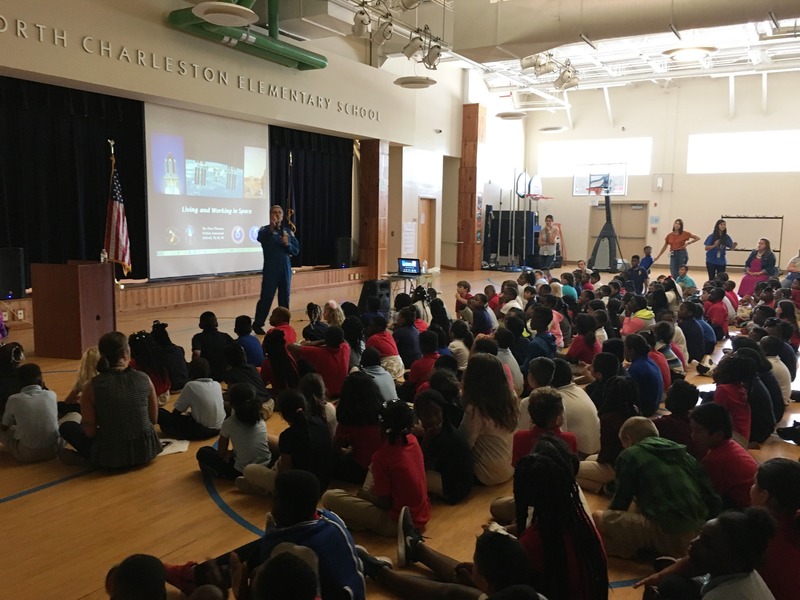 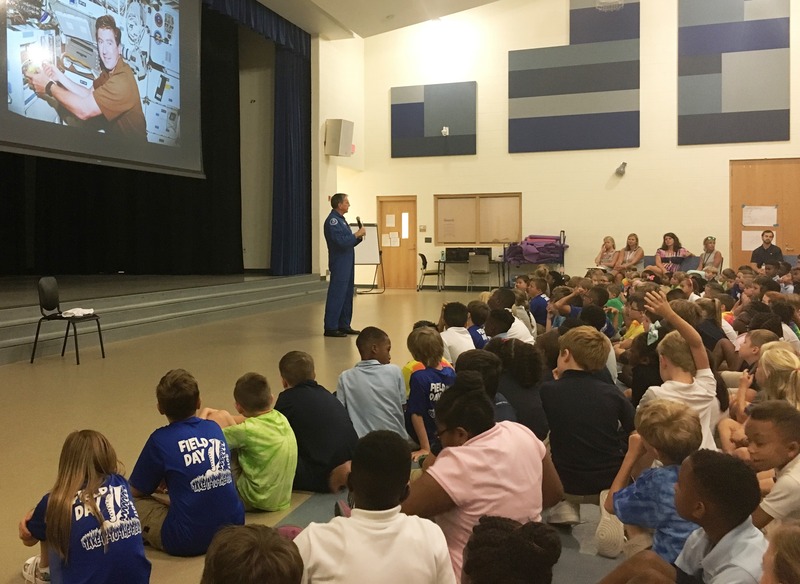 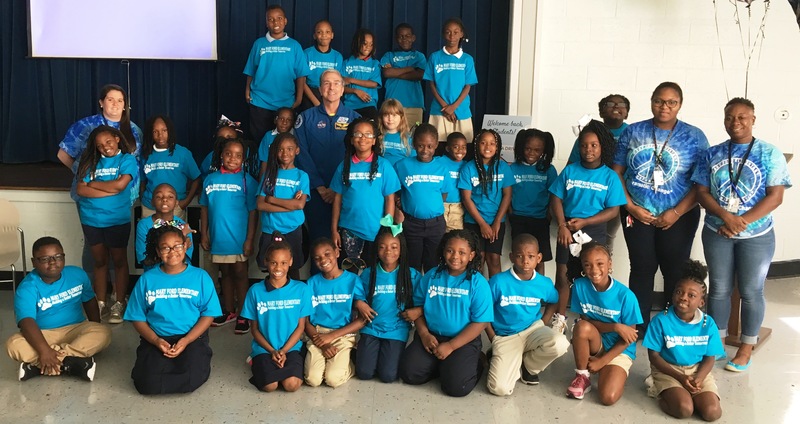 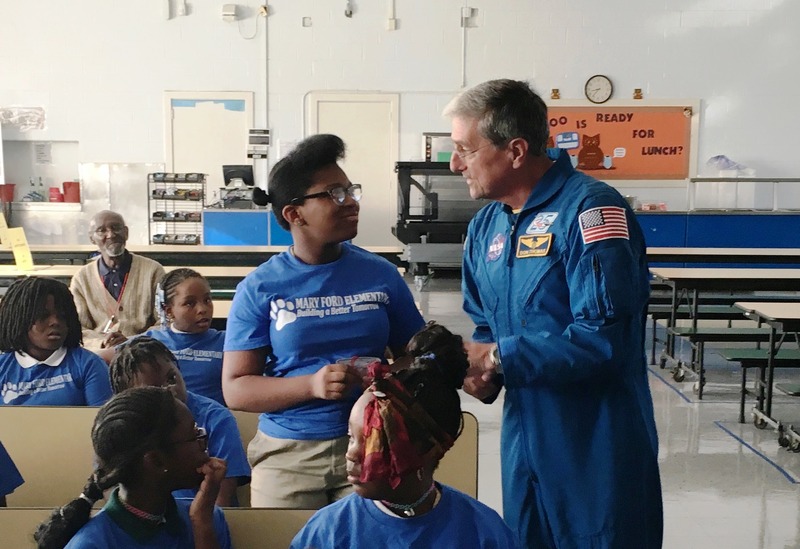 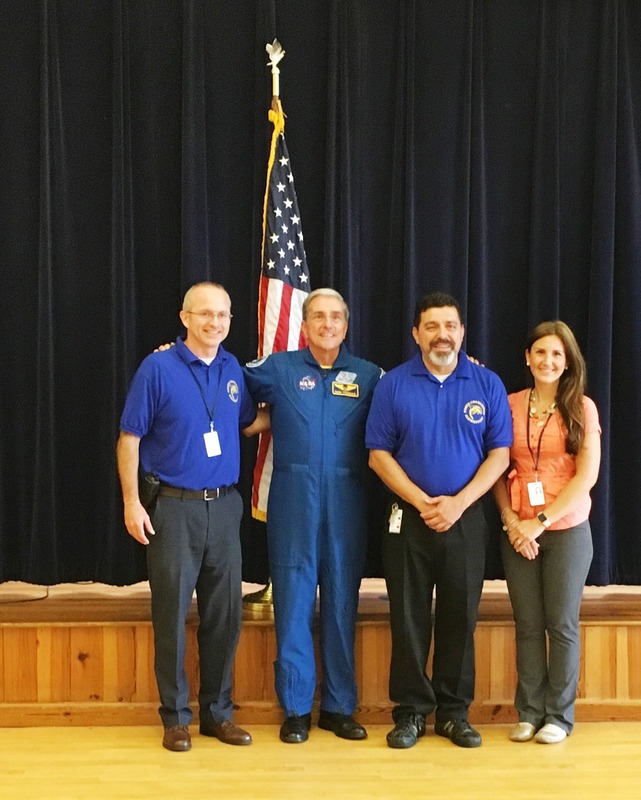 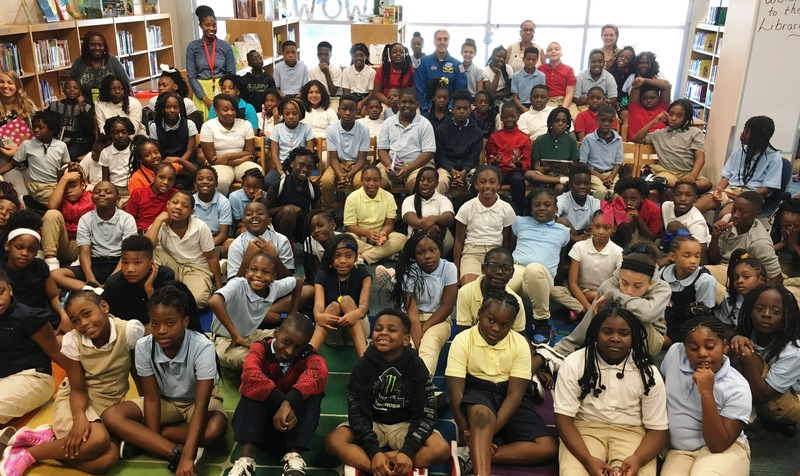 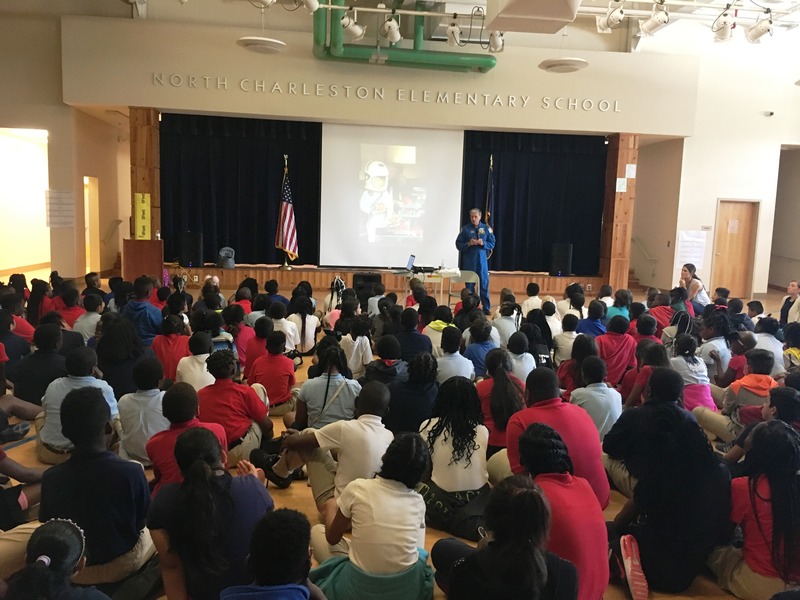 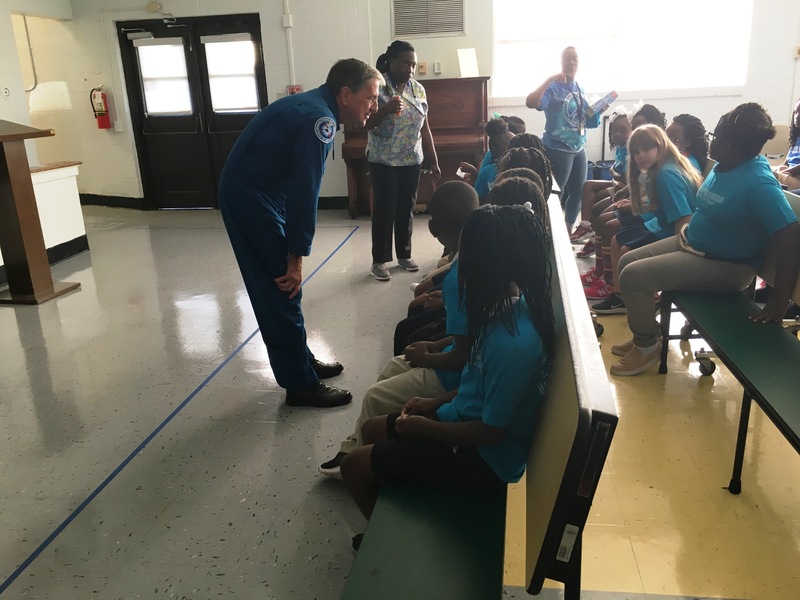 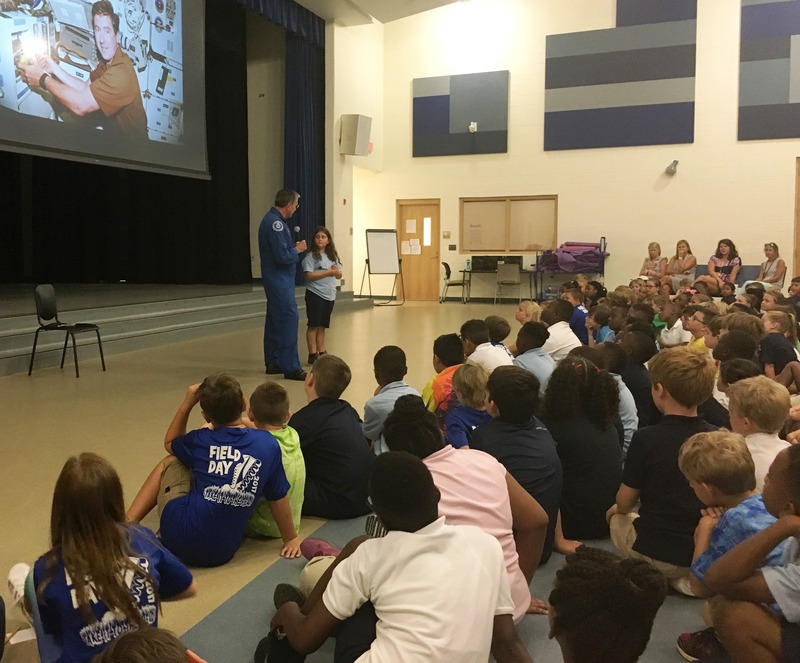 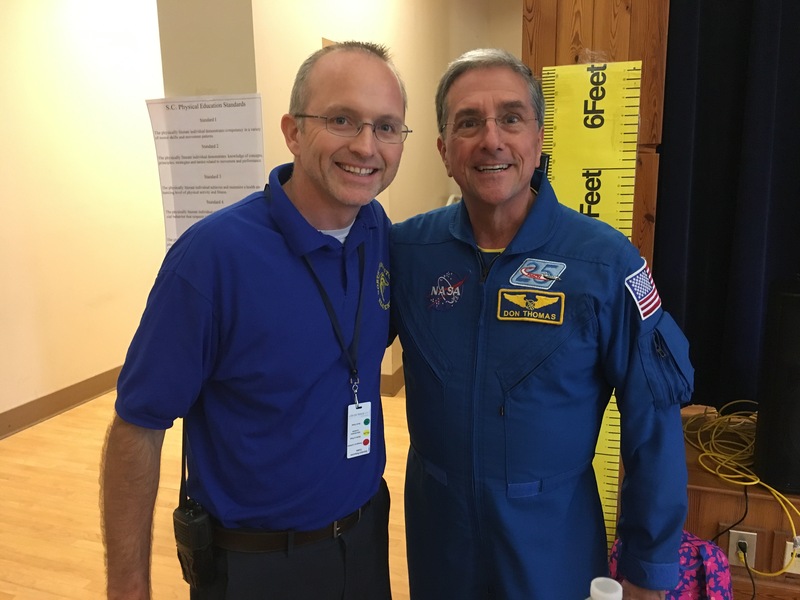 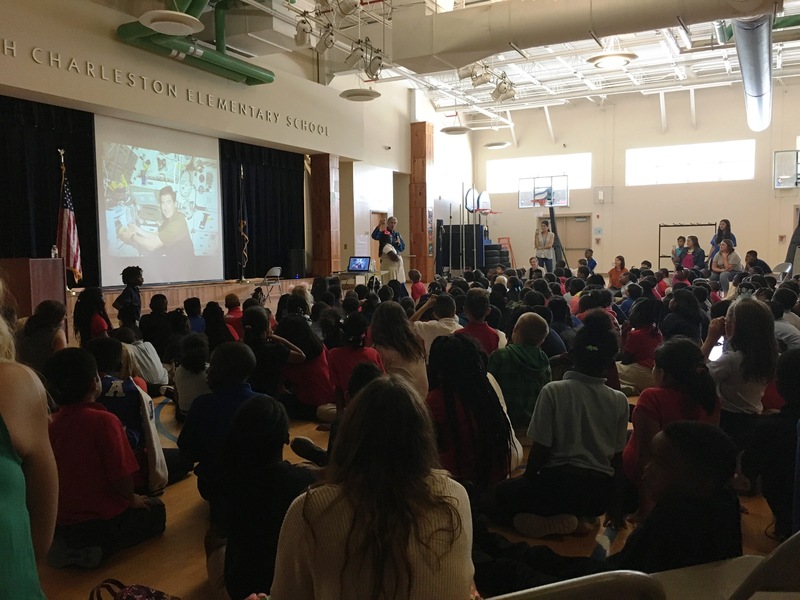 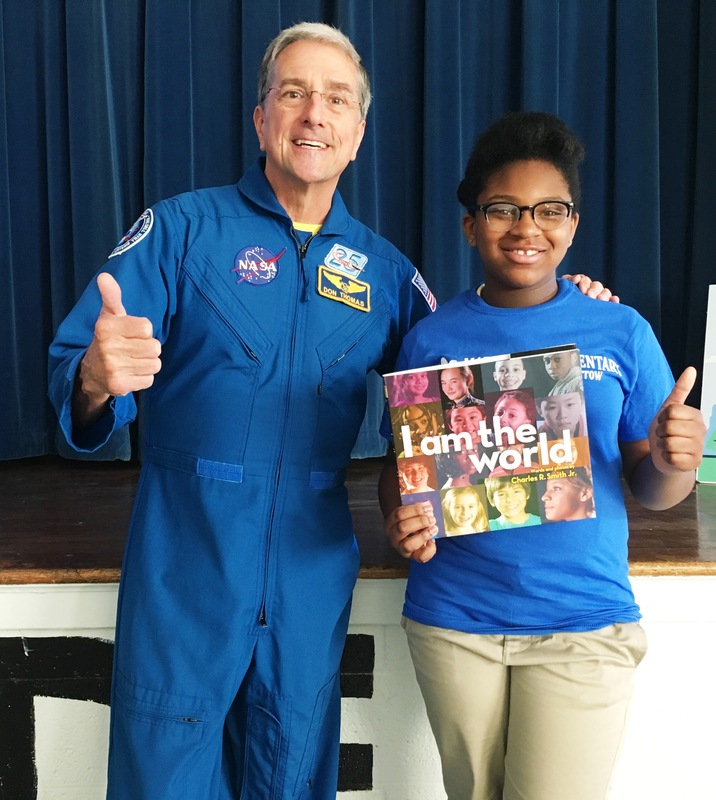 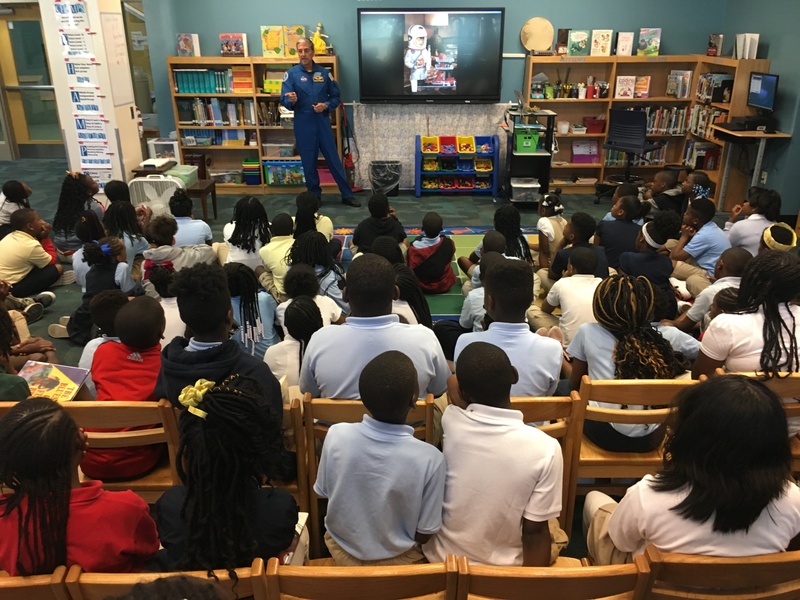 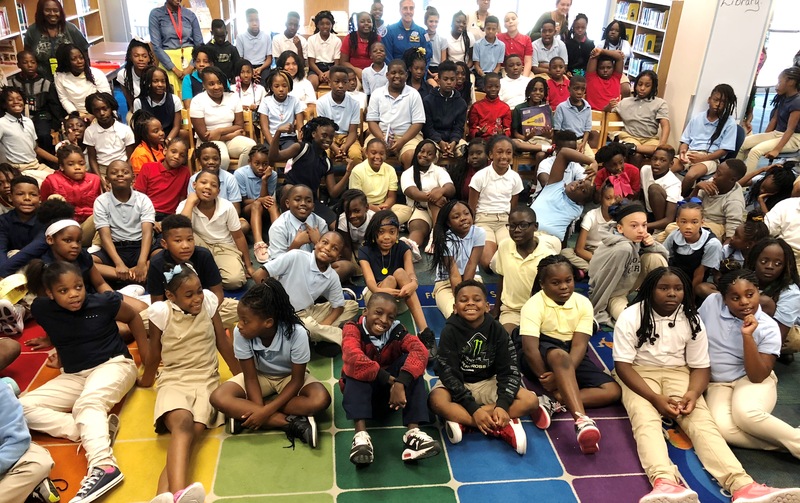 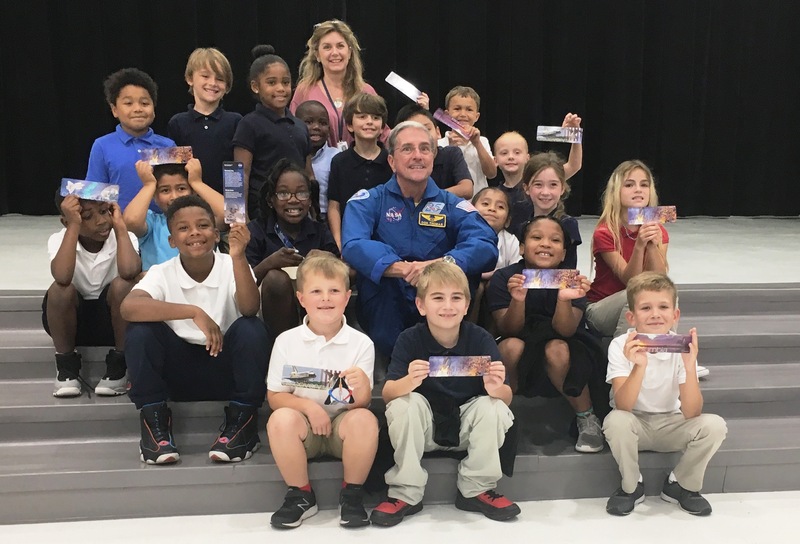 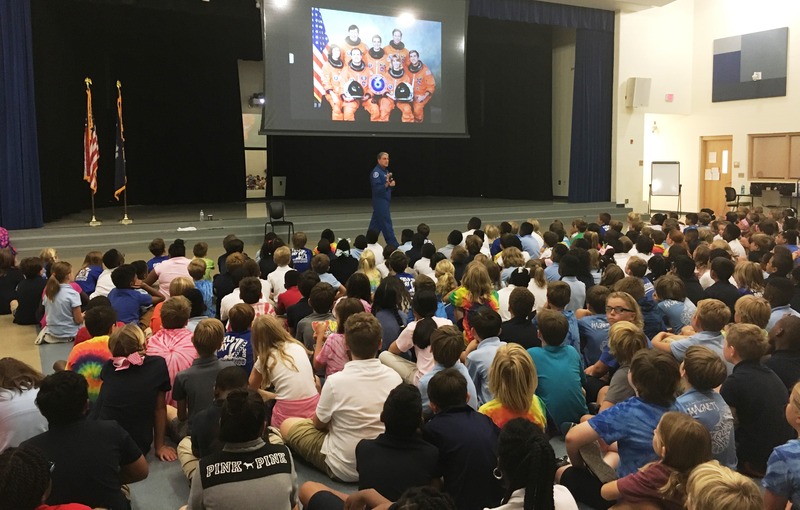 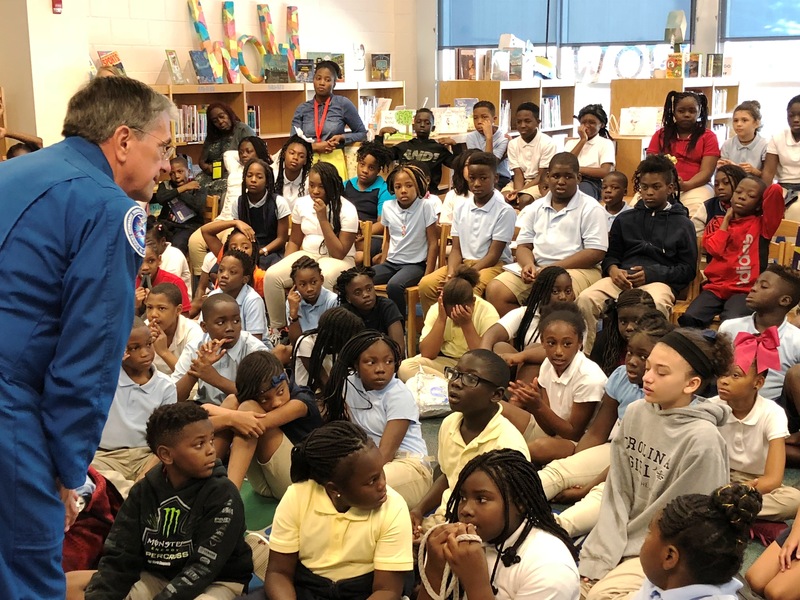 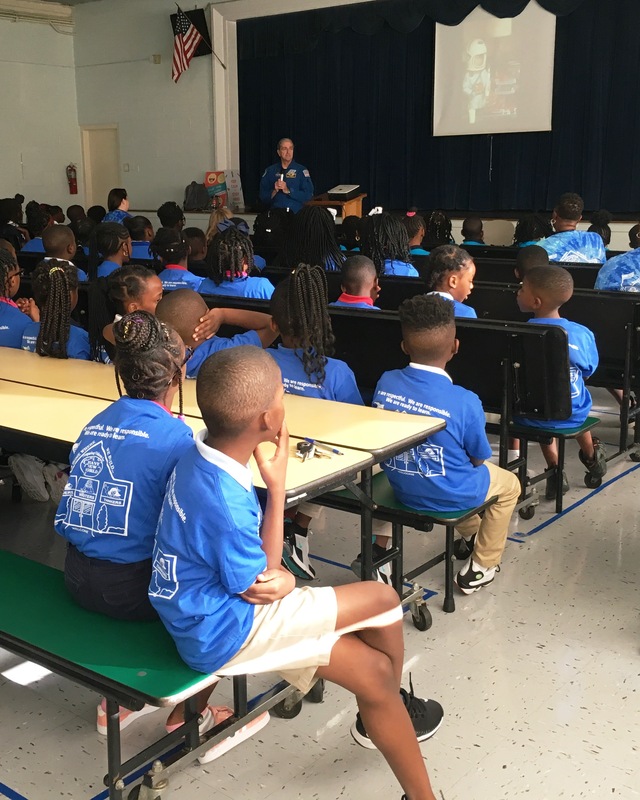 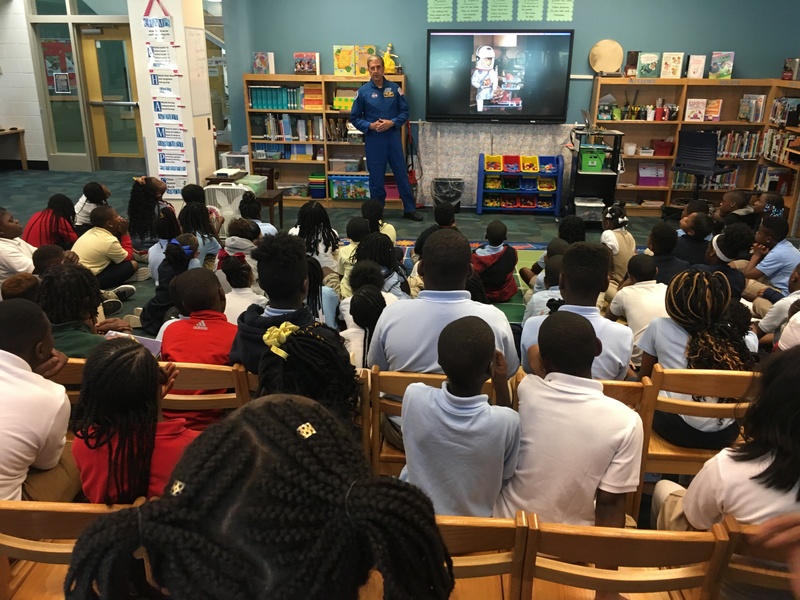 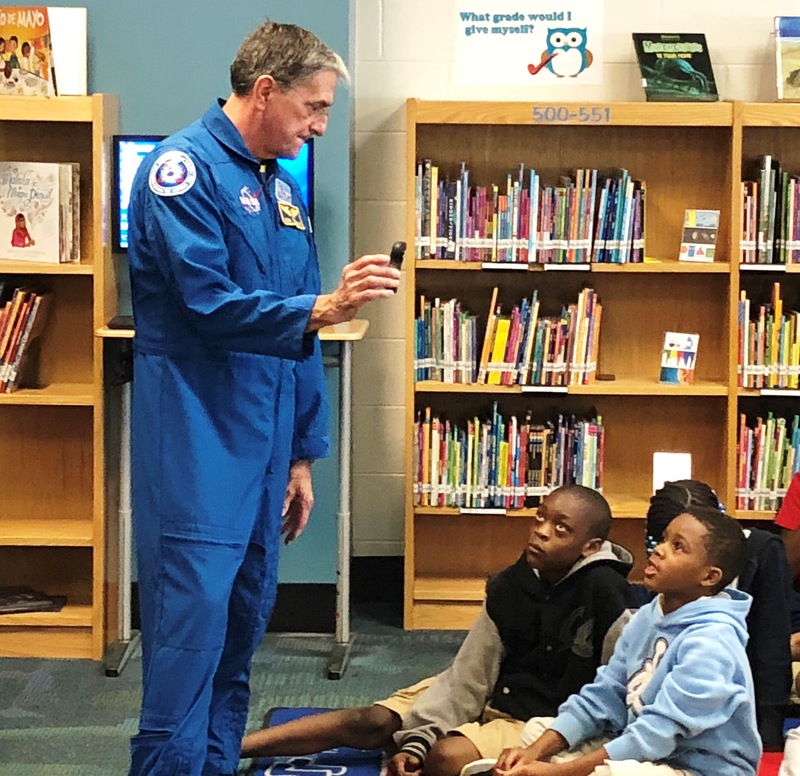 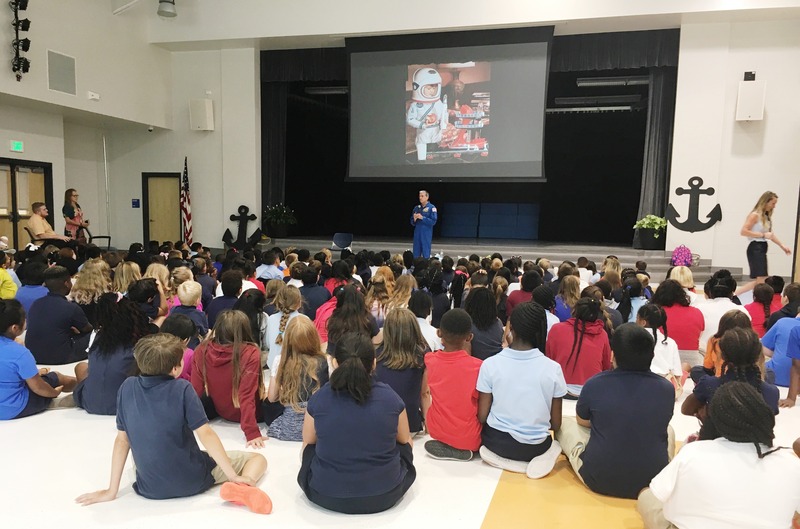 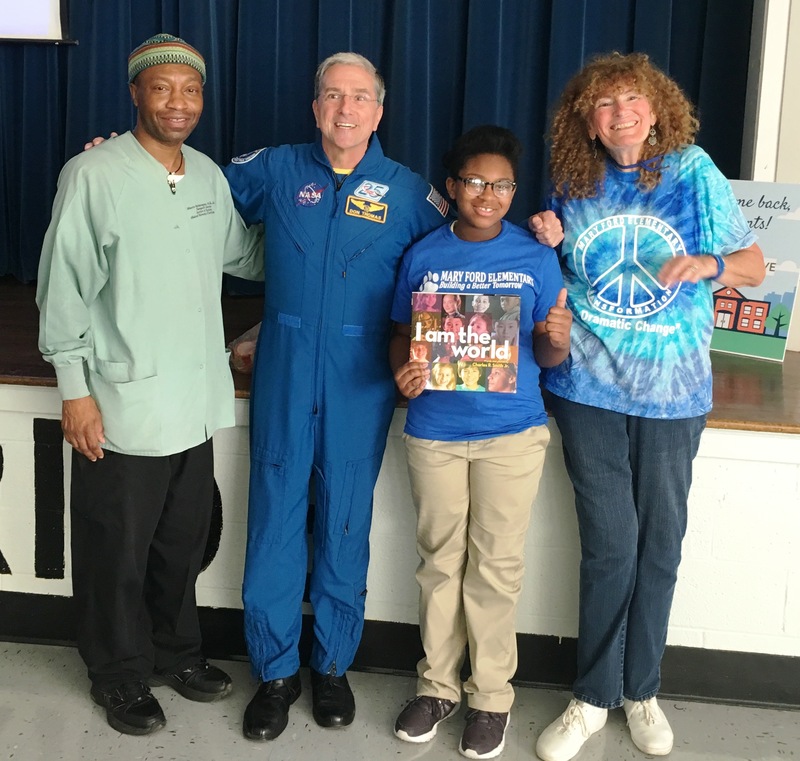 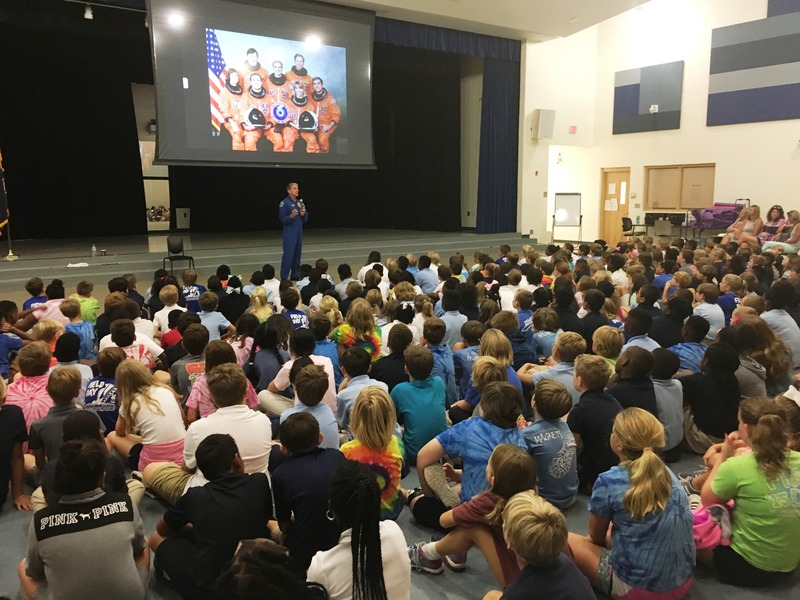 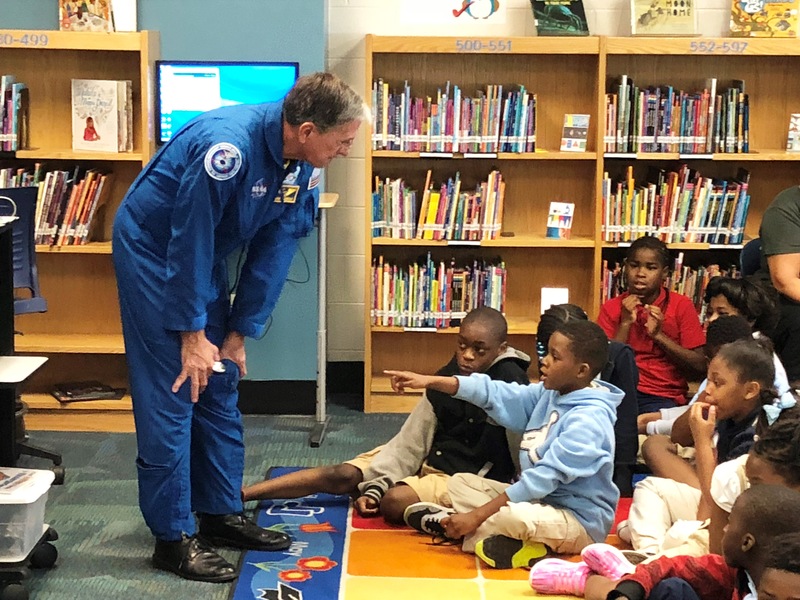 As part of the Career Fair, retired astronaut Dr. Don Thomas spoke to the attending middle and high school students and later in the week visited students at St. Andrews School of Math and Science, Angel Oak Elementary, Mary Ford Elementary, Sanders-Clyde School and North Charleston Elementary. 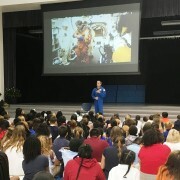 Chad Vail, Work-based Learning Partnerships Coordinator, CCSD Career & Technology Education Support Team, said career exploration of this nature not only improve academic performance but improves students’ knowledge of career options during the critical years when they are also beginning to venture beyond the orbit of their parents. 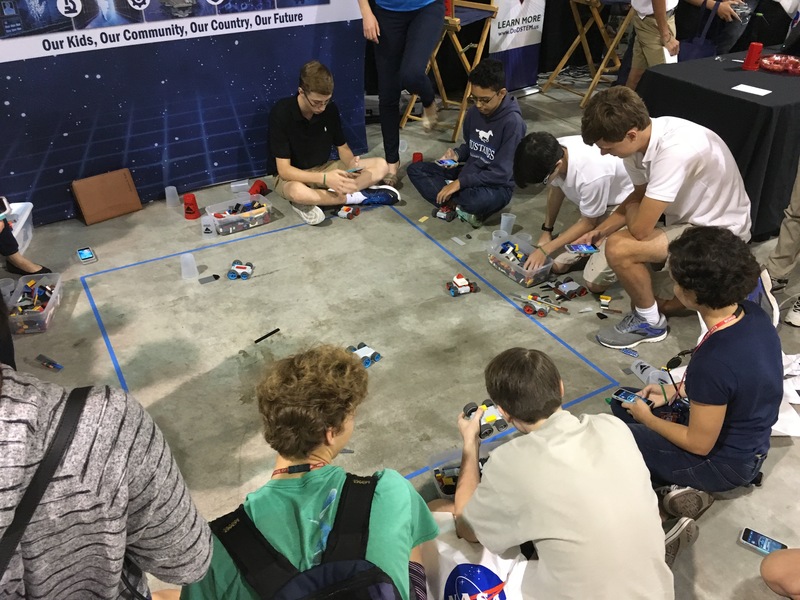 Their booth featured Meeper Bots which demonstrated mechanical engineering aspects of toys made of legos with blue tooth capability. 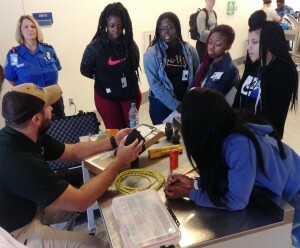 The students learned about aero-dynamics, load and various aspects that in turn introduced them to the SPAWAR robotics program. 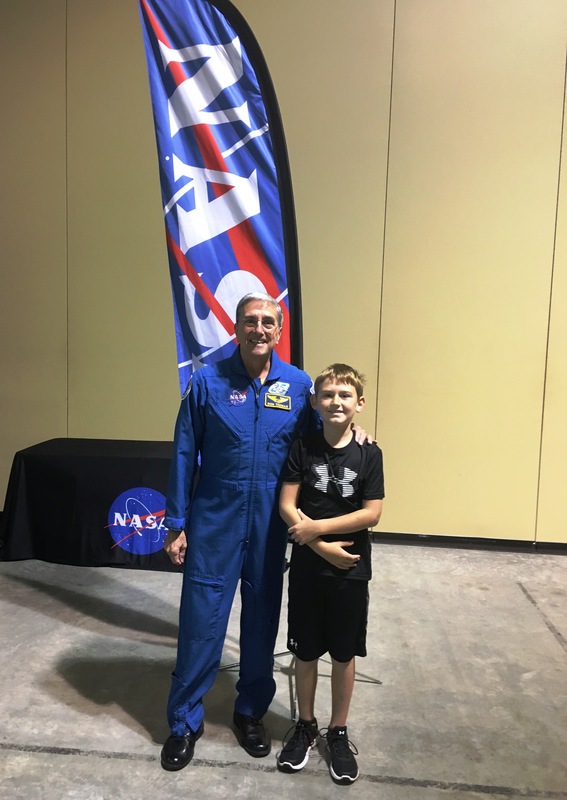 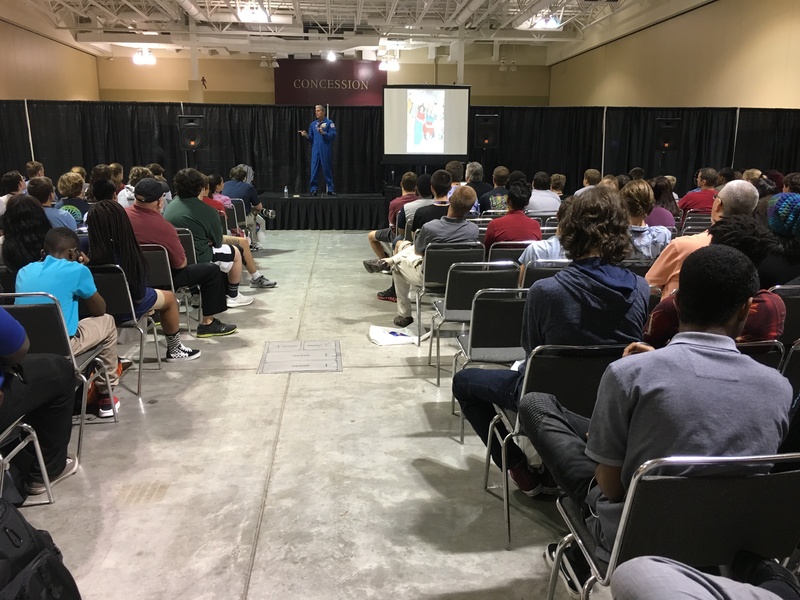 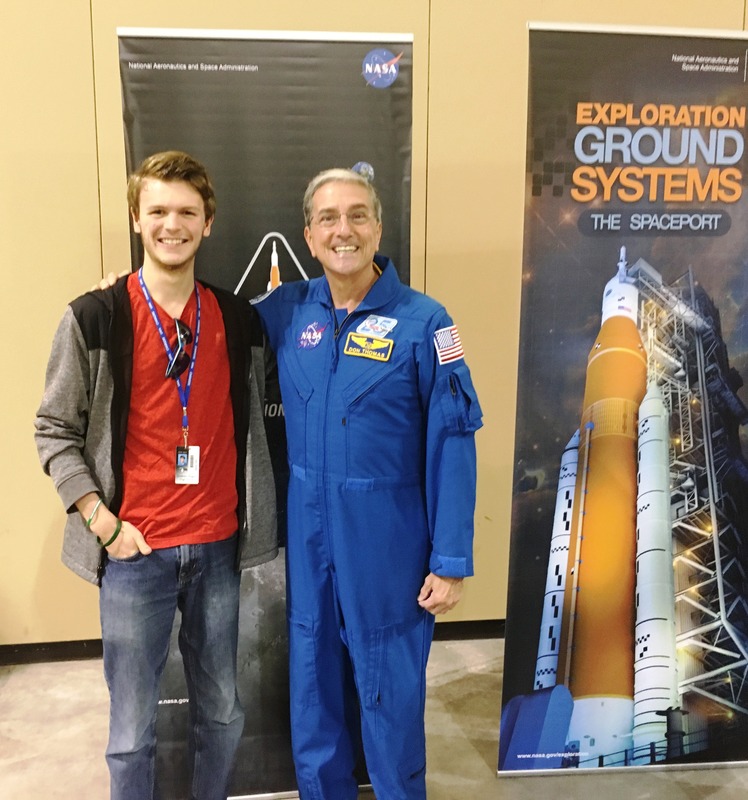 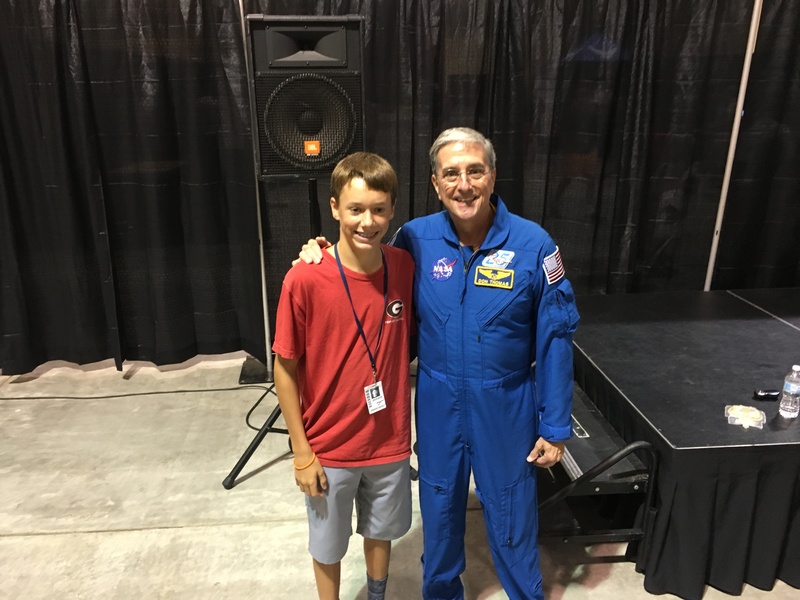 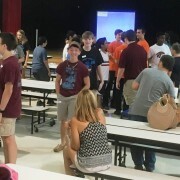 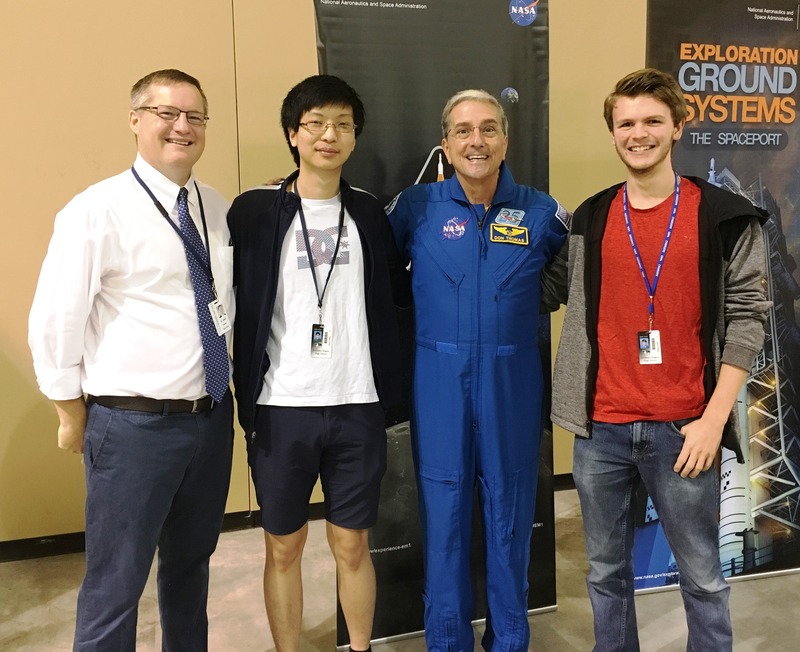 Wando High School 10th grader Ian Barrett was excited to attend the career fair with his engineering class and listen to a real astronaut speak about living in space. 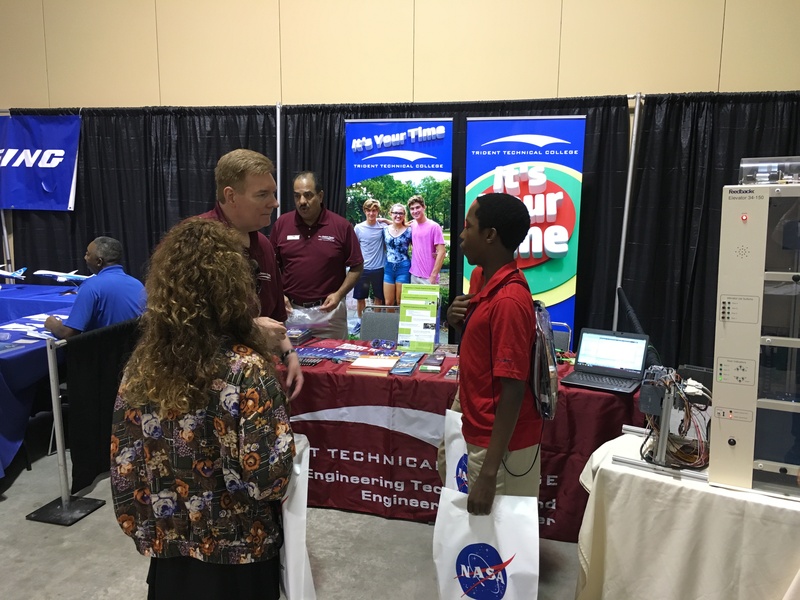 And while he has not yet determined his career path, engineering seems like a fun choice he said. 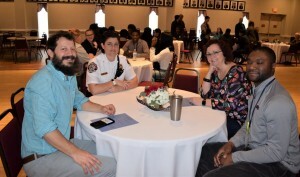 Check out the gallery of pictures from the event below – additional pictures posted to the CCSD Facebook page.